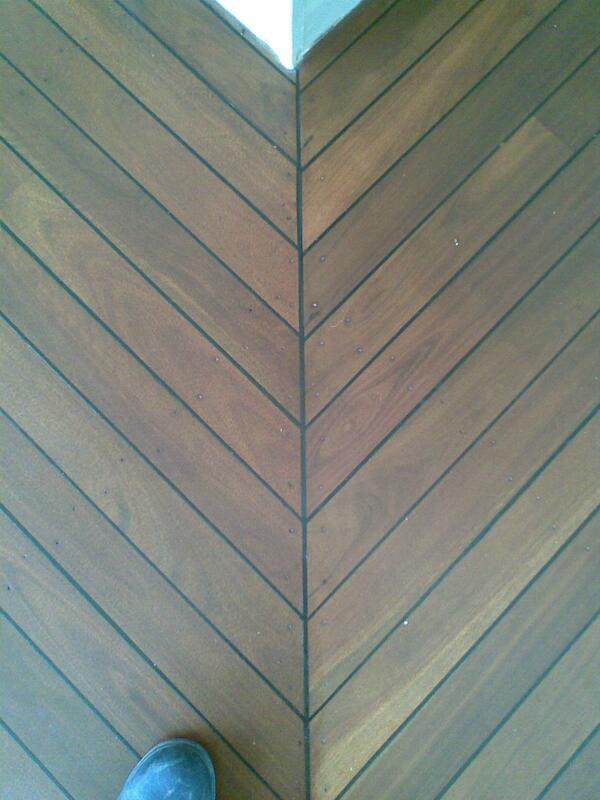 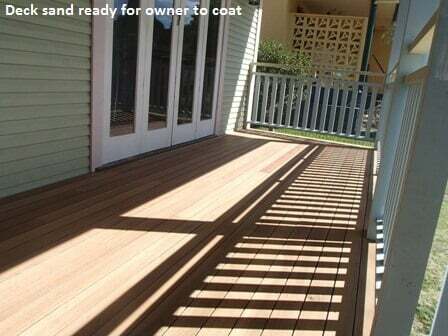 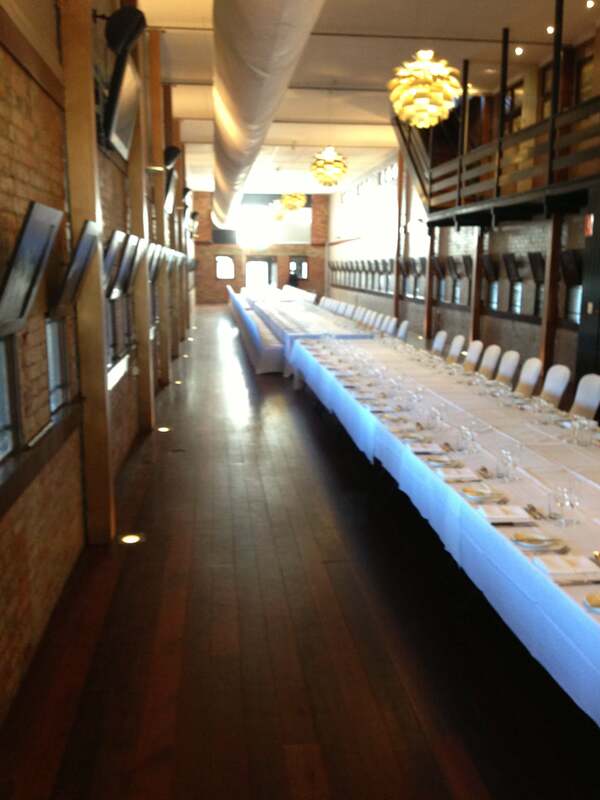 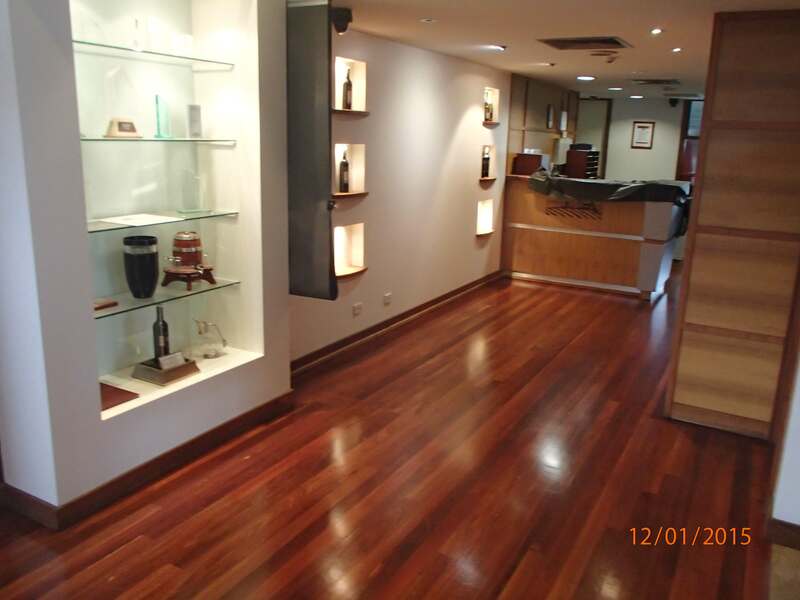 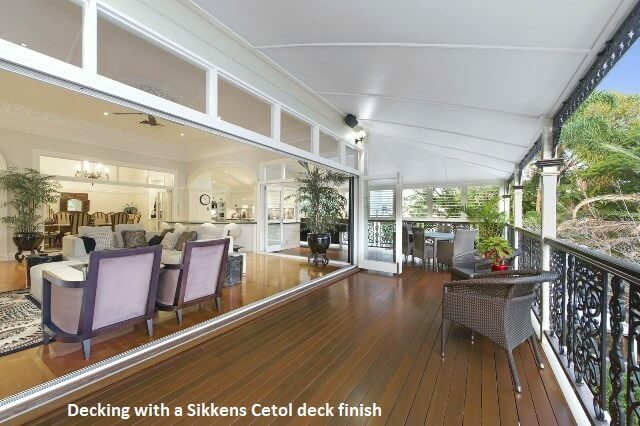 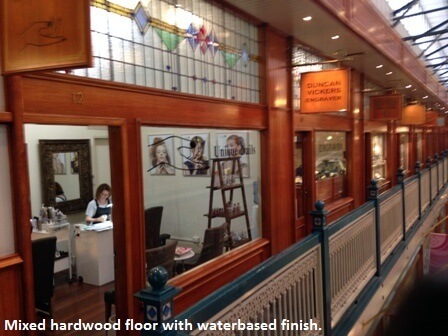 Brisbanes Finest Floors is a proud family owned and operated Australian business. 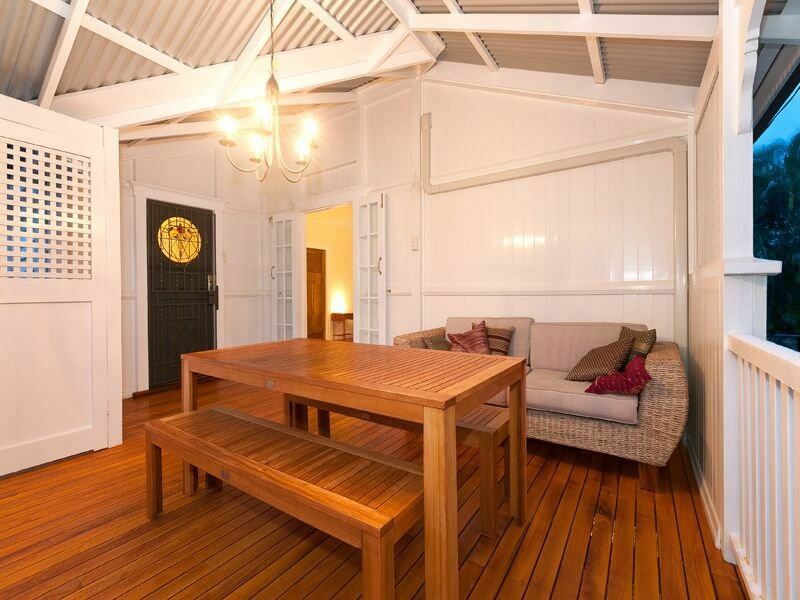 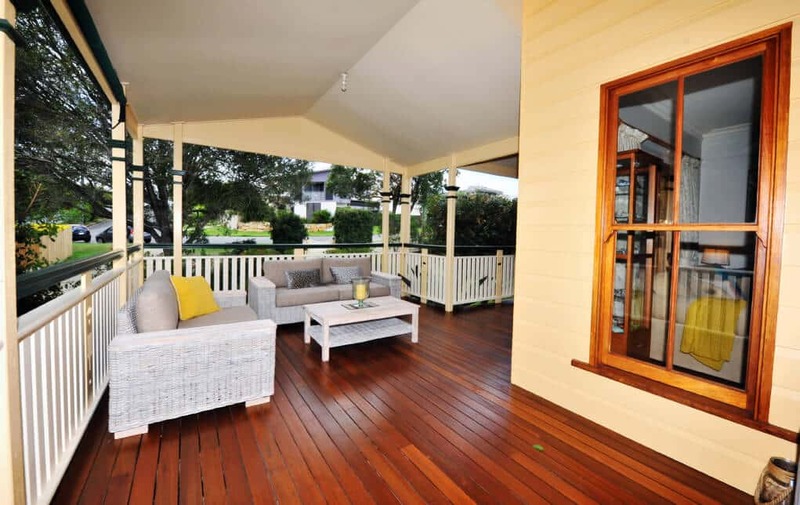 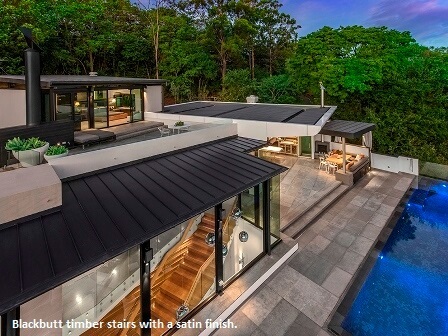 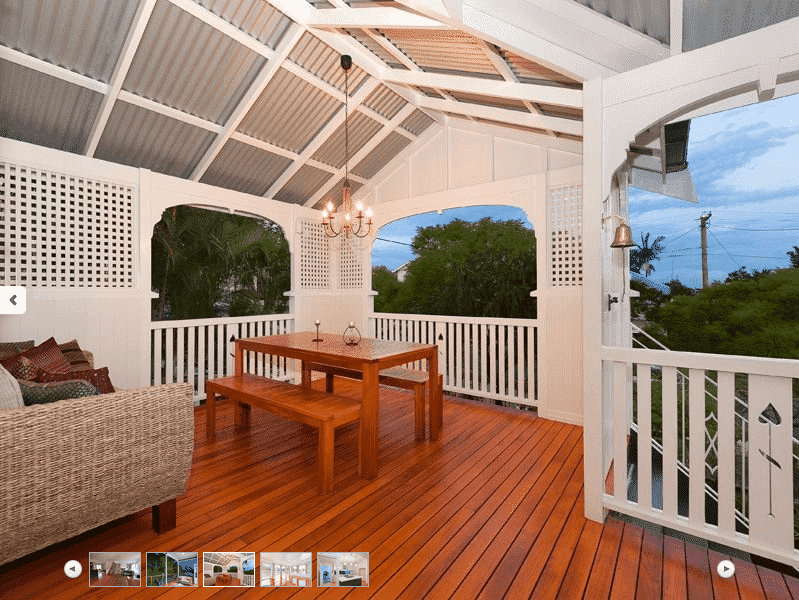 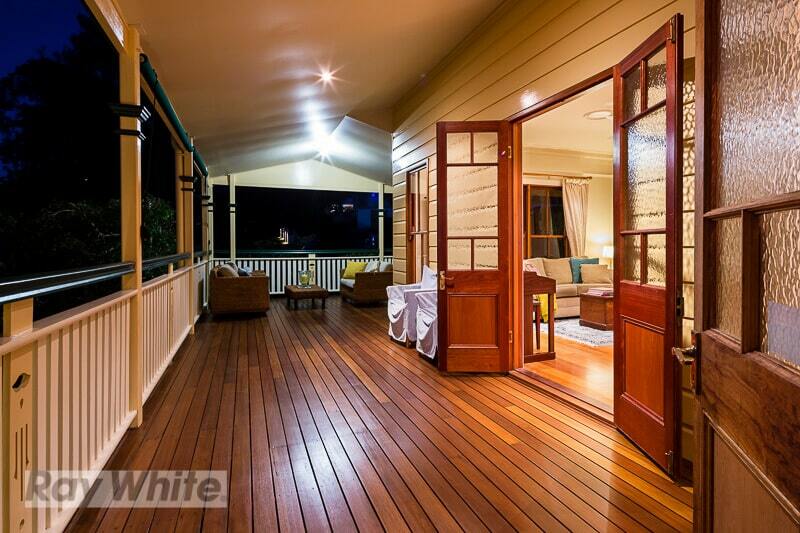 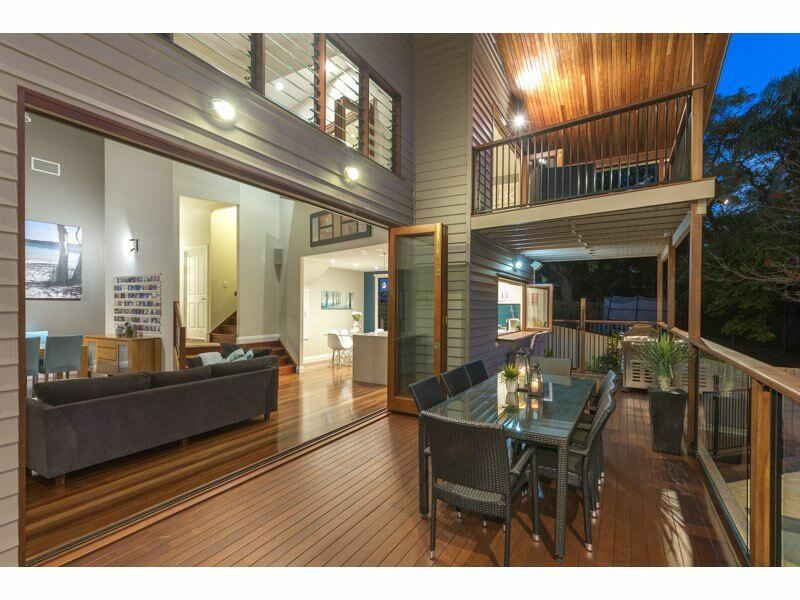 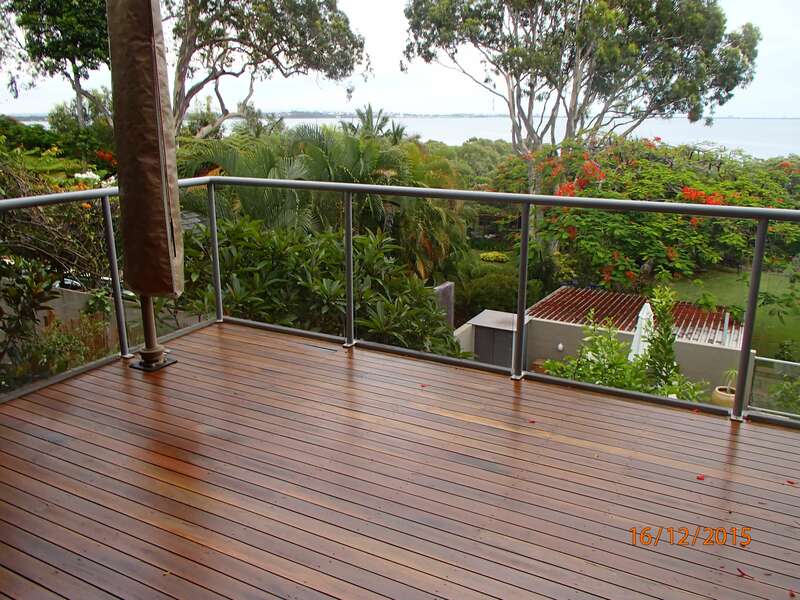 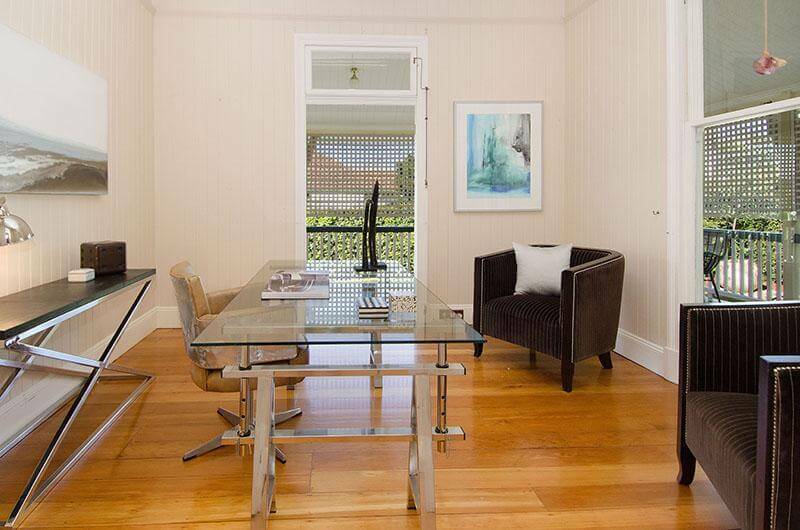 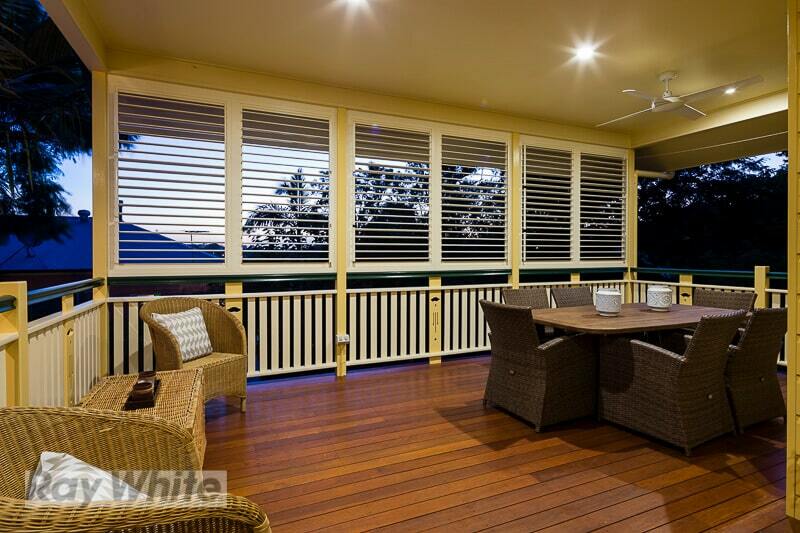 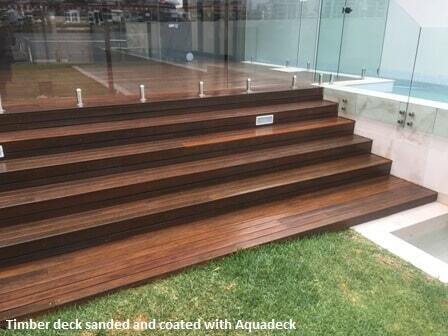 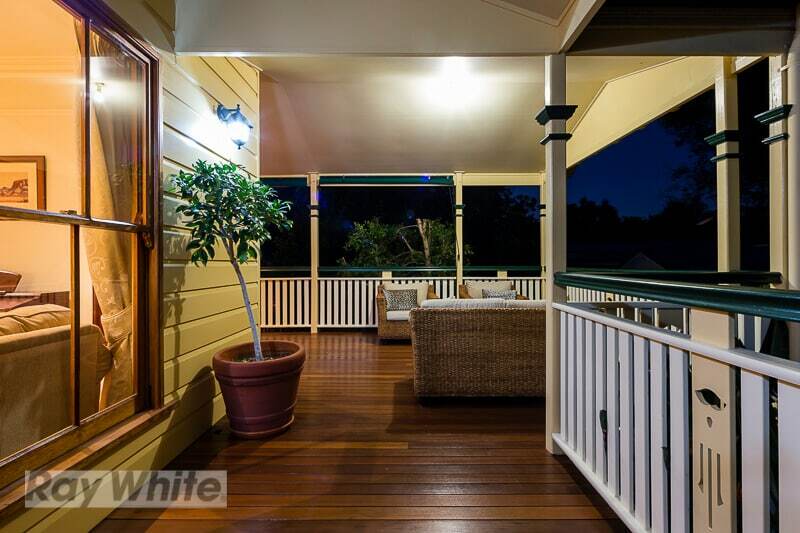 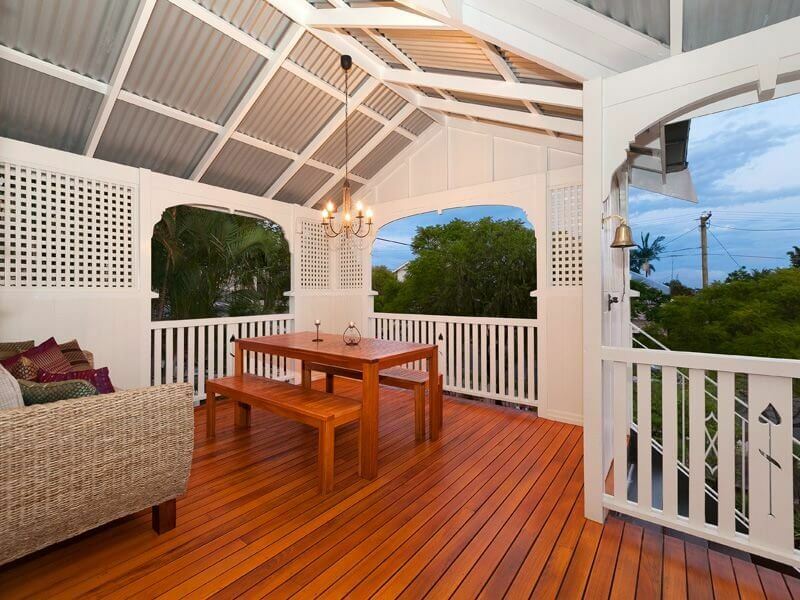 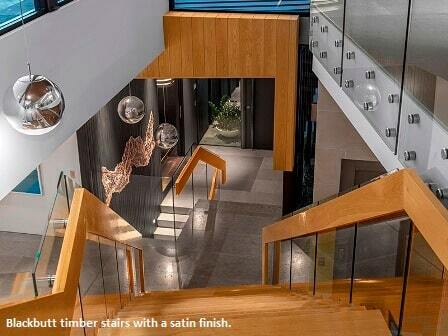 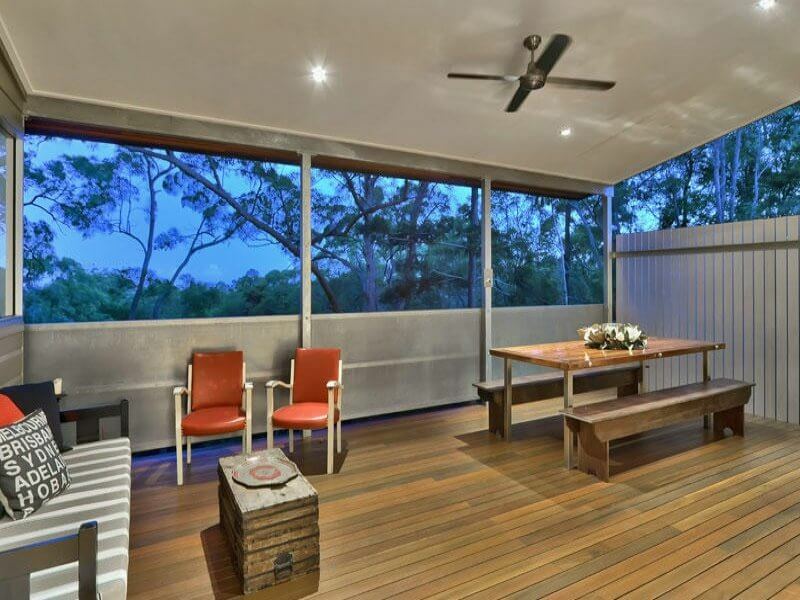 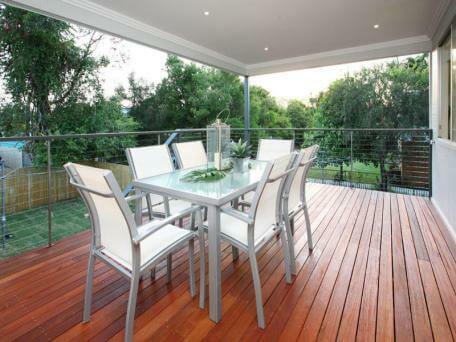 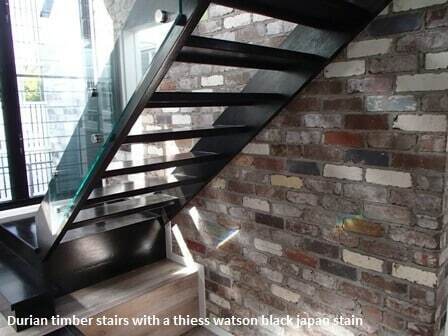 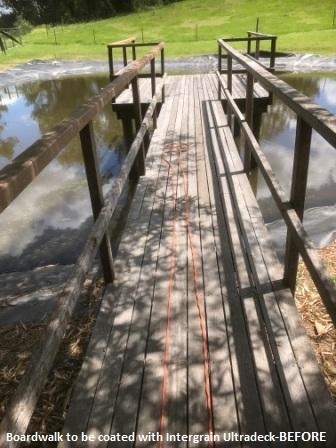 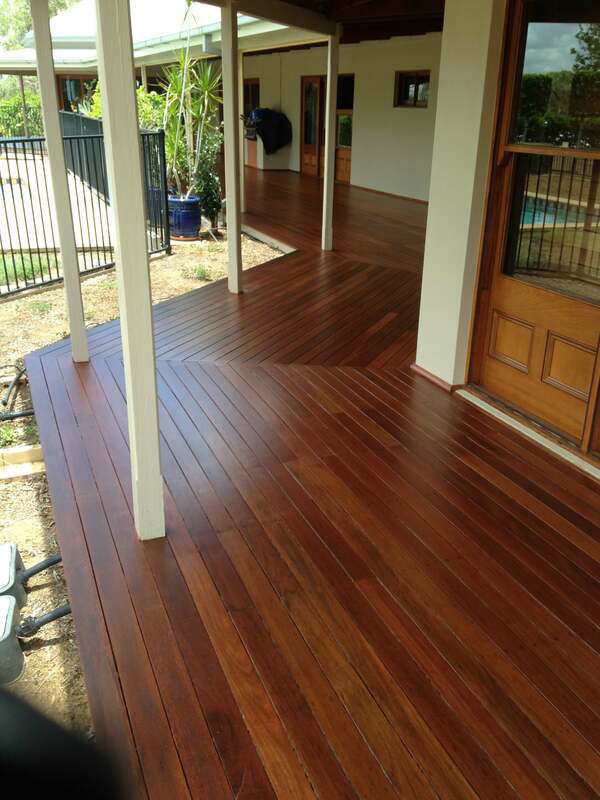 Located in Brisbane for over 20 years, Matthew and Tanya Thompson are experts in the field of timber restoration. 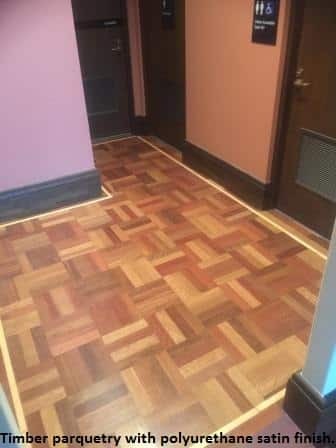 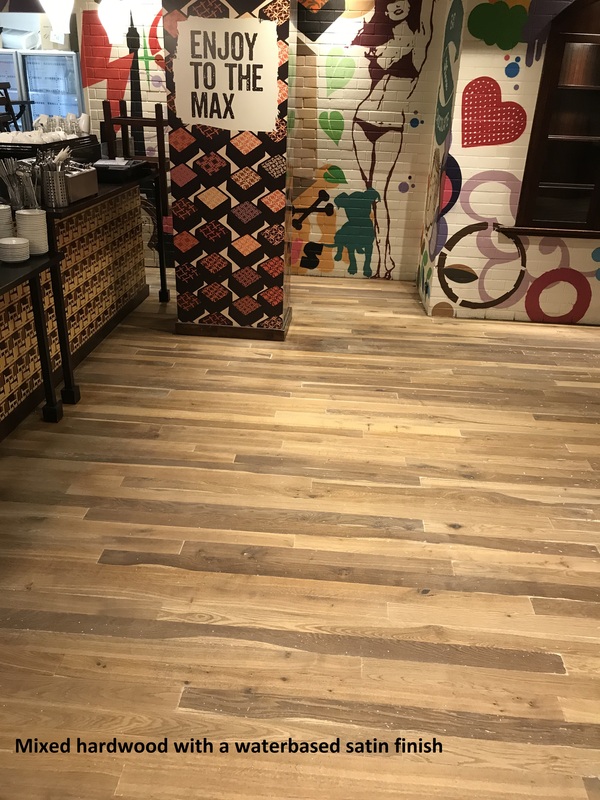 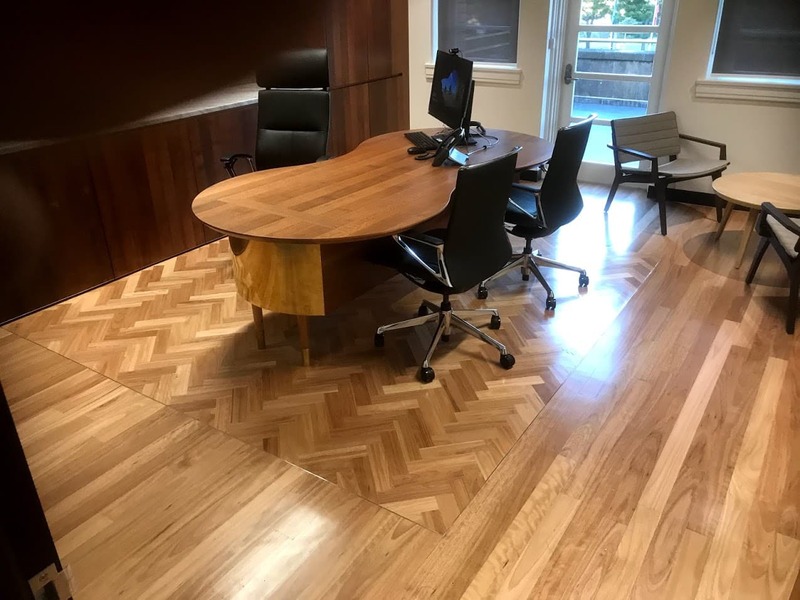 We know exactly how to make a home come to life, or uncover the hidden potential in your office floor so that your business stands out from the crowd. 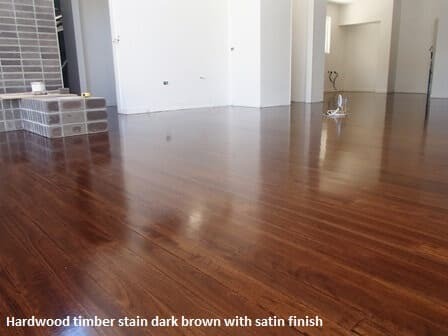 We promise exceptional results on every floor project and service that will impress. 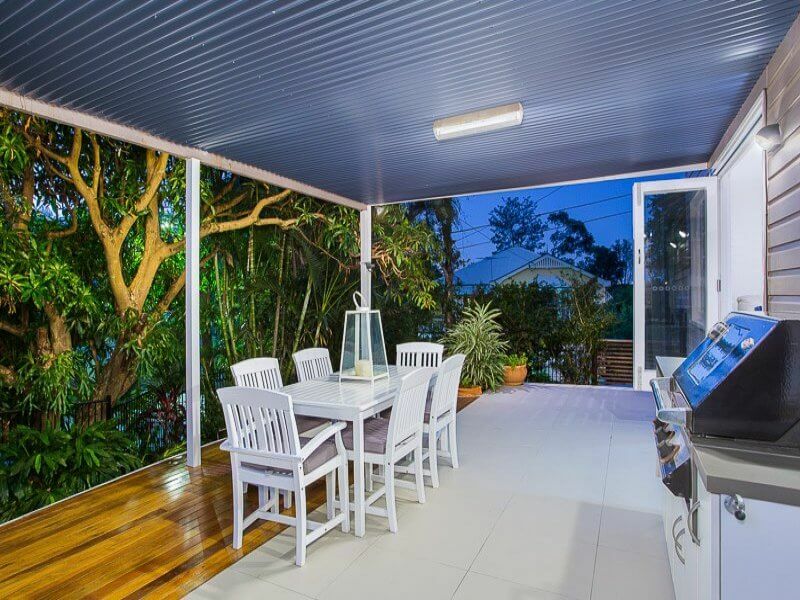 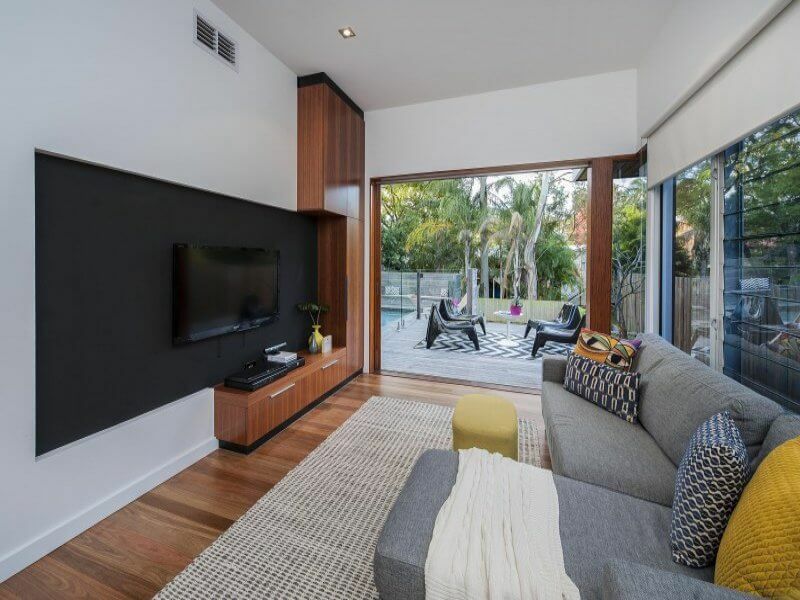 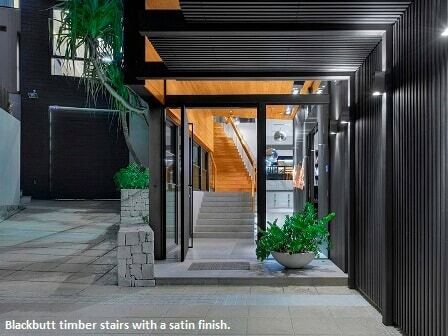 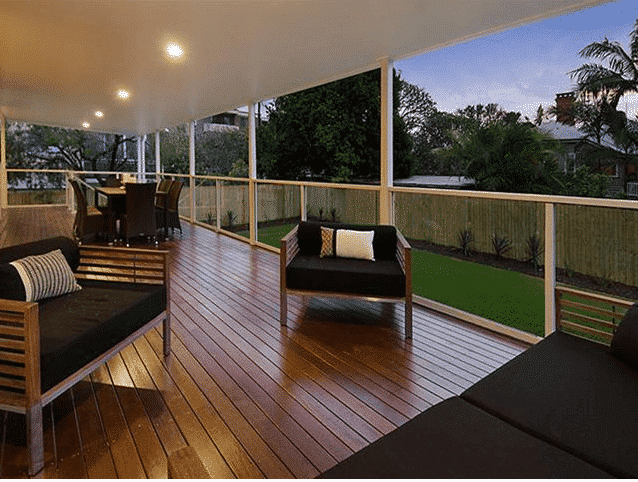 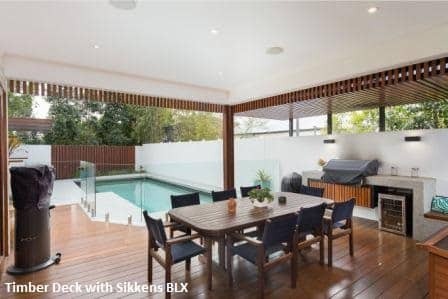 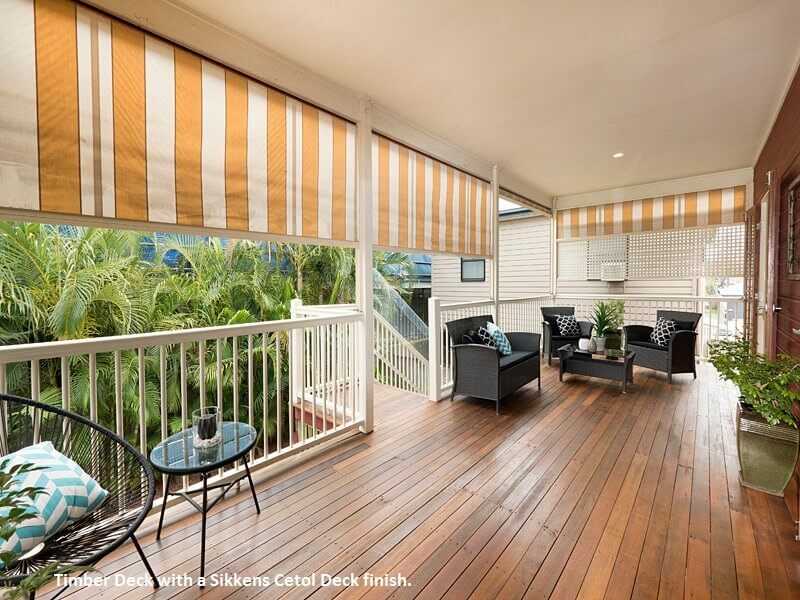 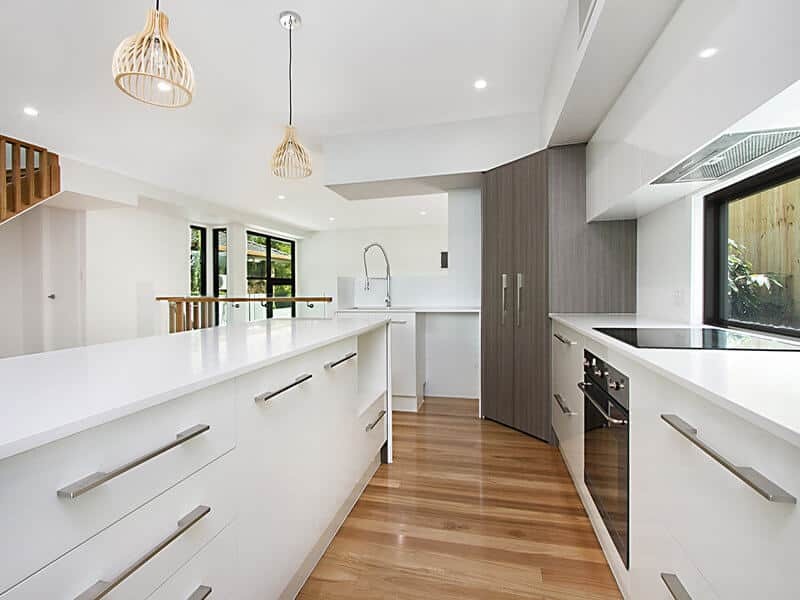 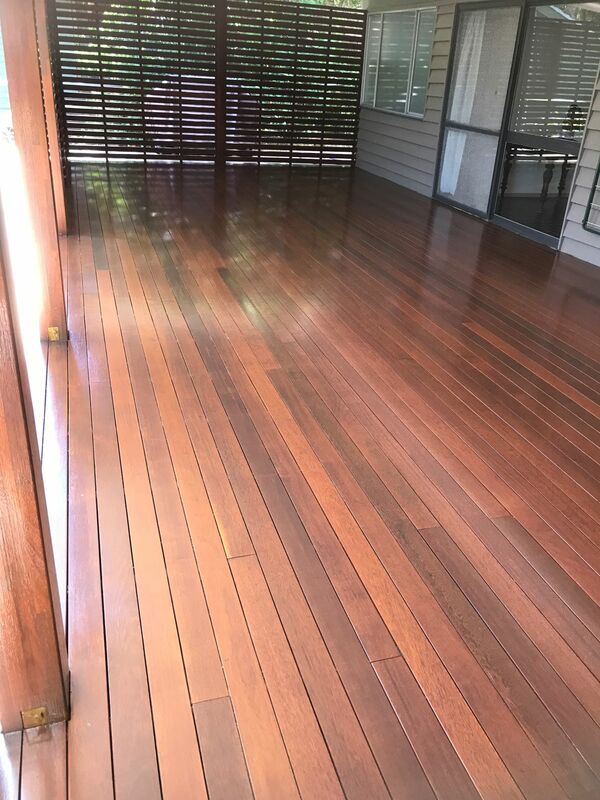 We carry out quality timber projects across all local Brisbane and surrounding suburbs including the Gold Coast, Redland City and Logan City. 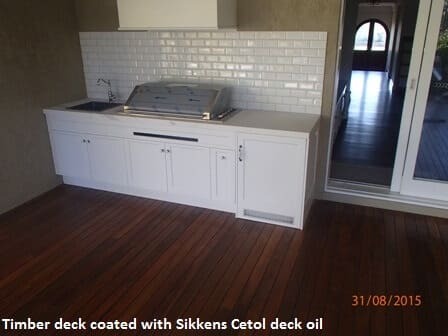 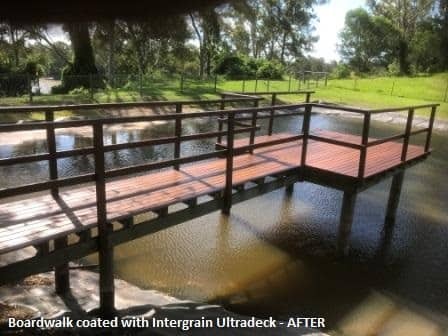 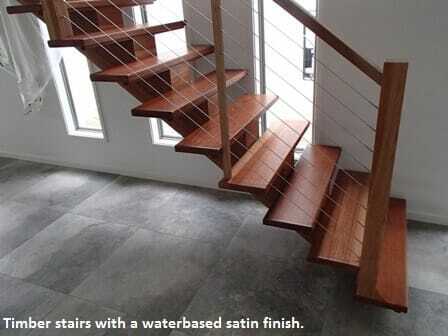 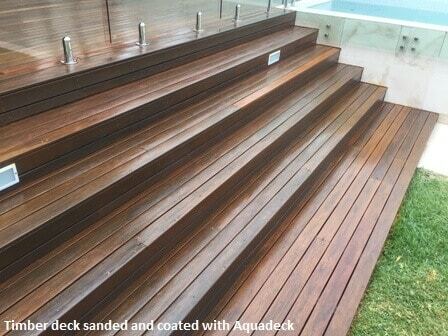 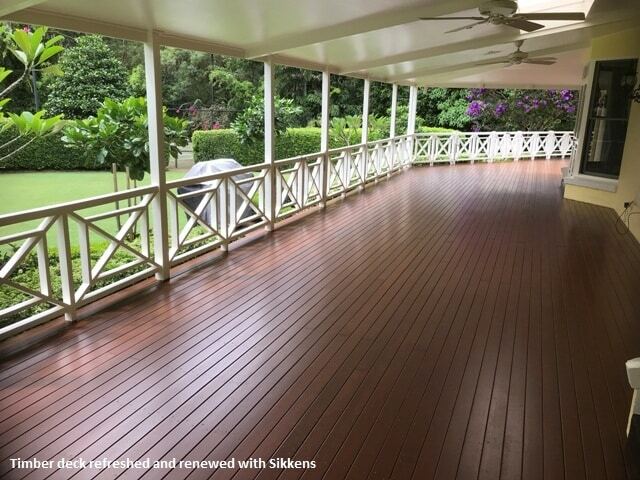 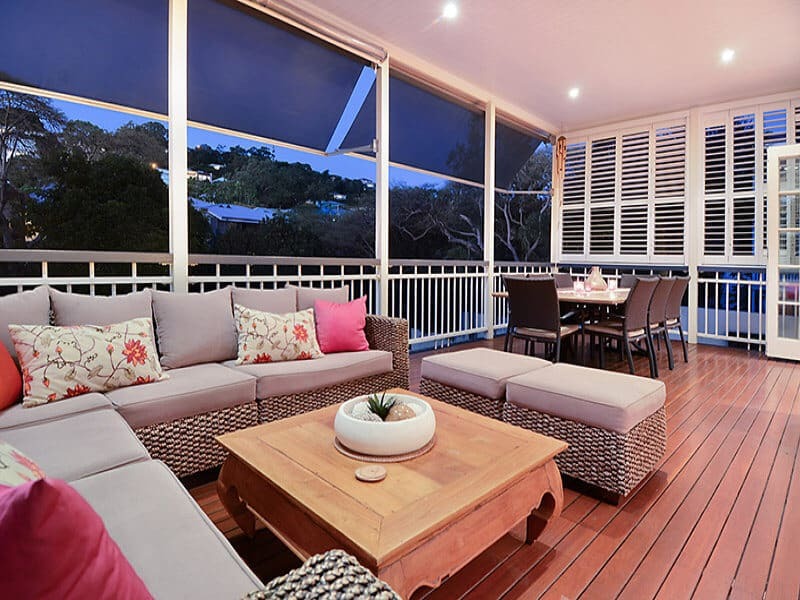 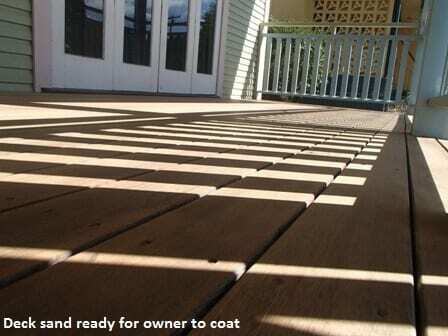 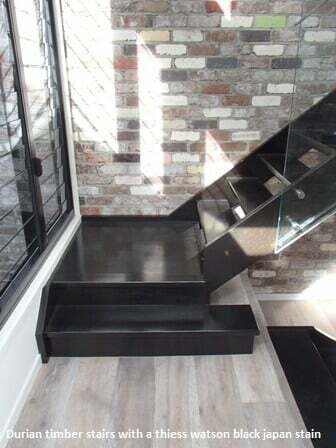 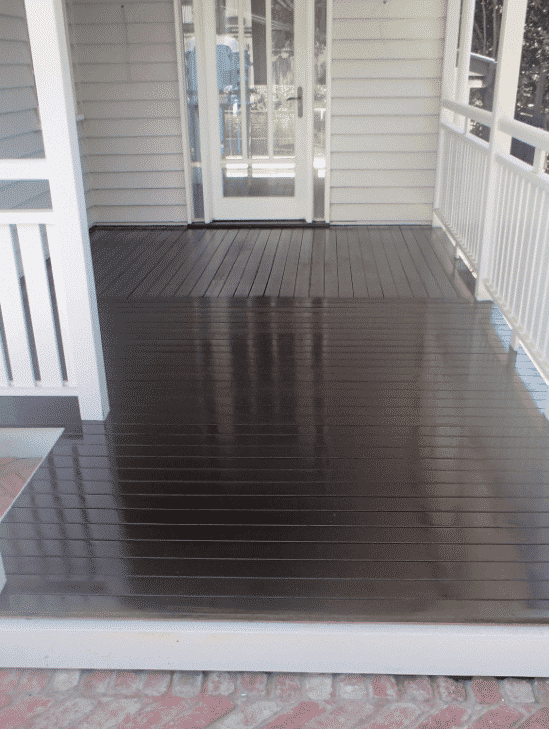 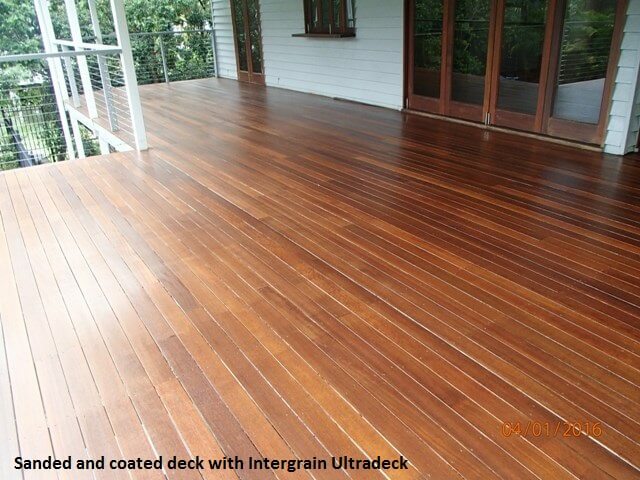 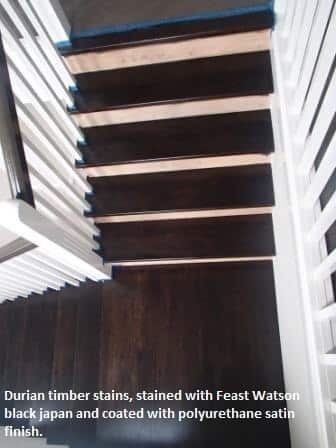 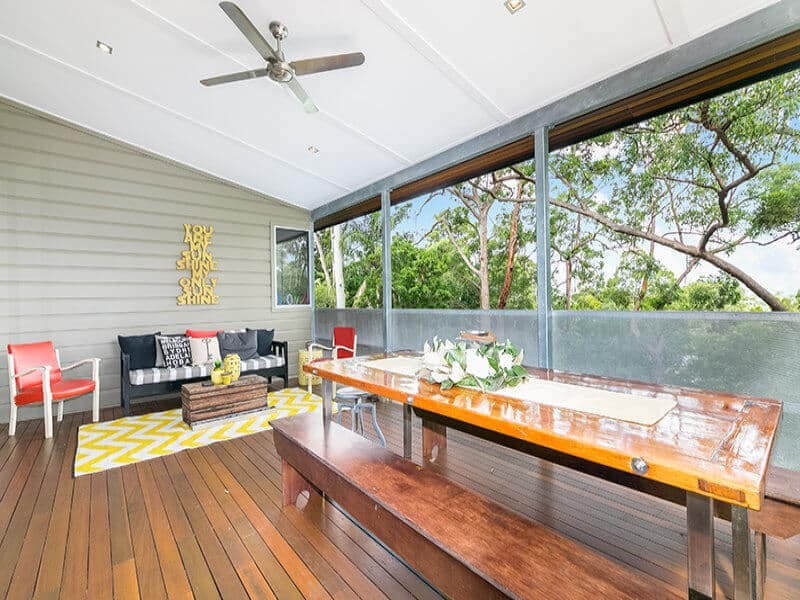 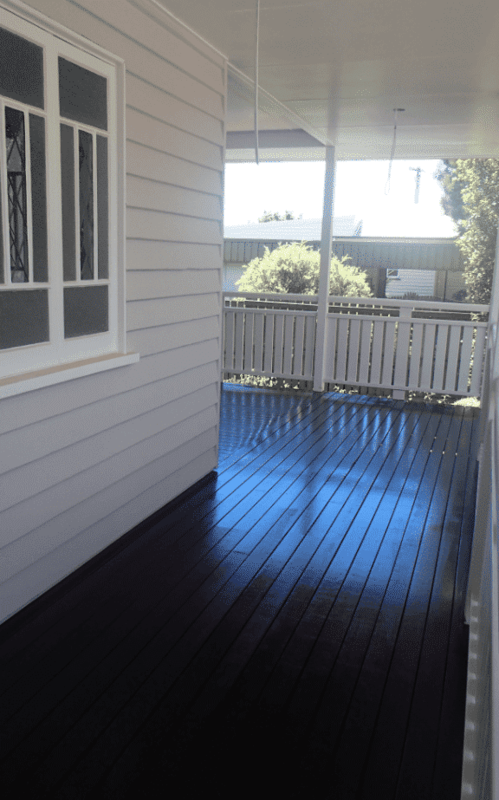 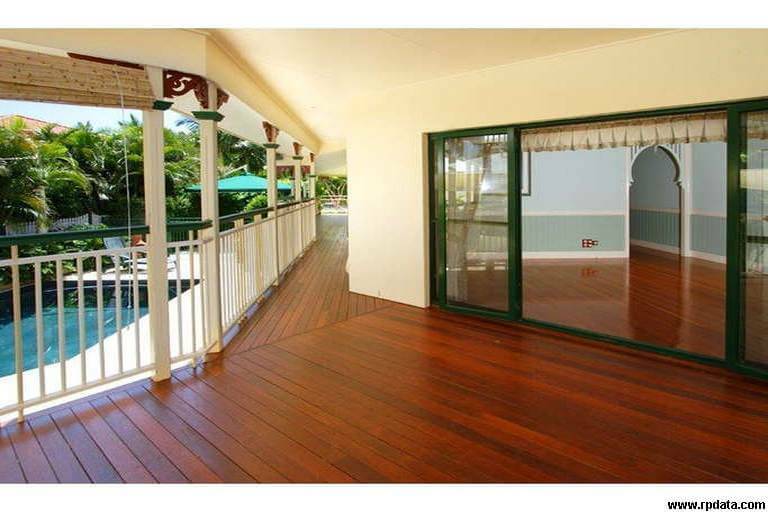 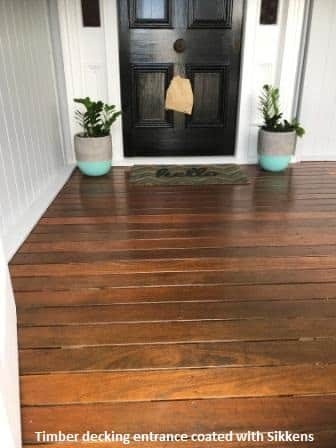 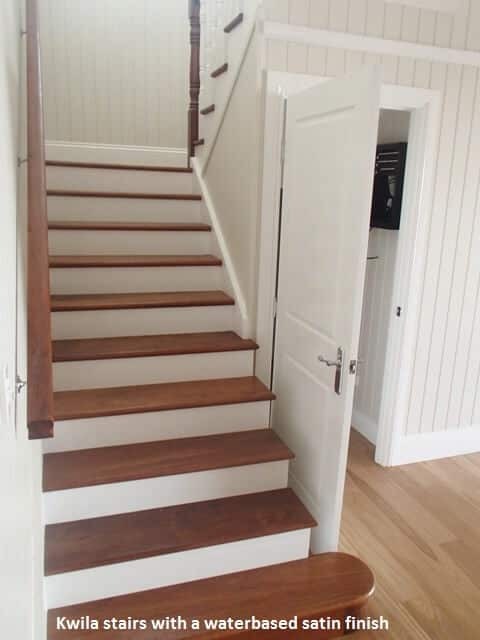 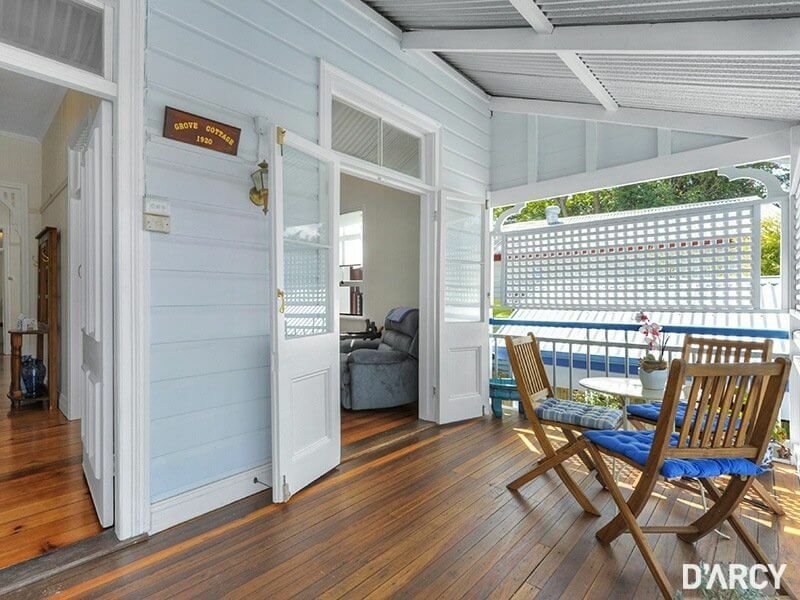 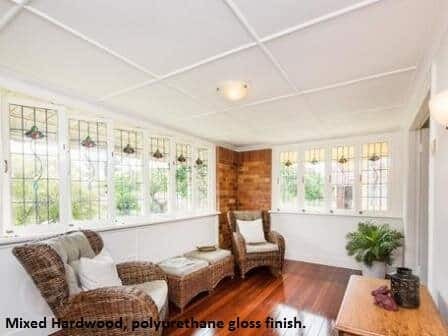 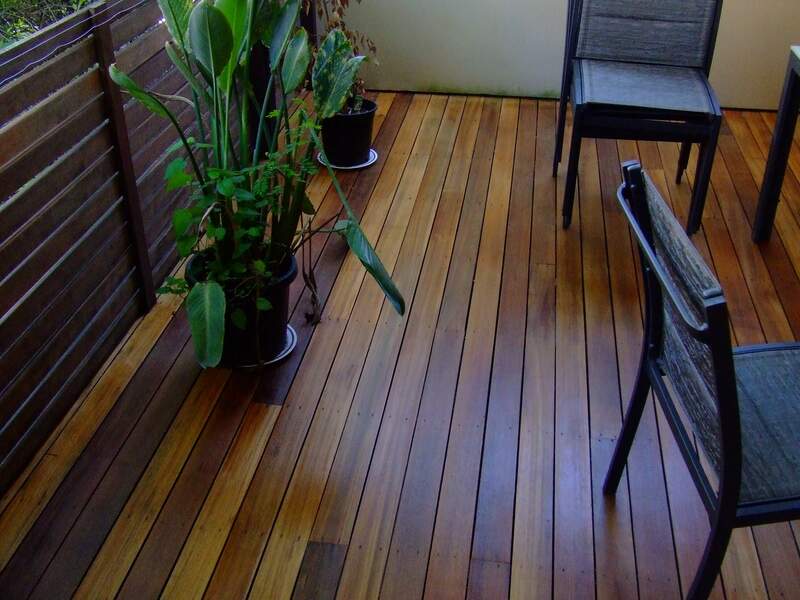 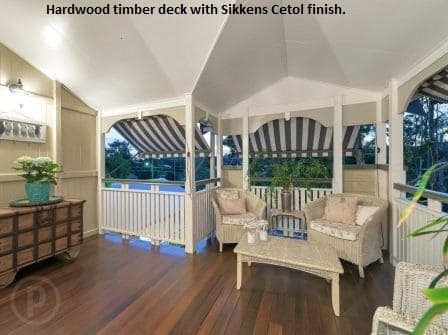 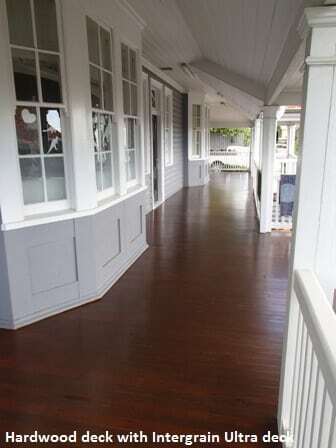 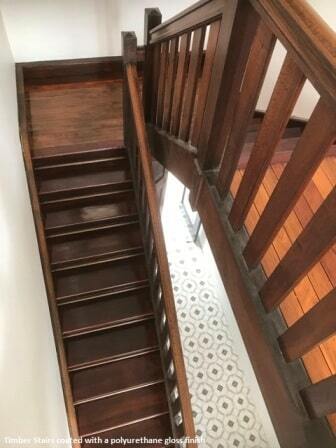 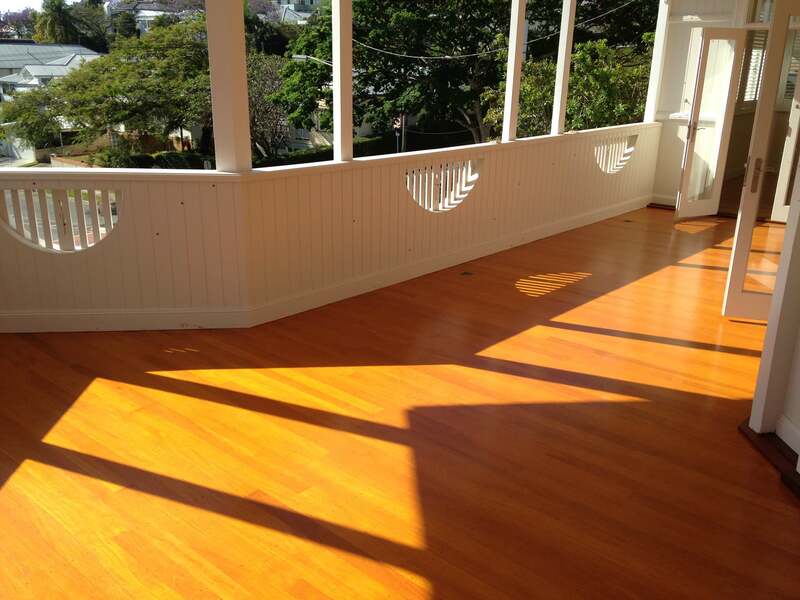 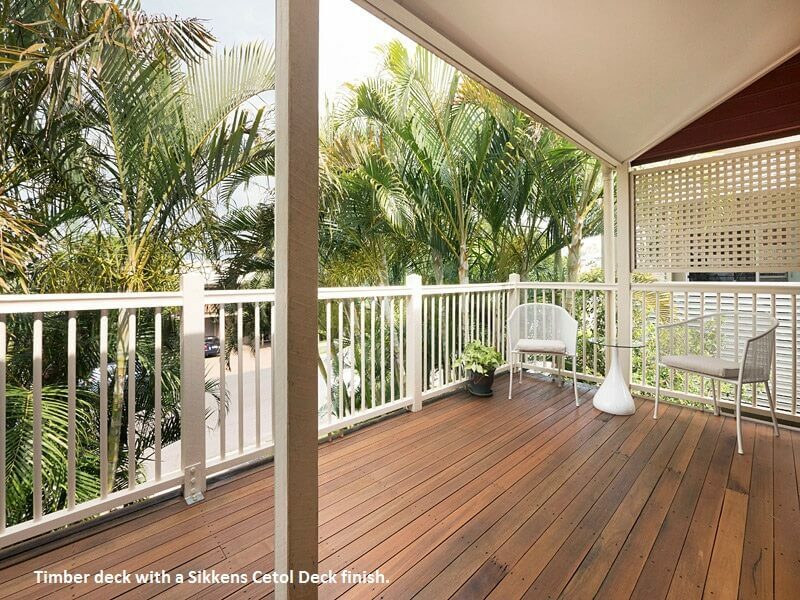 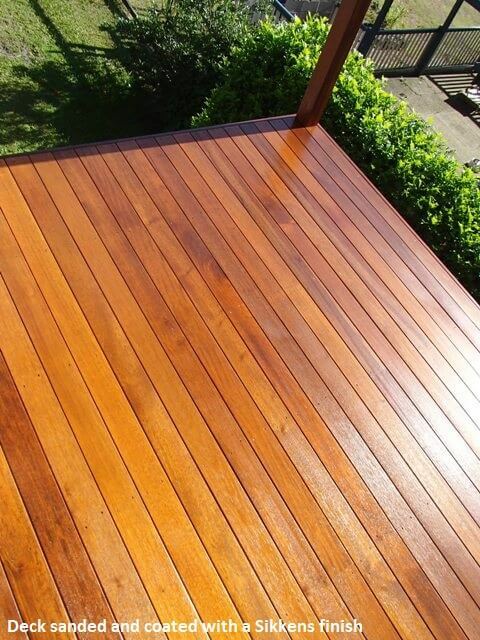 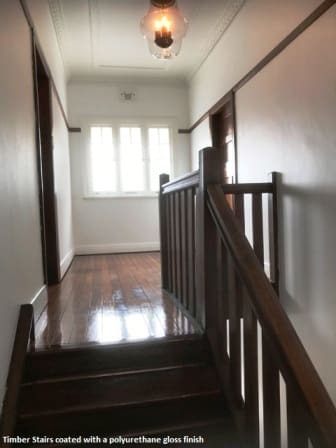 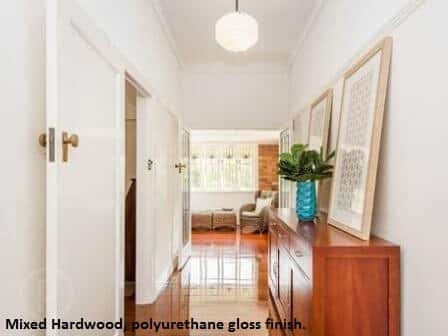 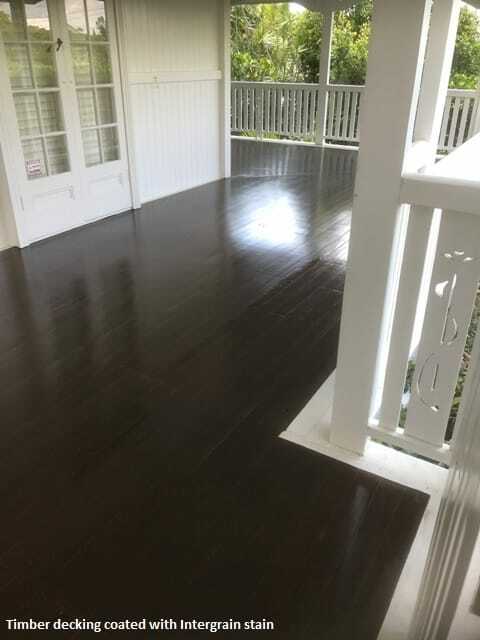 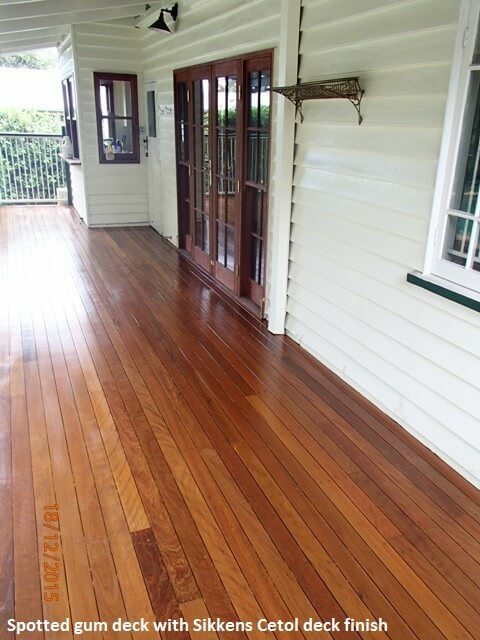 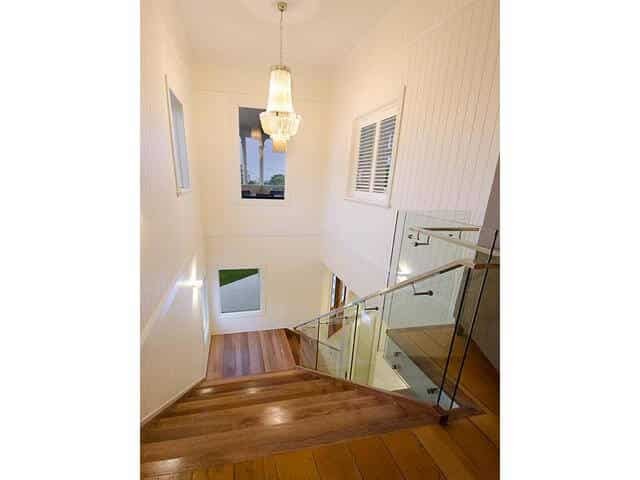 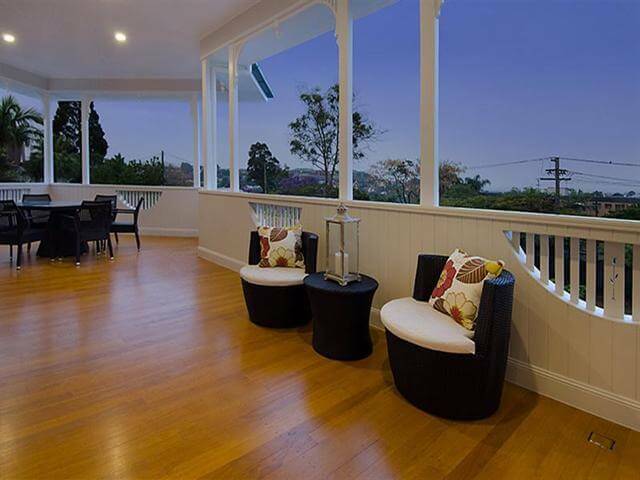 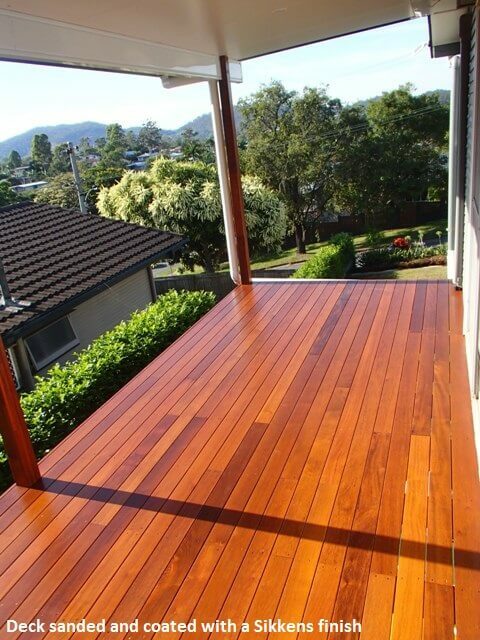 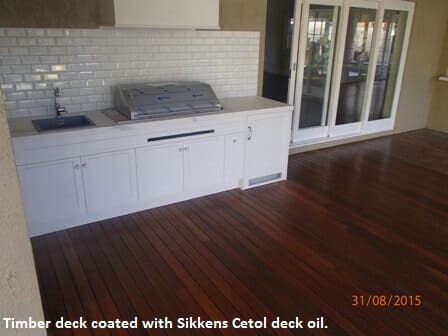 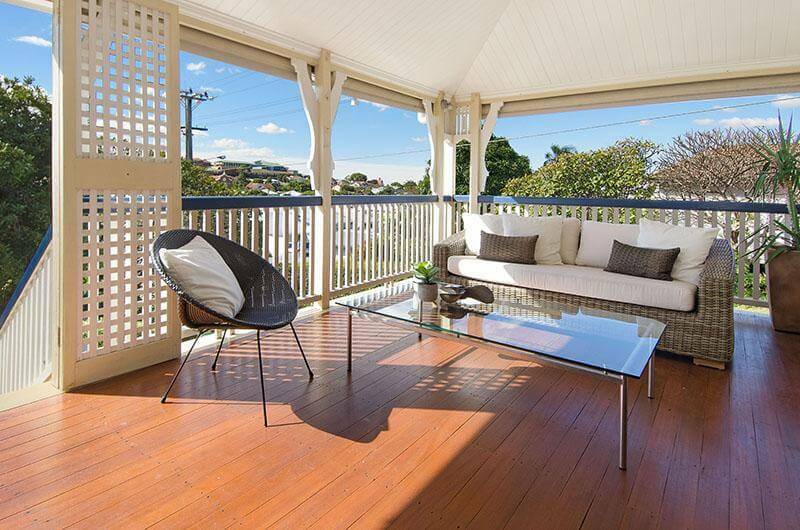 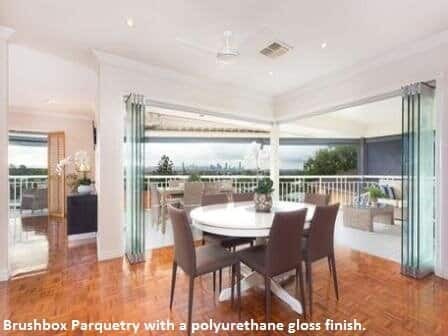 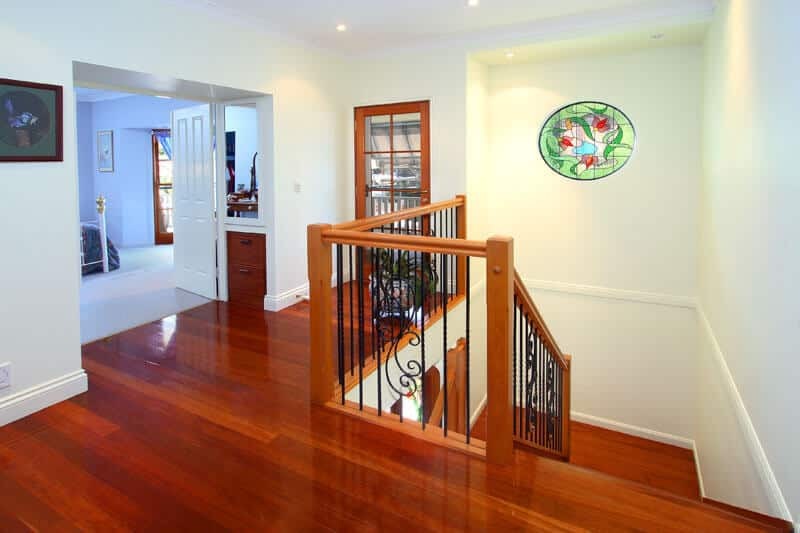 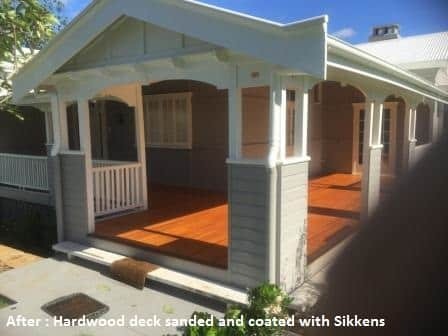 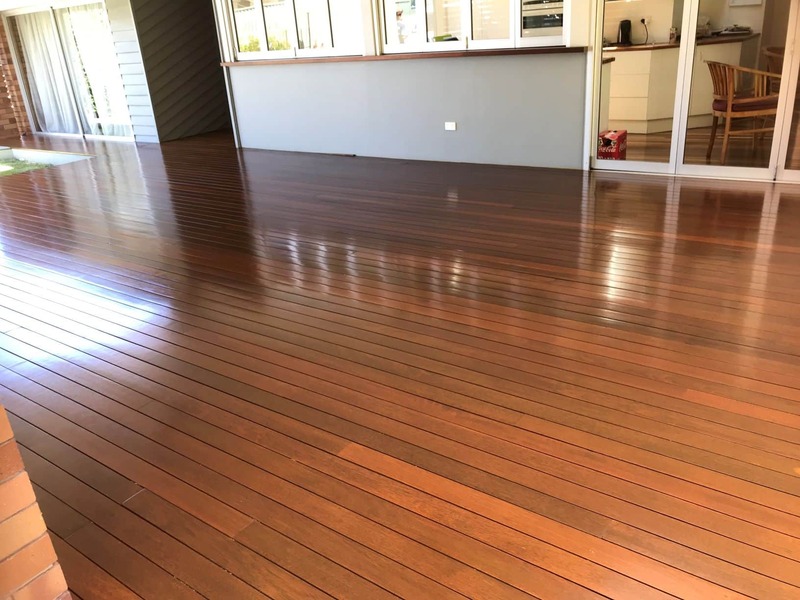 Whether you’re after floor sanding and floor polishing for your timber or parquetry floors, or you want your deck or verandah renewed or your staircase brought back to life, we offer a range of services to satisfy your needs. 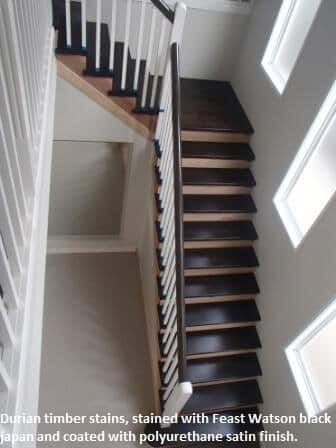 Residential homes and commercial businesses value our honest approach and can always rely on the quality products we source and use. 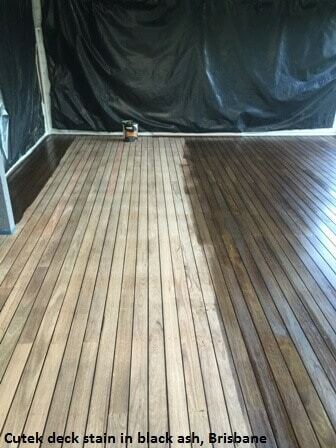 We never skimp on preparation and continue to work with you until you are as proud of the result as we are. 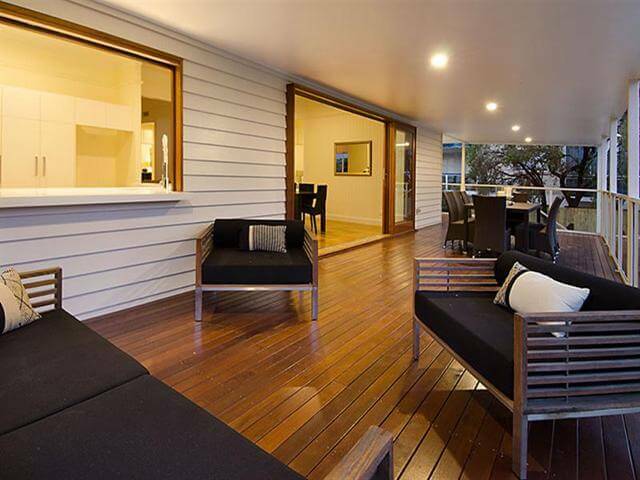 Exceptional service is just part of our nature. 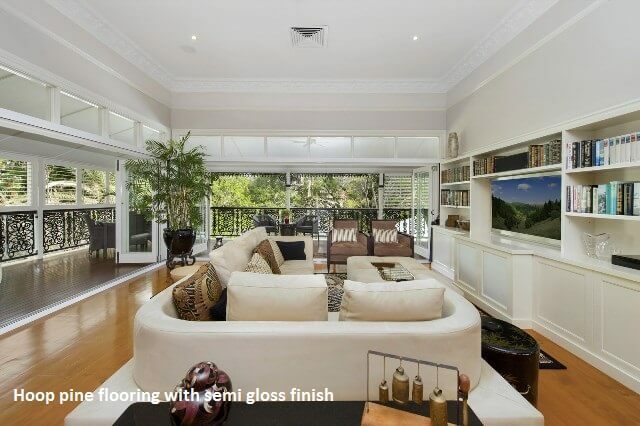 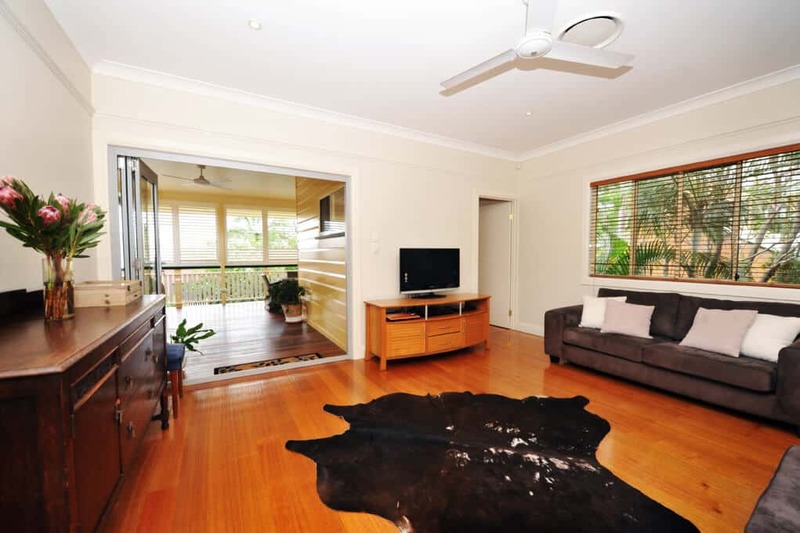 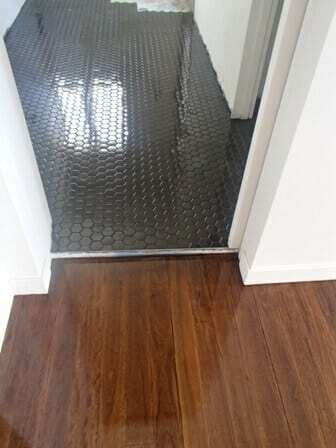 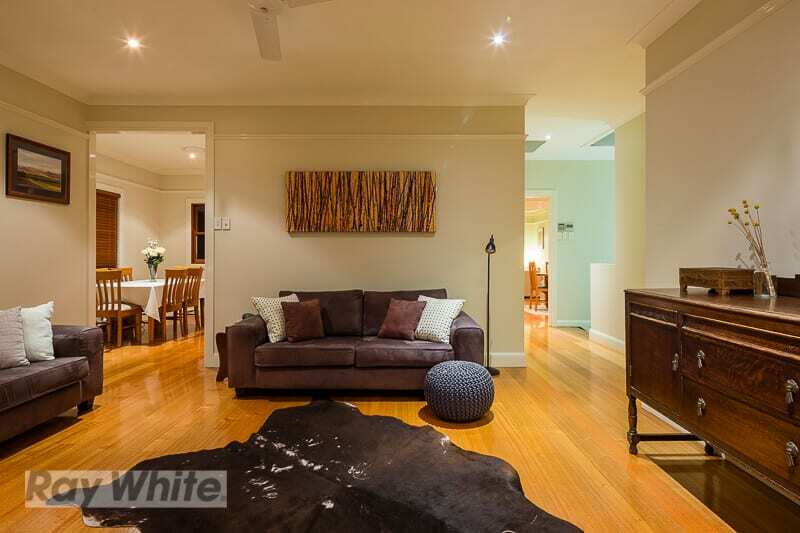 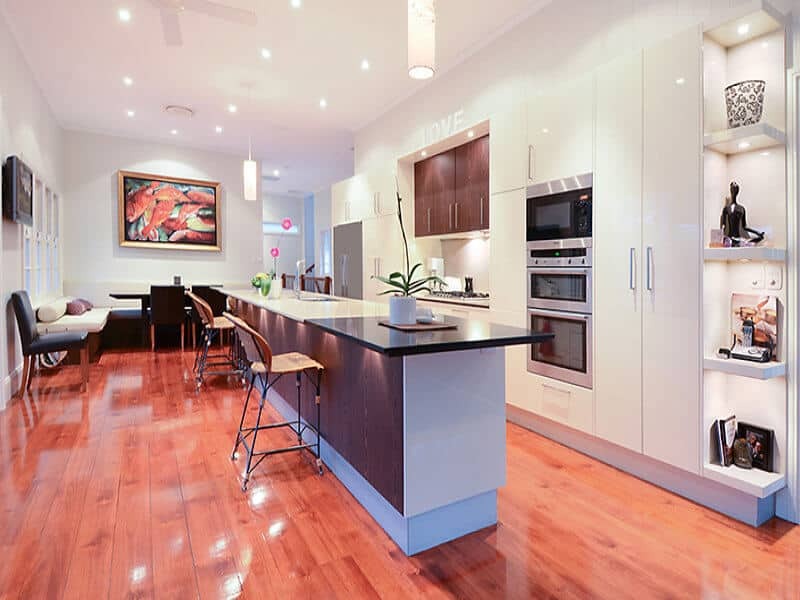 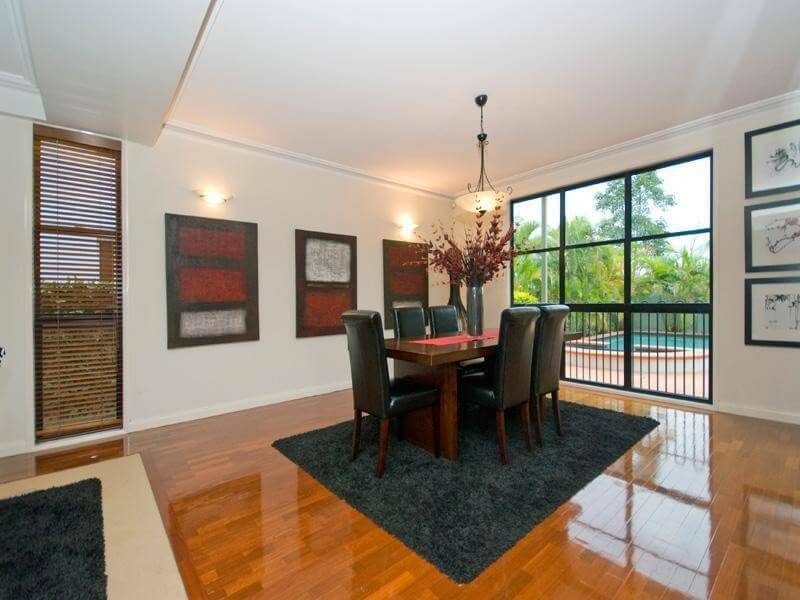 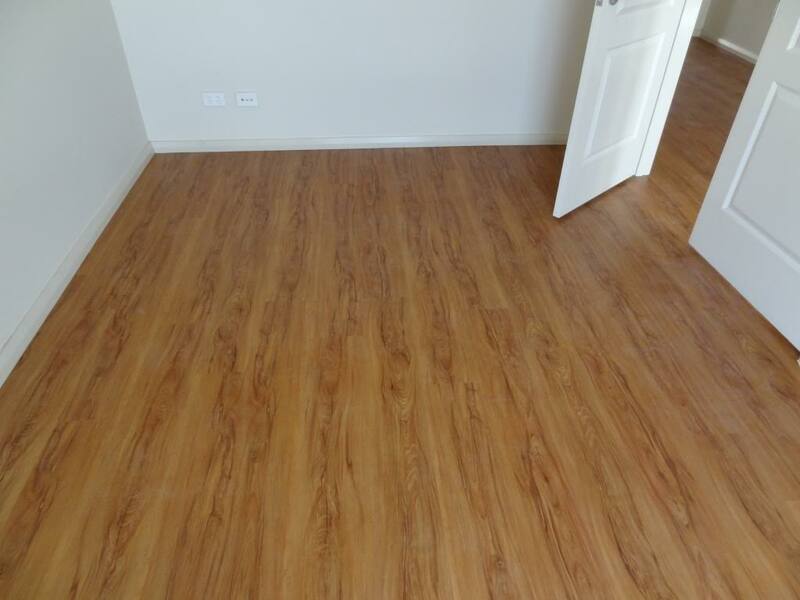 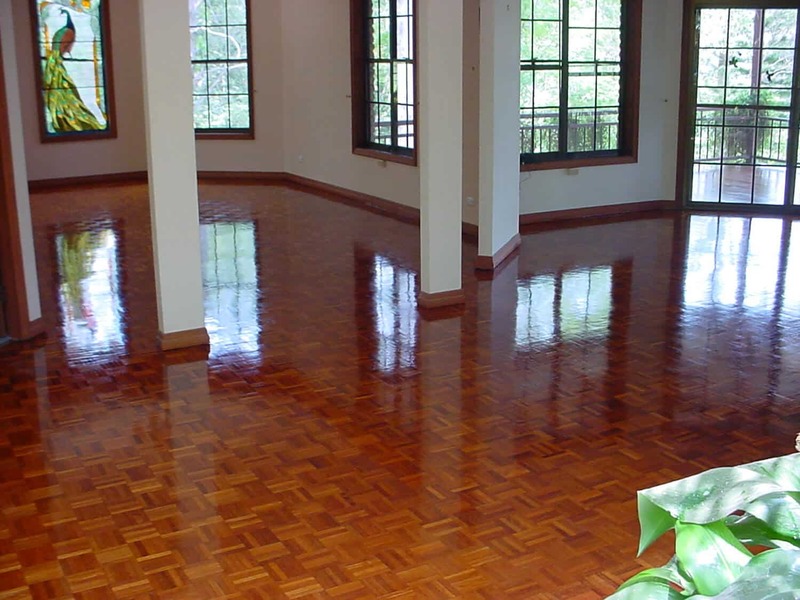 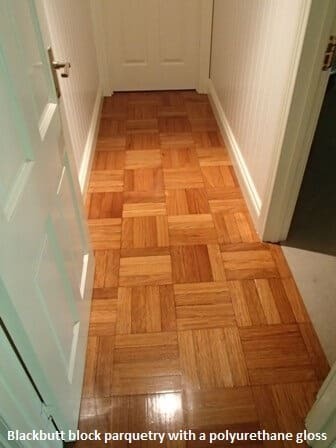 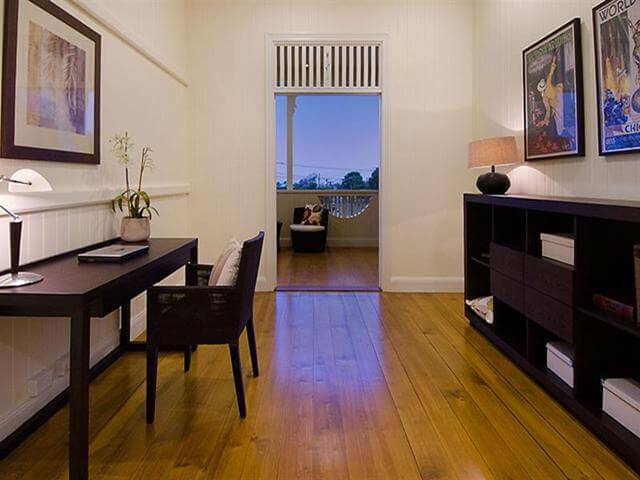 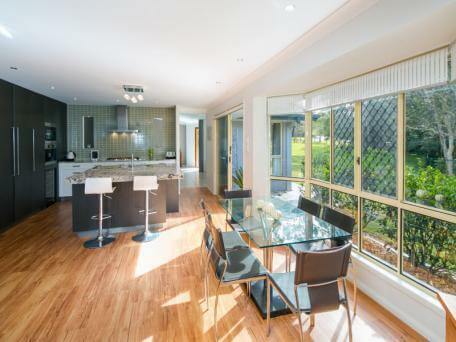 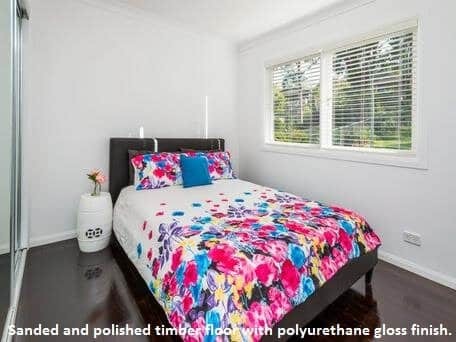 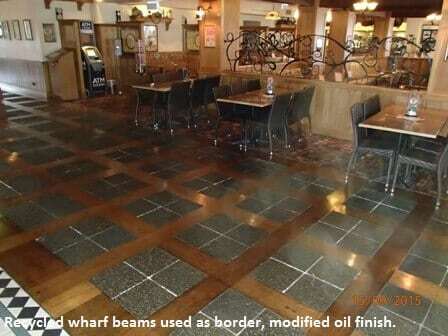 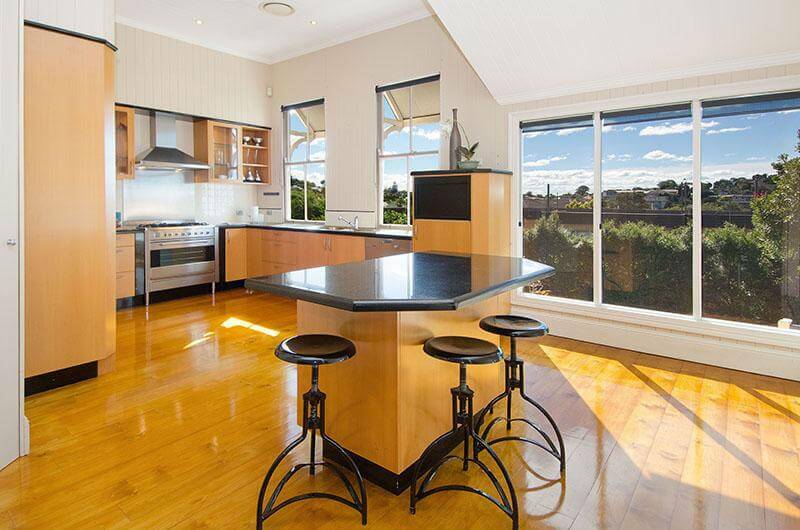 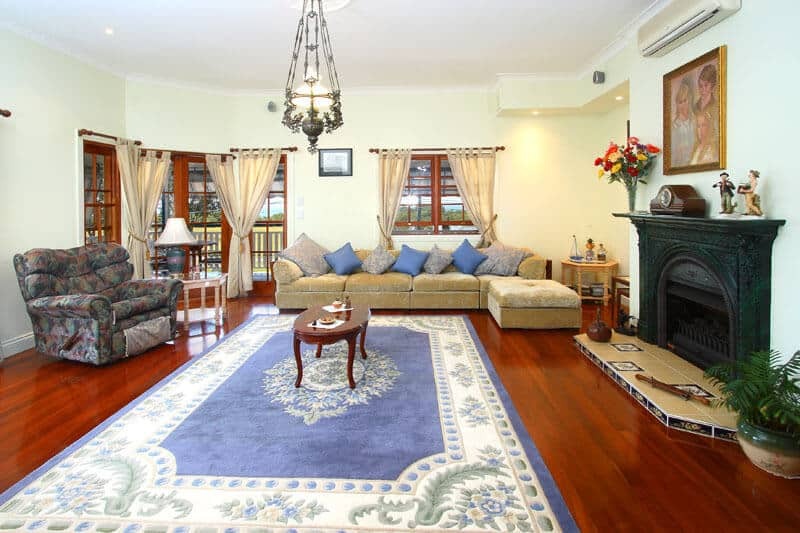 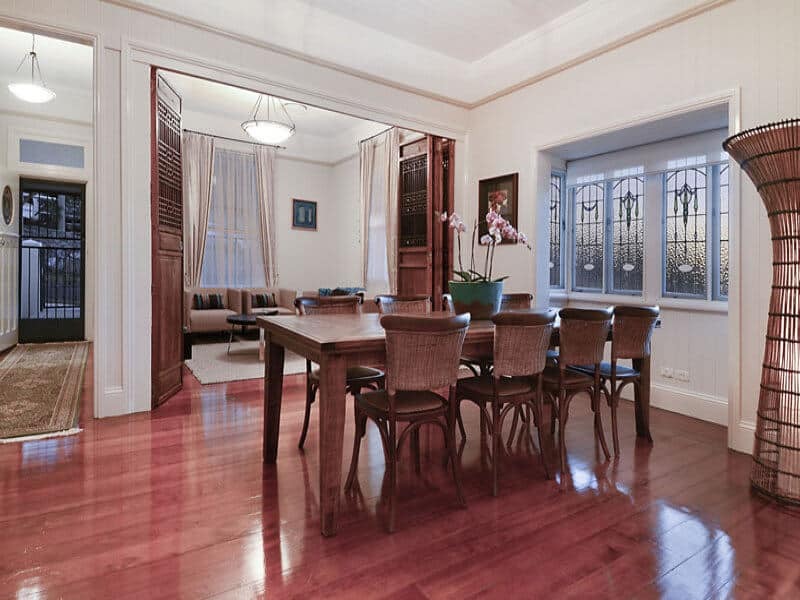 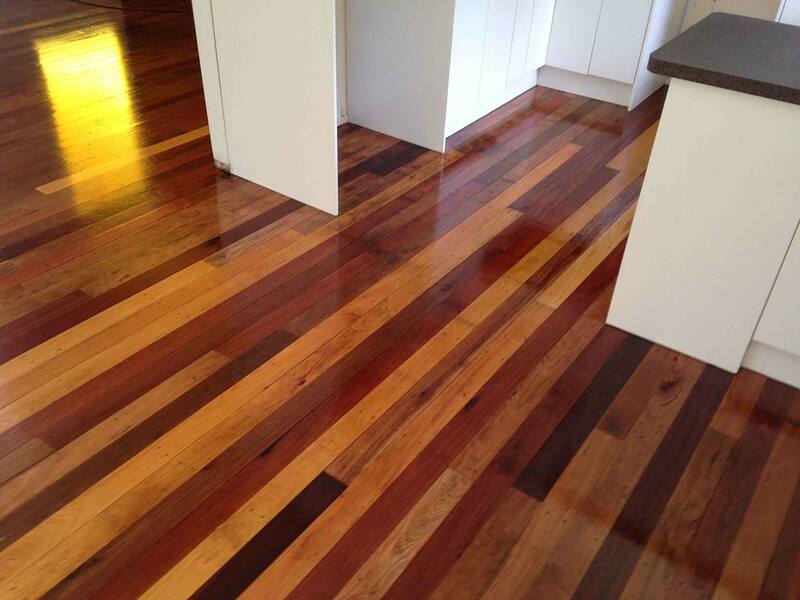 Brisbanes Finest Floors was first established in 1994. 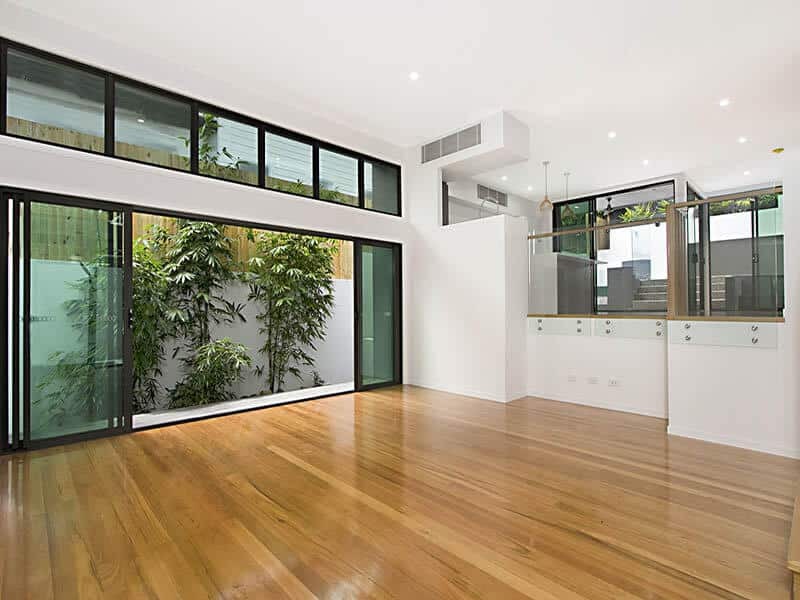 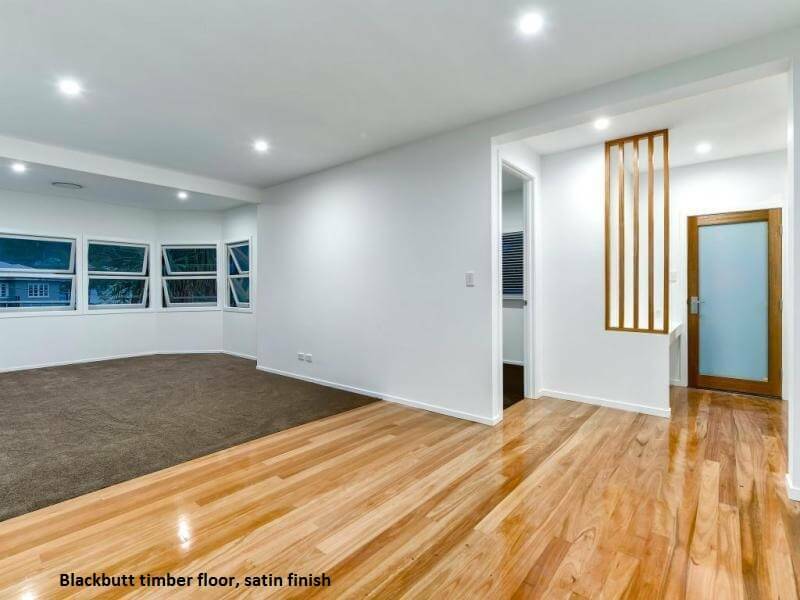 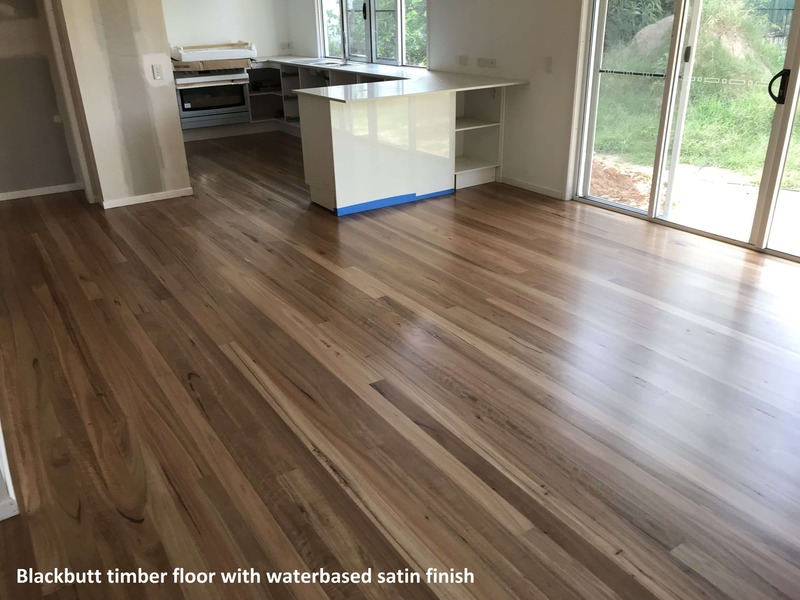 We take our business seriously, so as you would expect, we’re a member of the Australian Timber Flooring Association (ATFA) and we’re fully licensed with the Queensland Building and Construction Commission (QBCC). 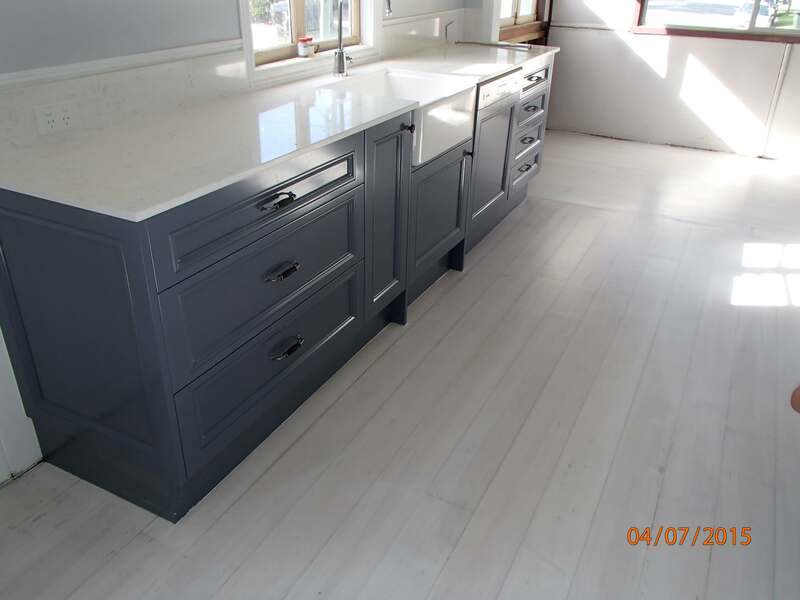 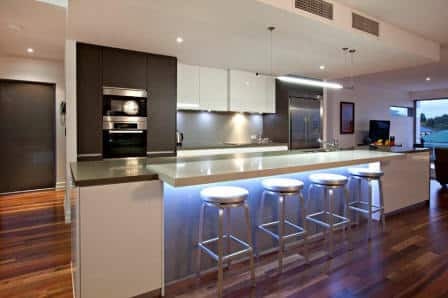 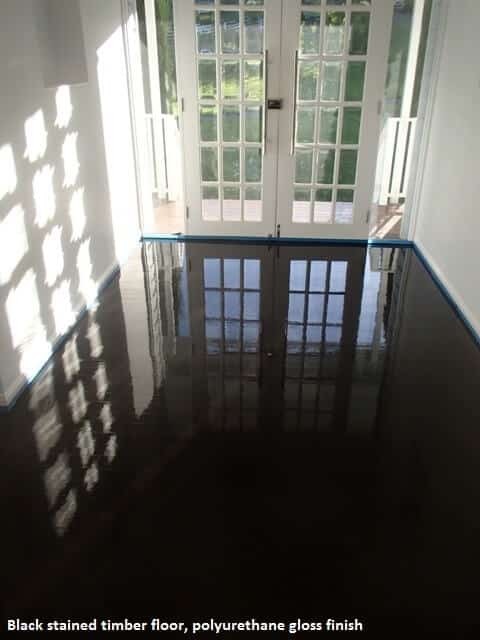 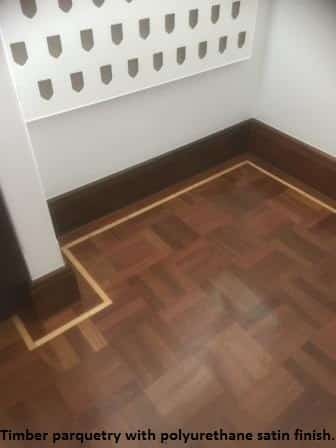 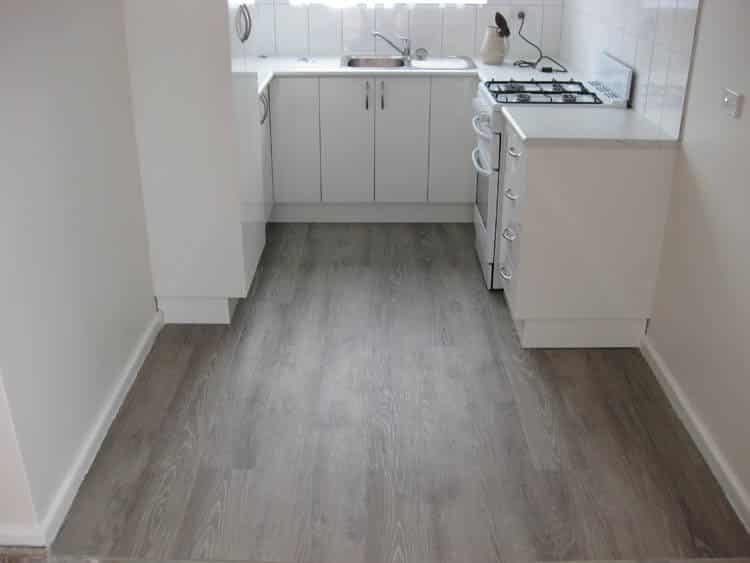 We are also holders of a Government approved Blue Card and all team members are fully qualified to undertake flooring installations, sanding, polishing and all restoration work. 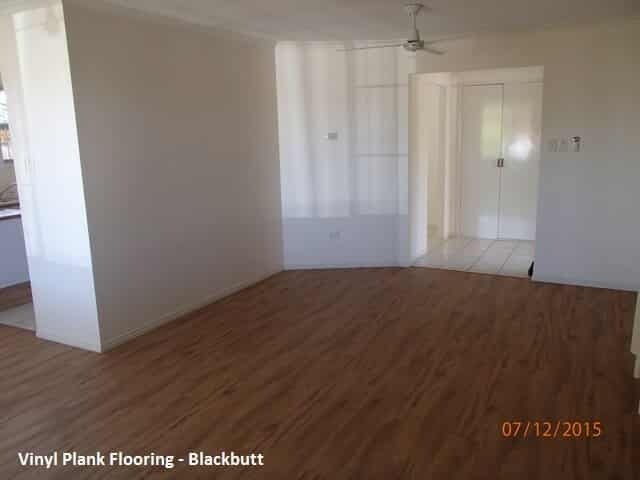 In fact you’ll never have to worry about a thing. 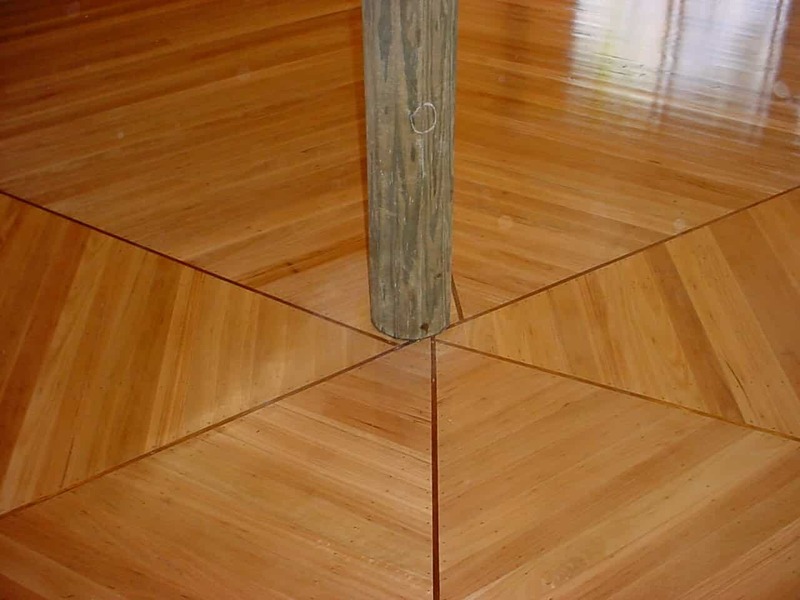 The result you seek is the exact one you receive. 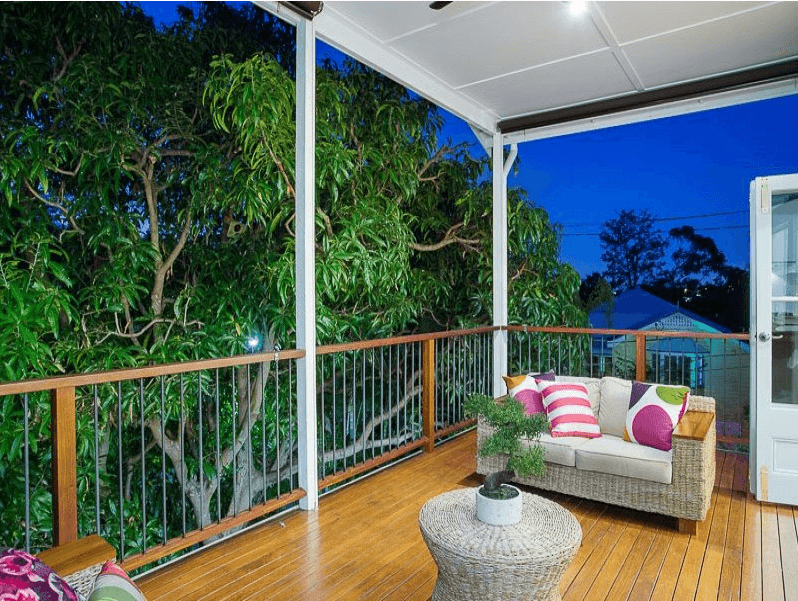 We all understand how important word of mouth is and that is why we are so excited to share with you the glowing testimonials our clients provide us over and over. 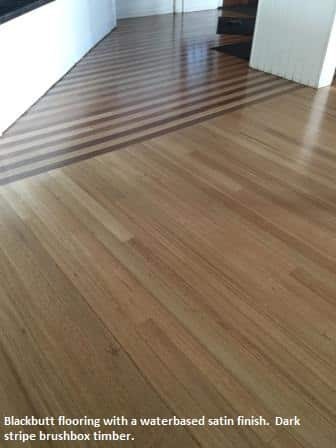 As a family-owned business, we pride ourselves on ensuring that our reputation is second to none and the workmanship we provide is nothing short of outstanding. 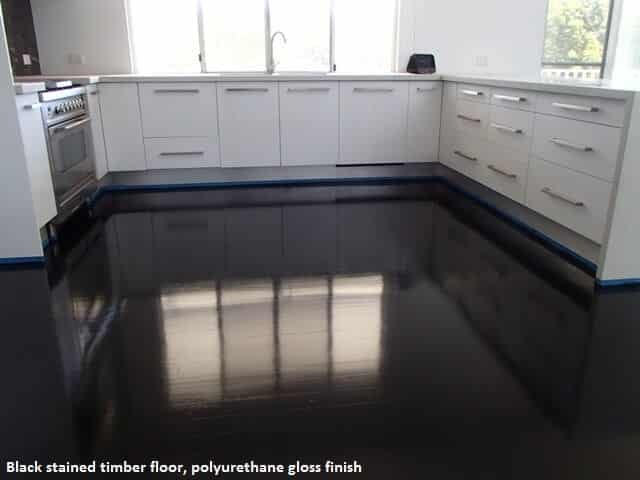 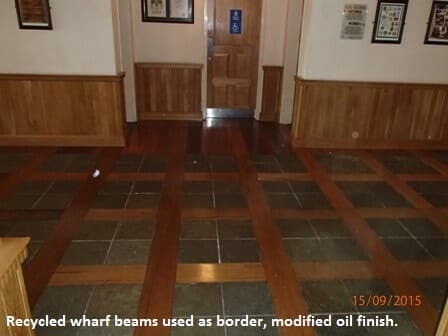 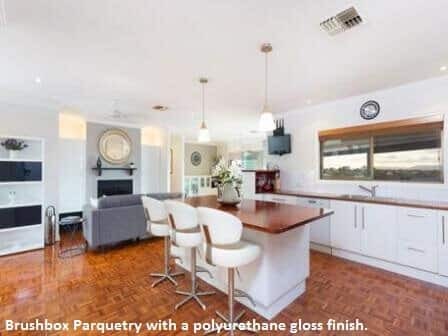 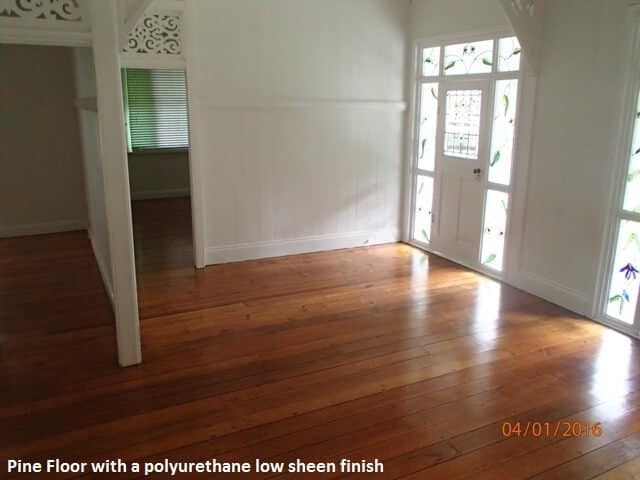 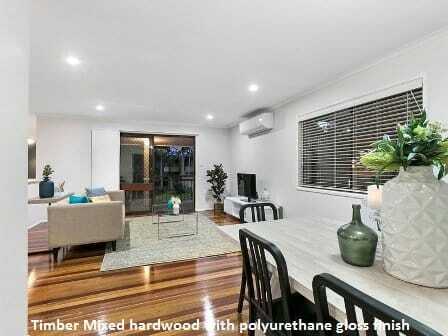 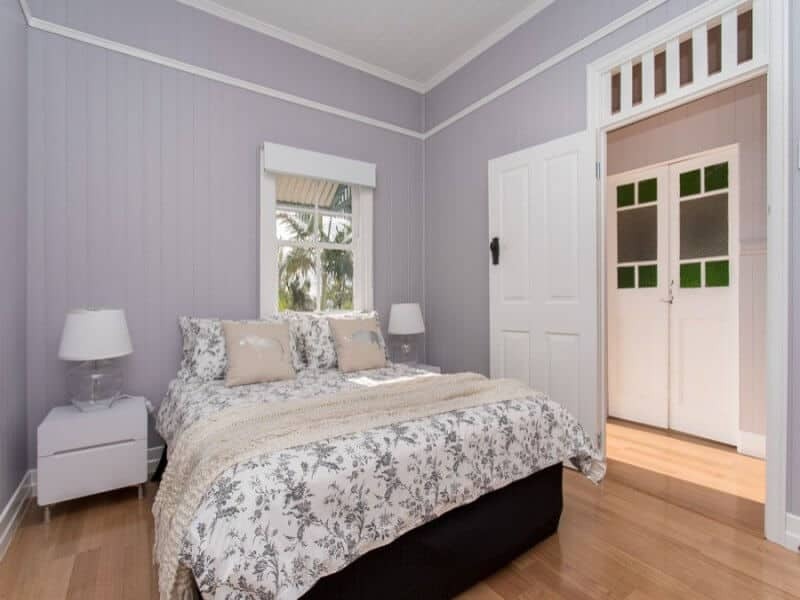 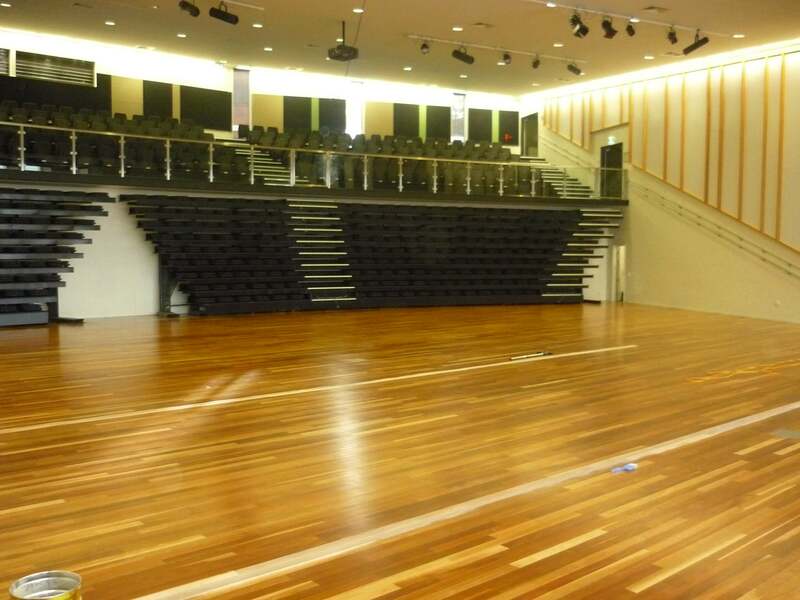 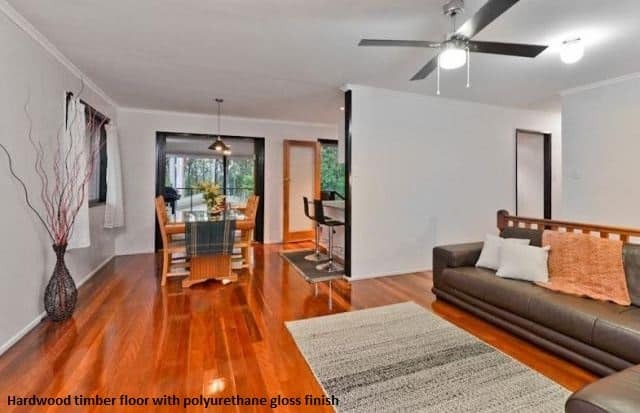 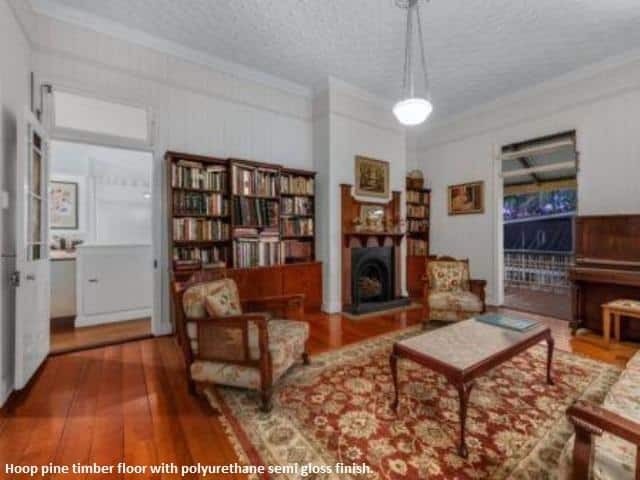 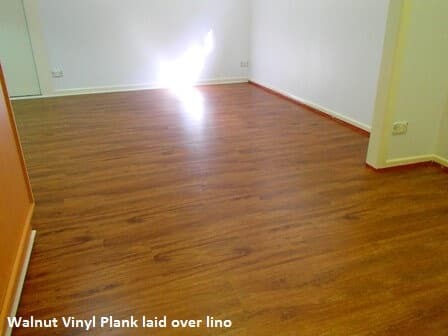 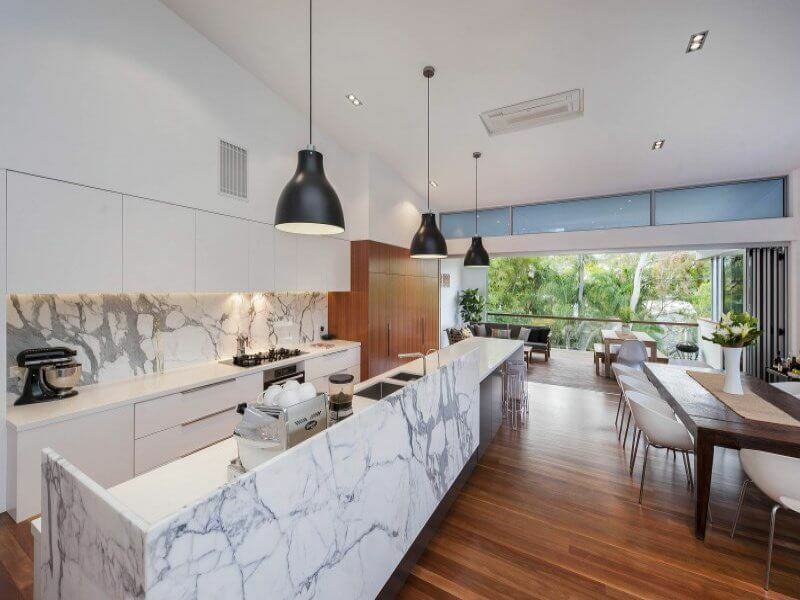 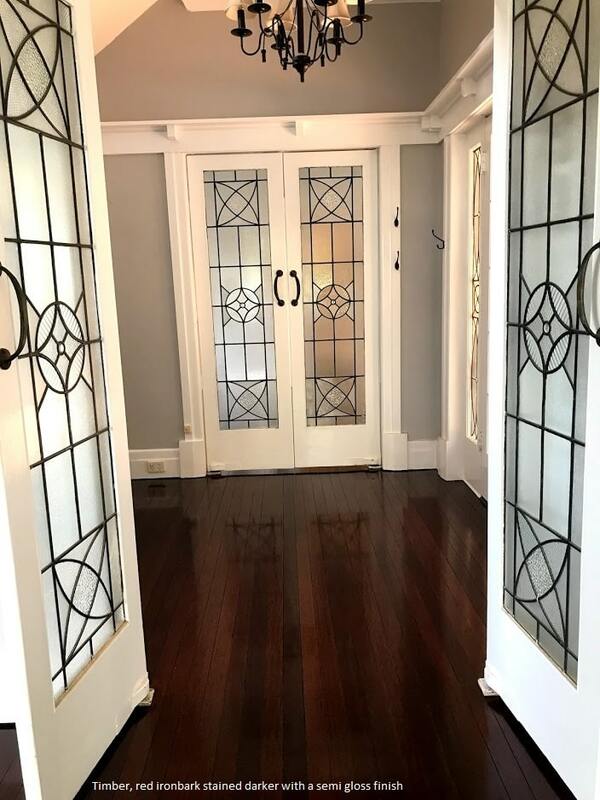 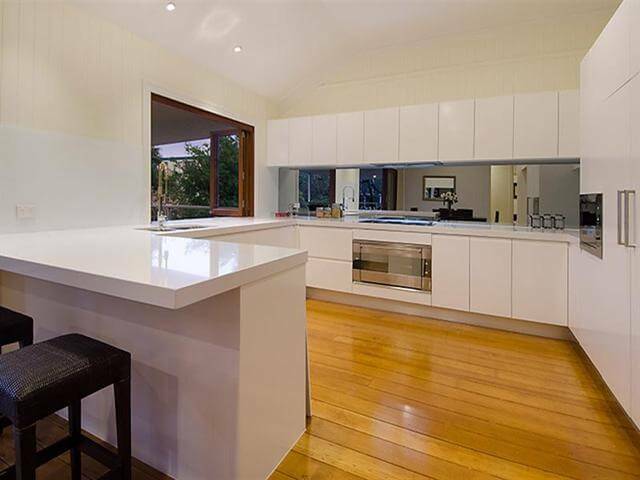 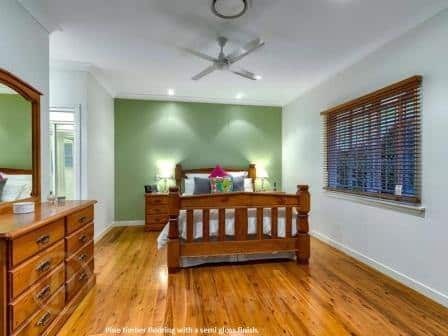 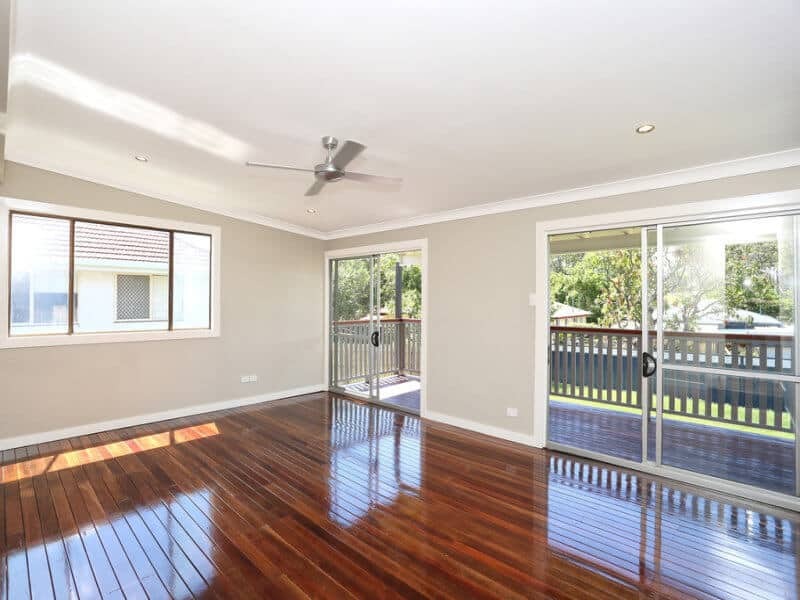 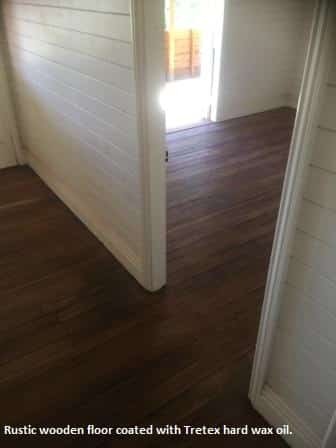 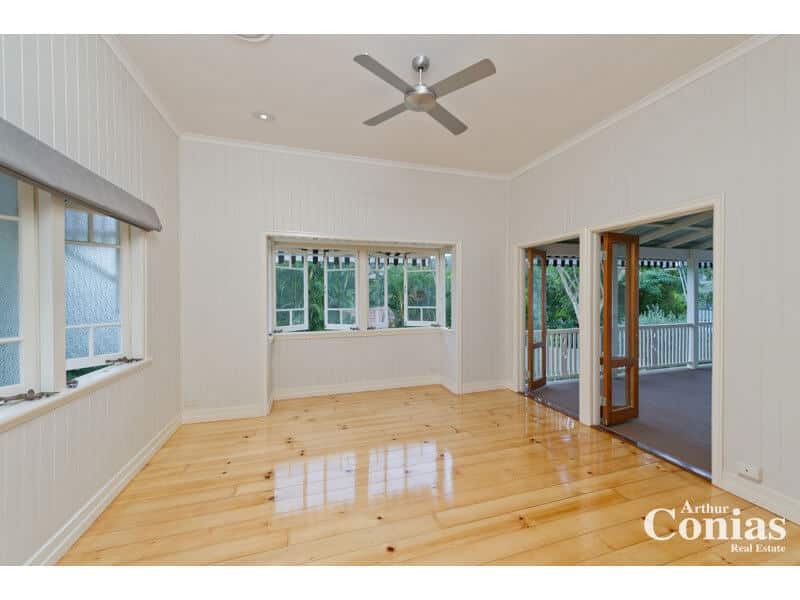 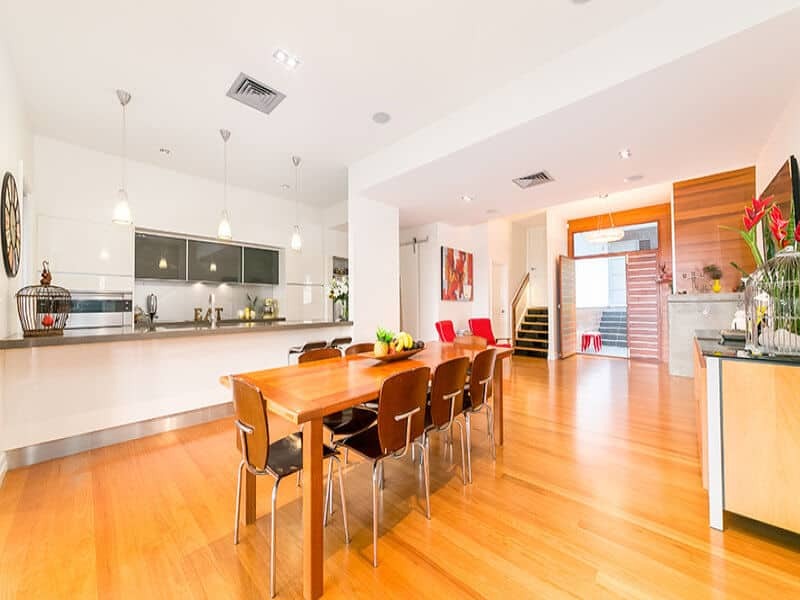 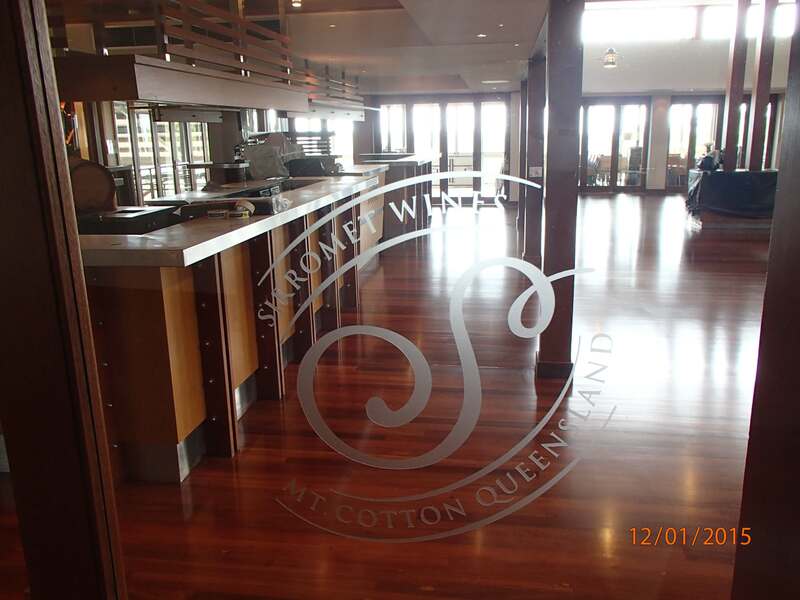 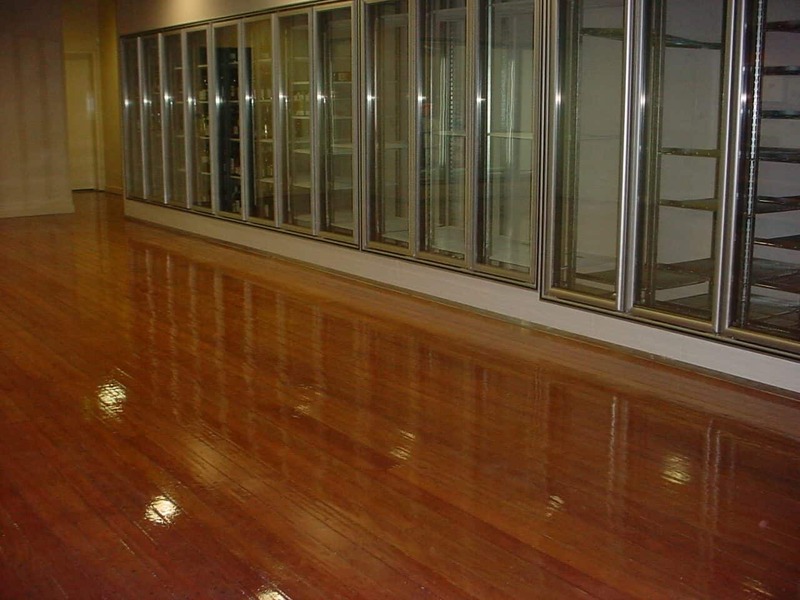 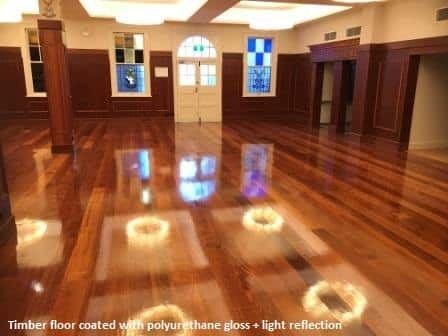 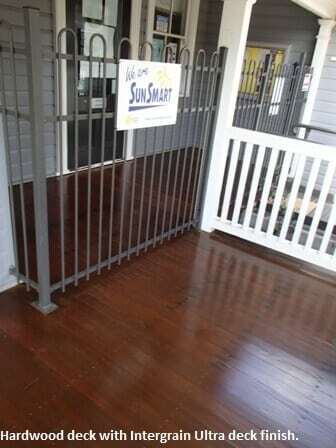 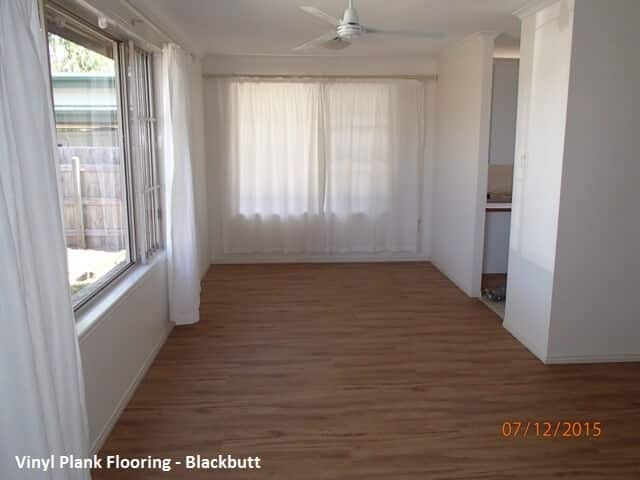 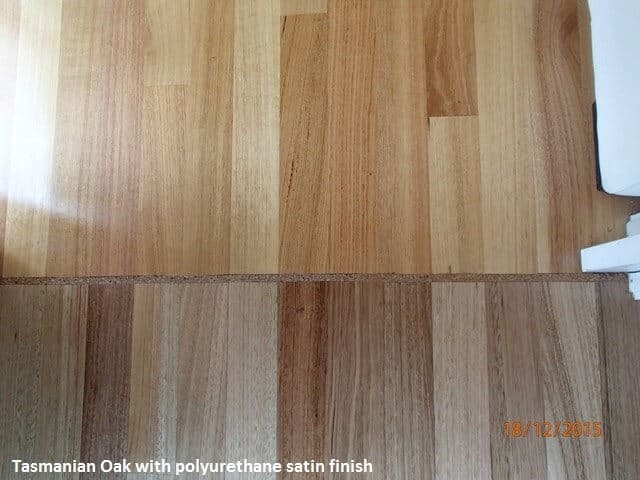 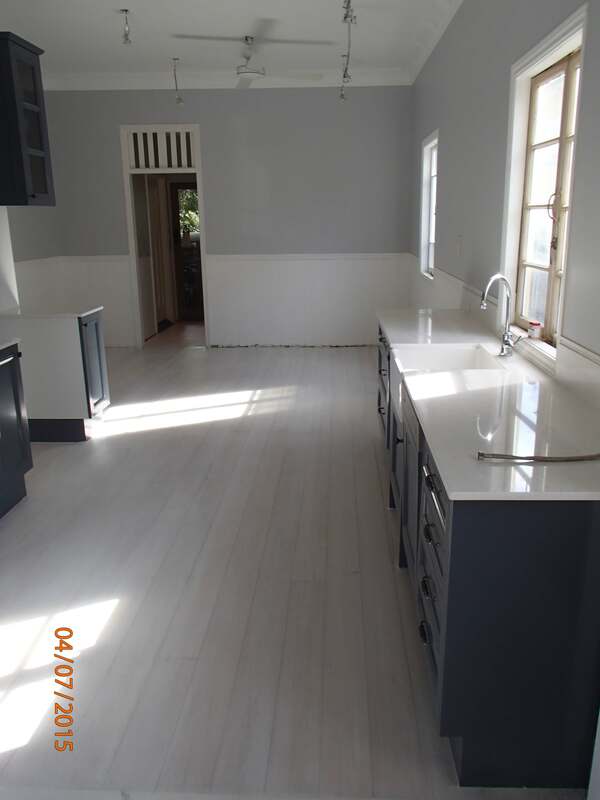 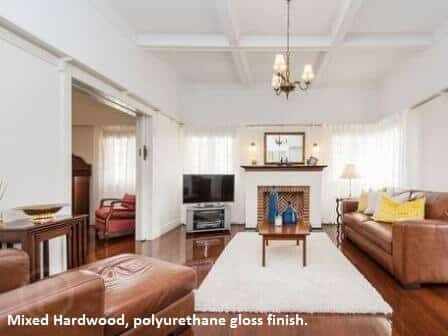 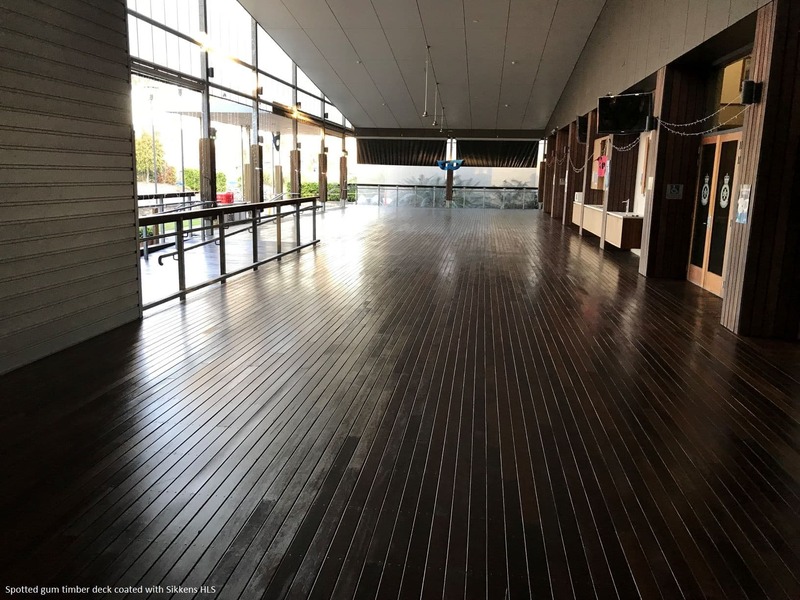 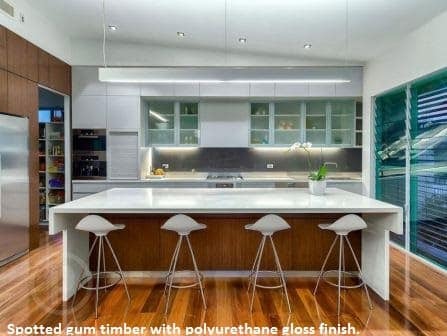 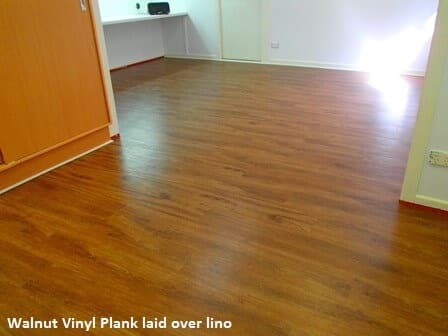 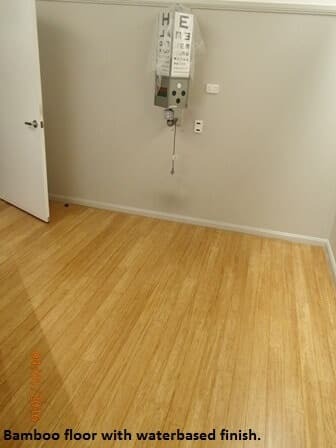 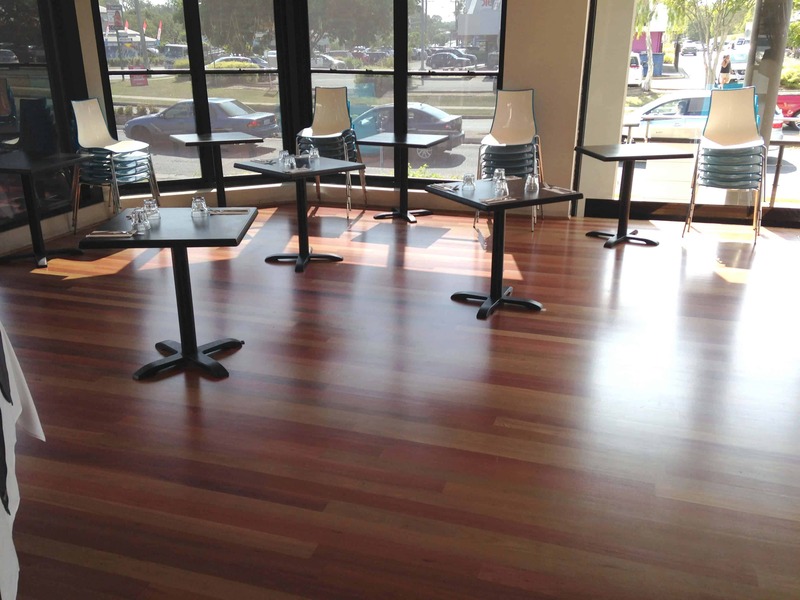 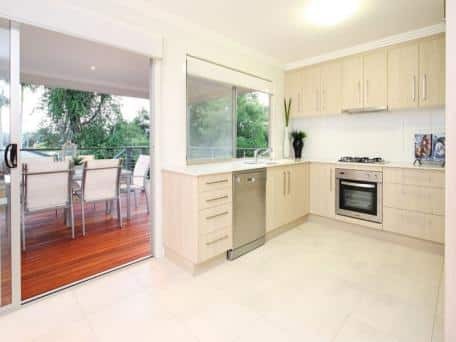 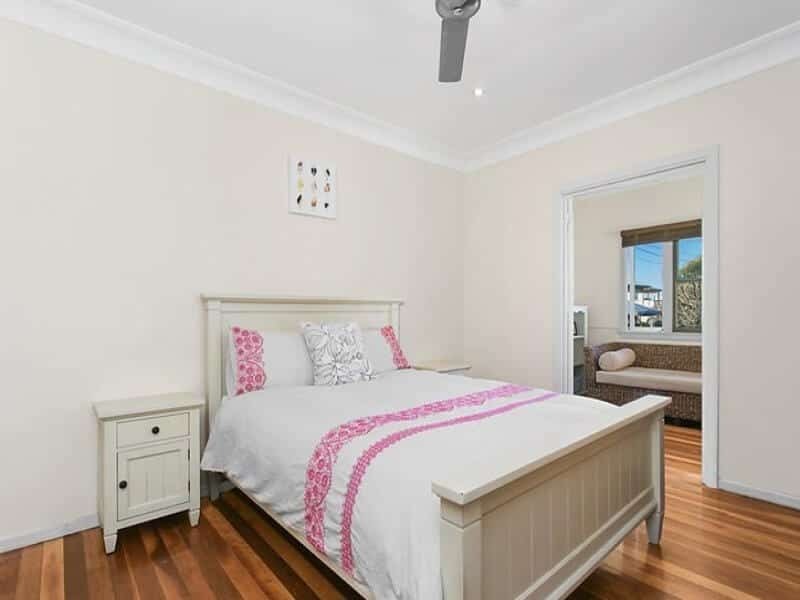 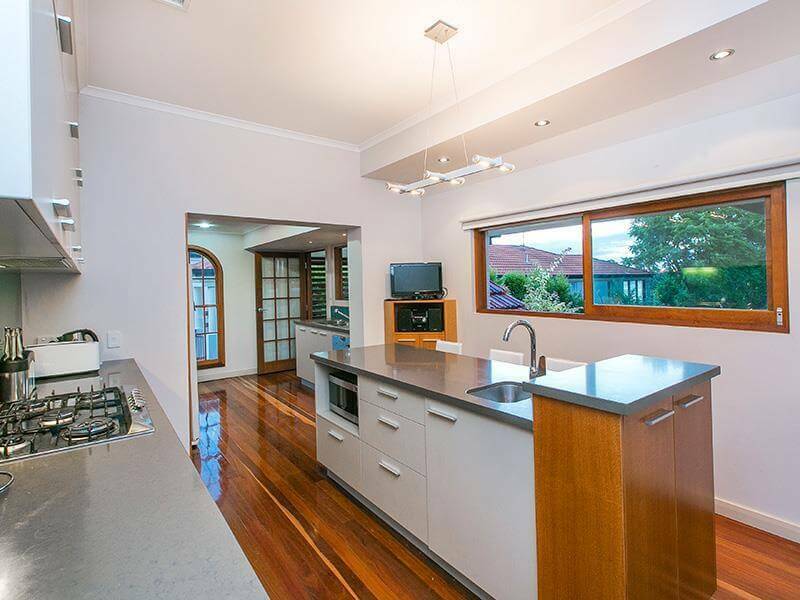 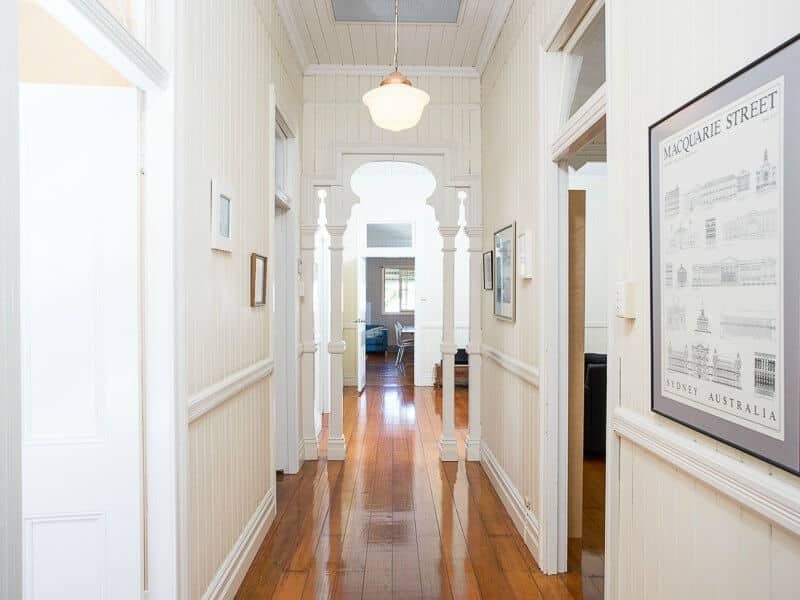 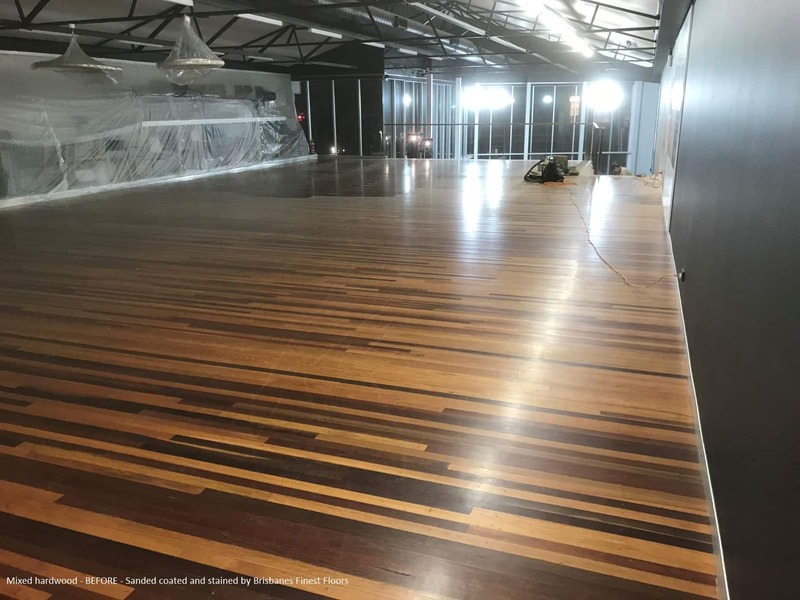 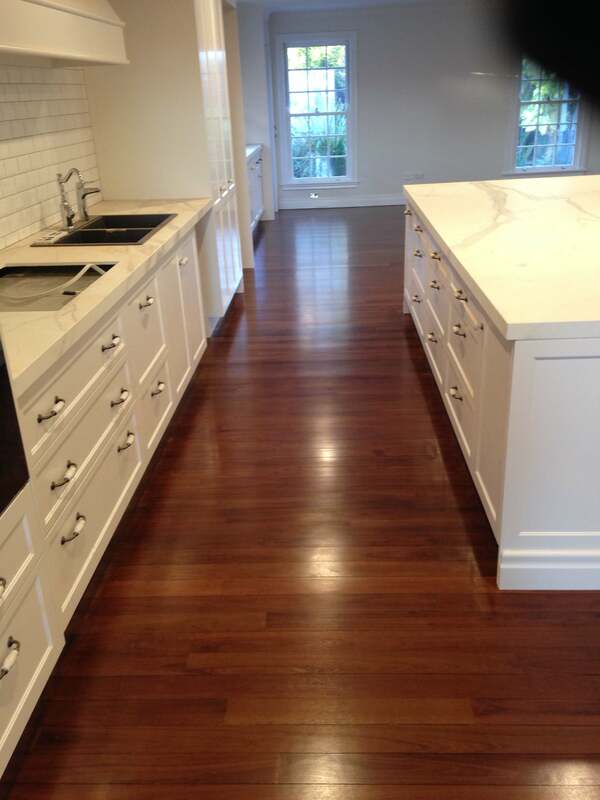 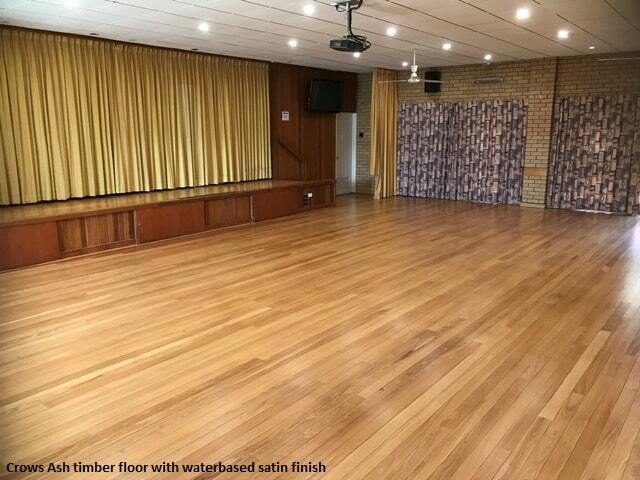 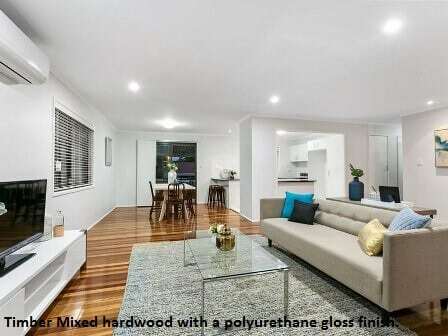 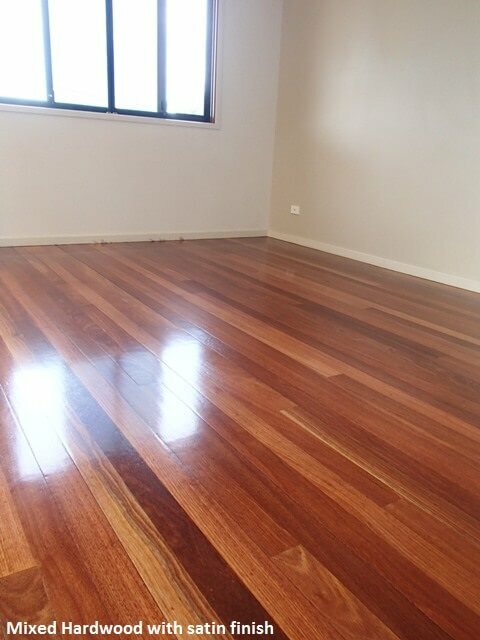 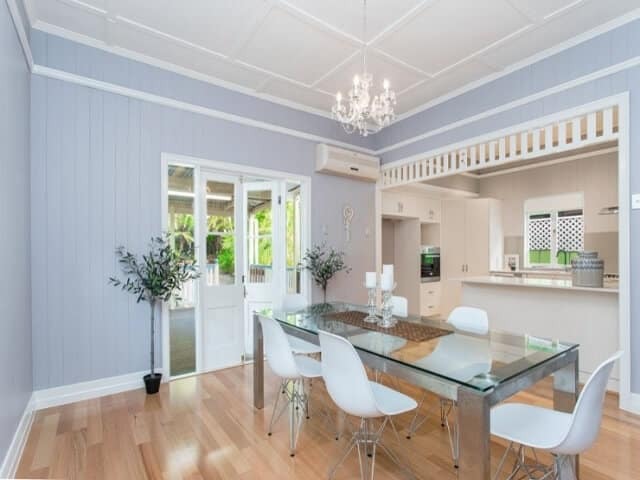 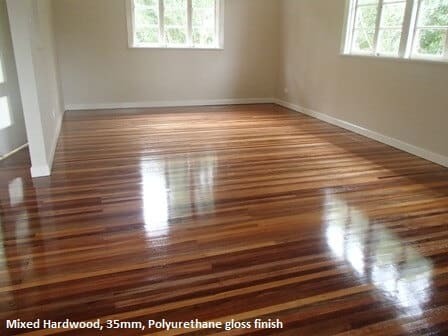 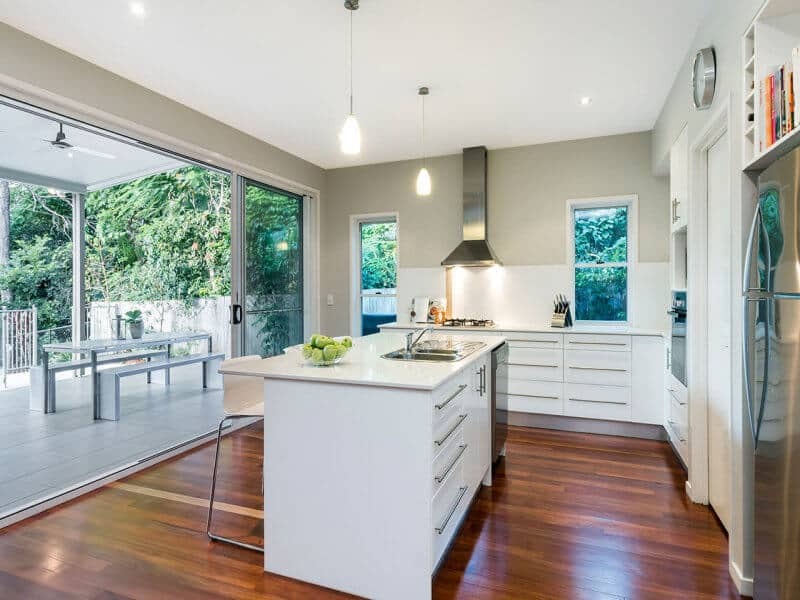 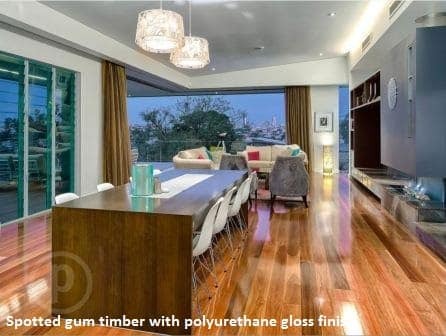 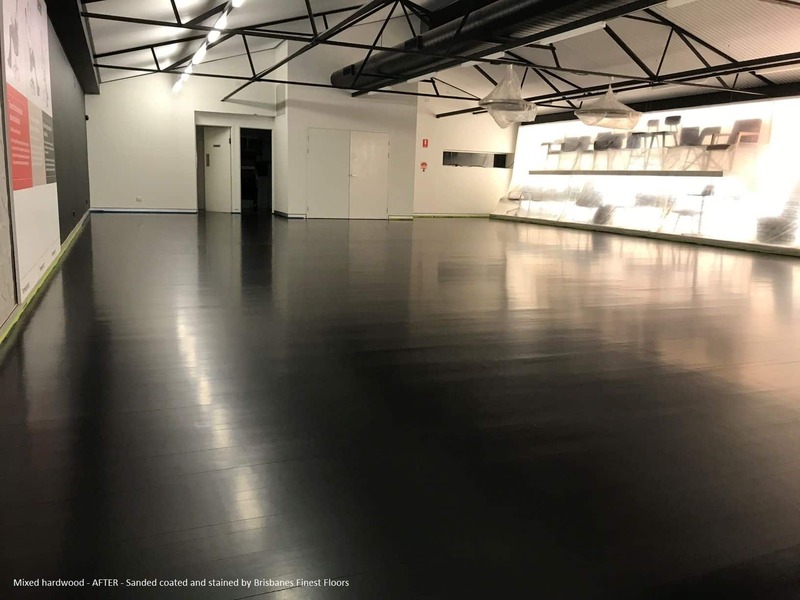 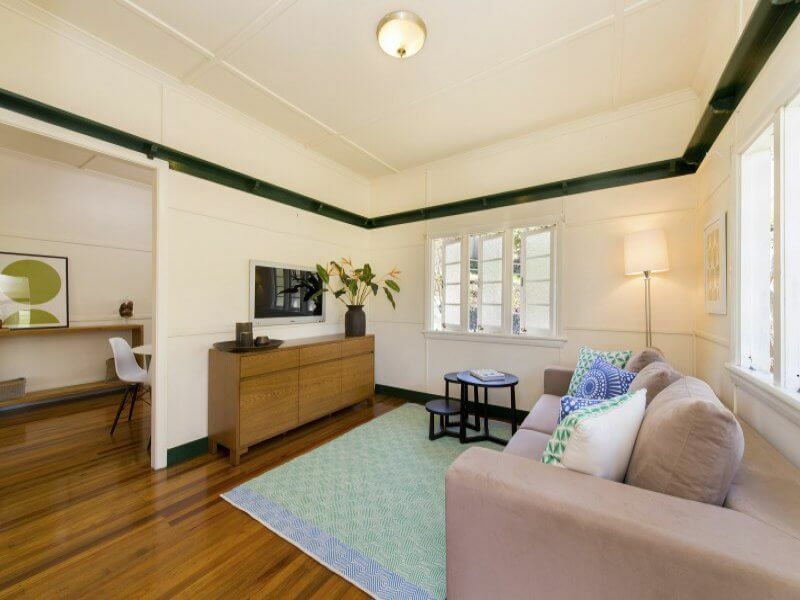 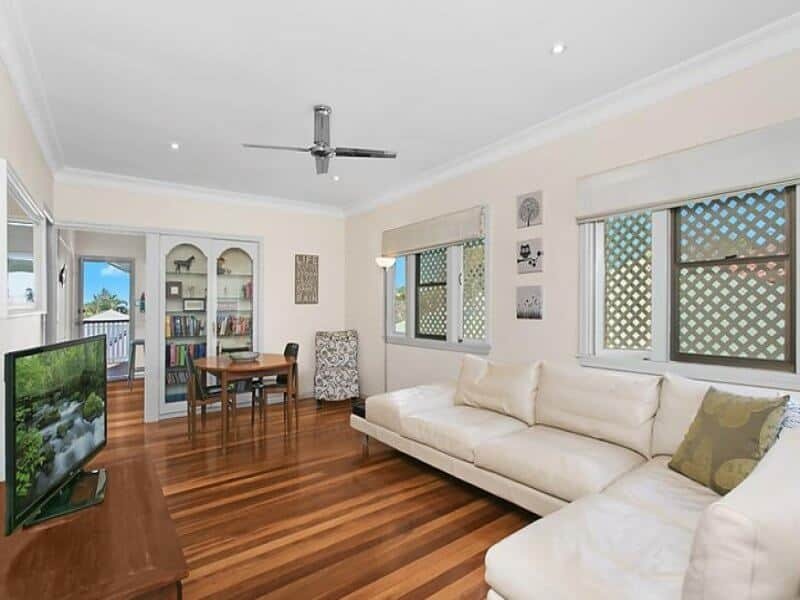 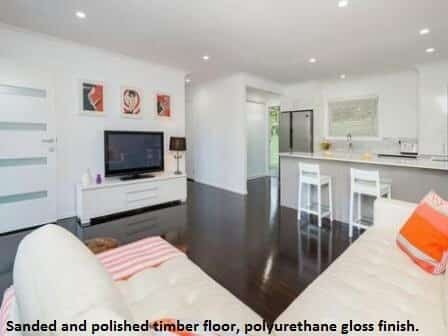 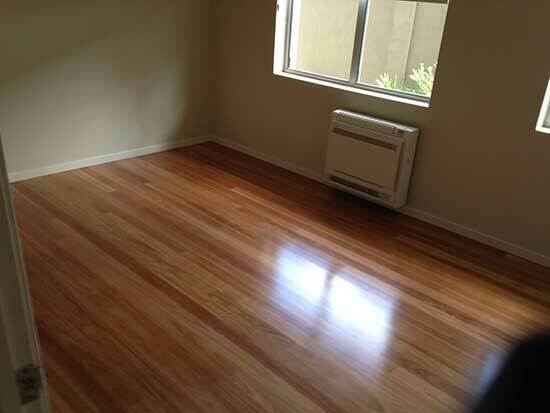 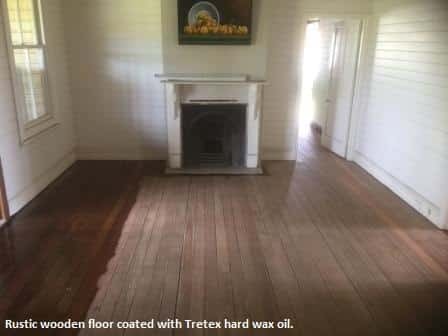 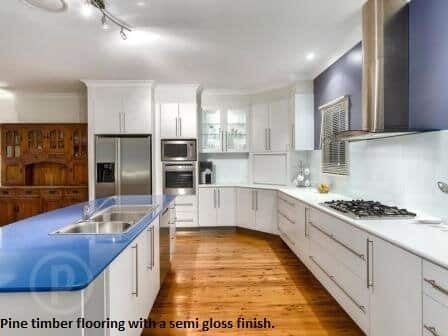 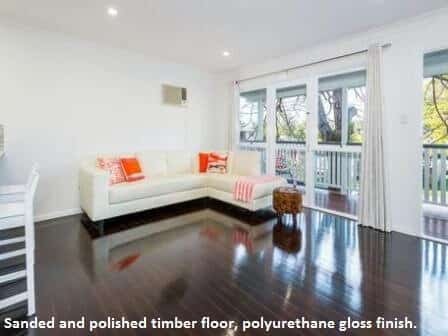 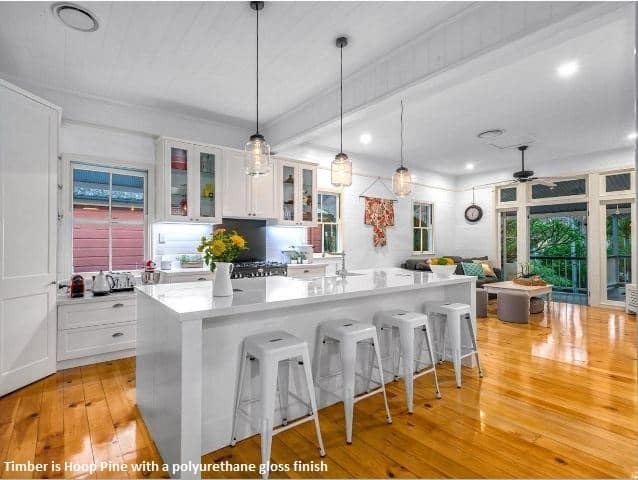 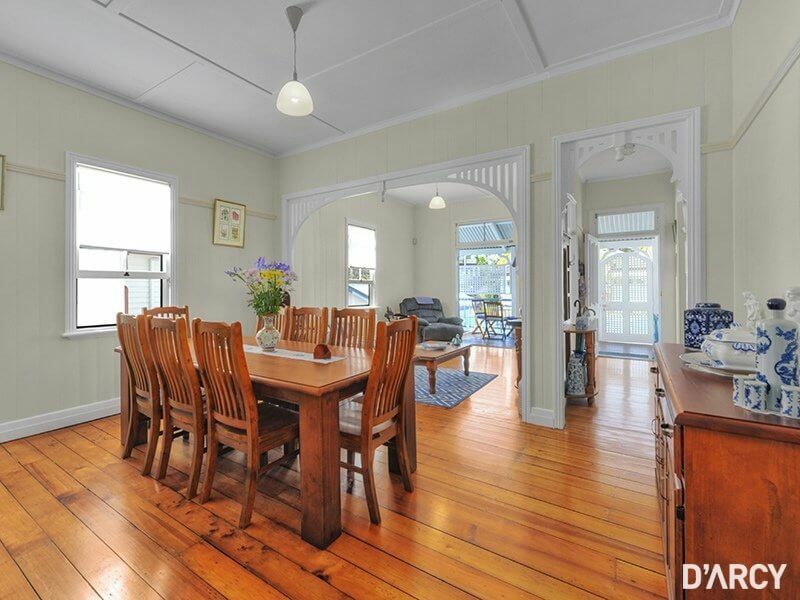 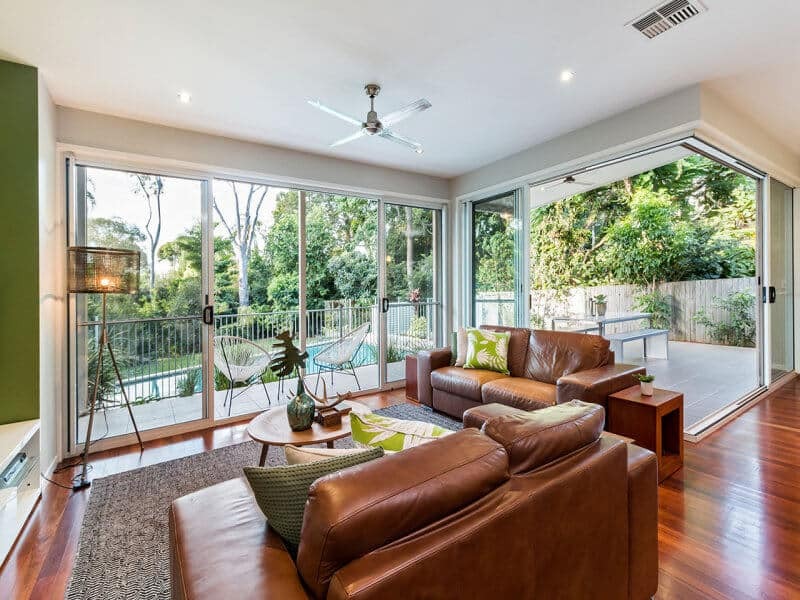 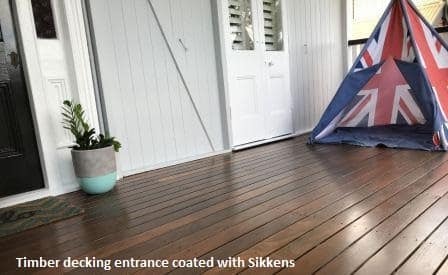 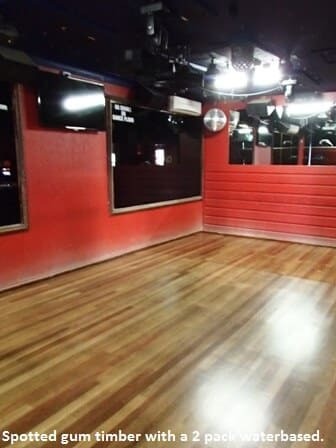 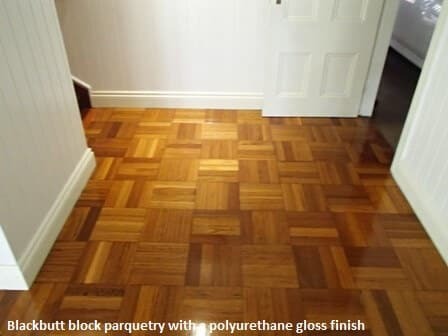 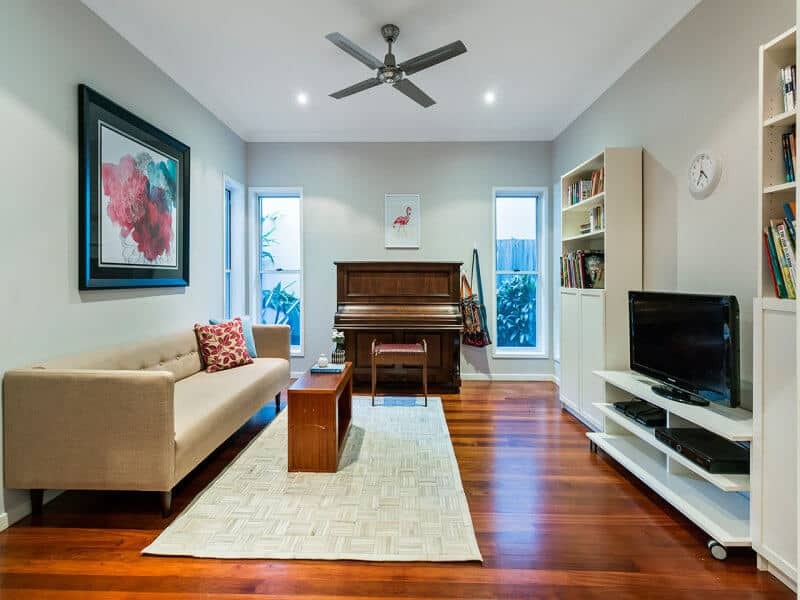 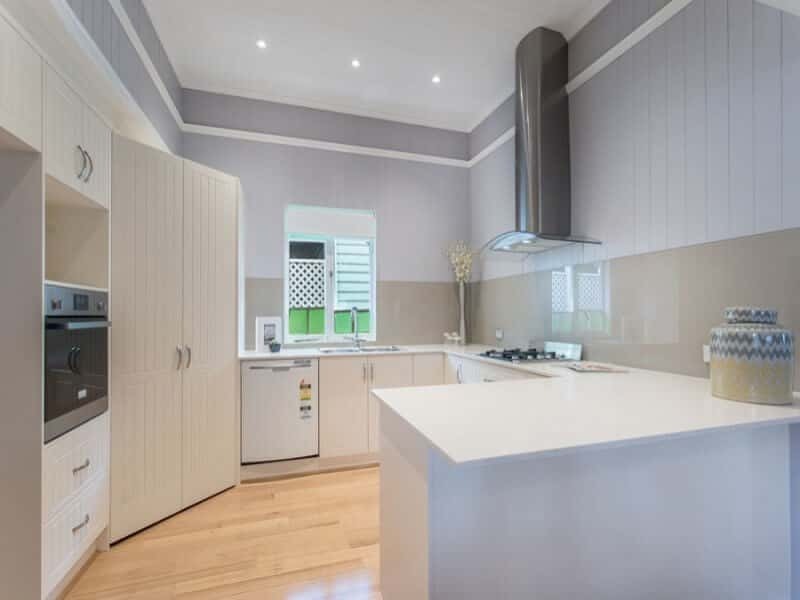 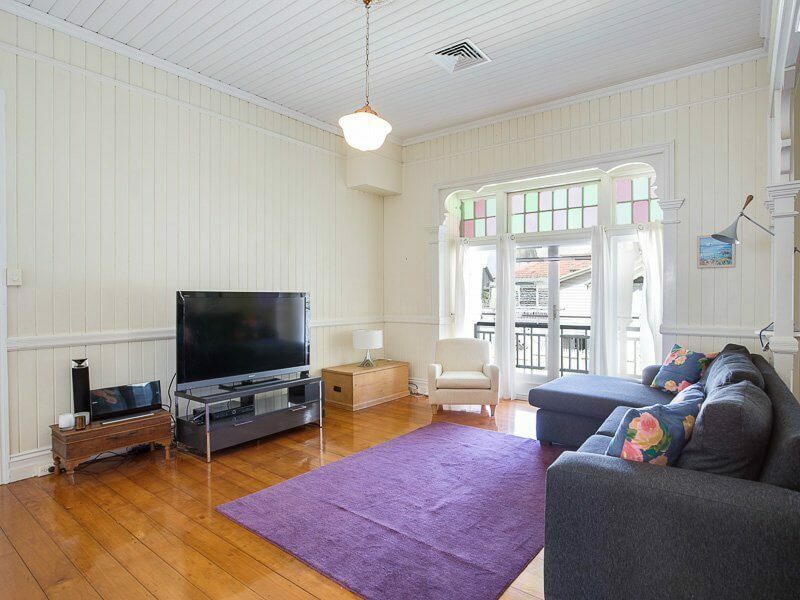 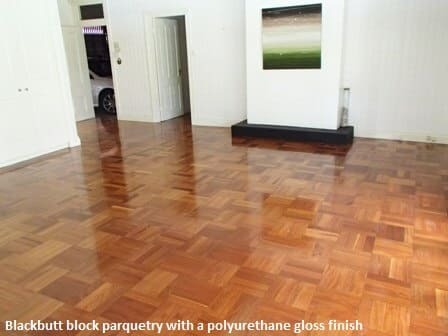 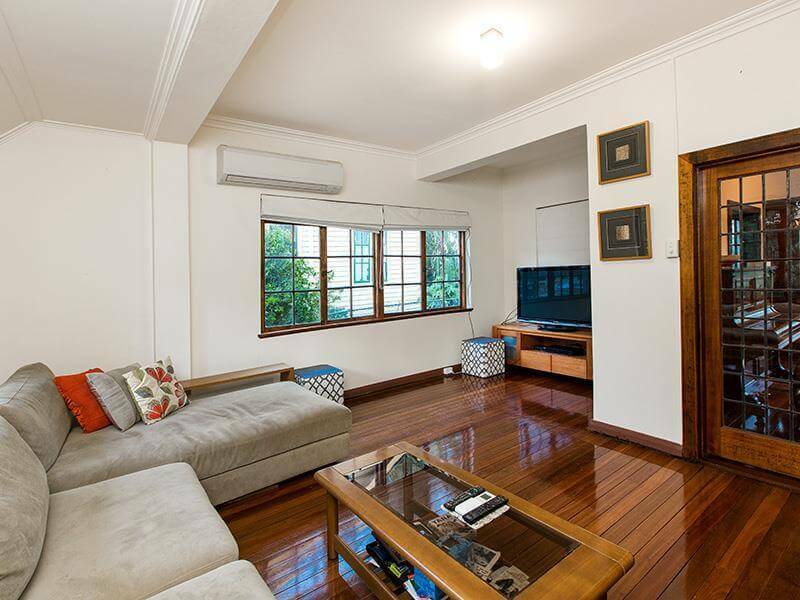 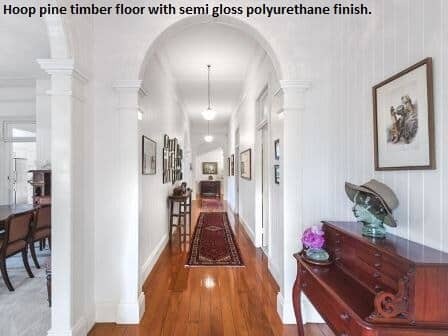 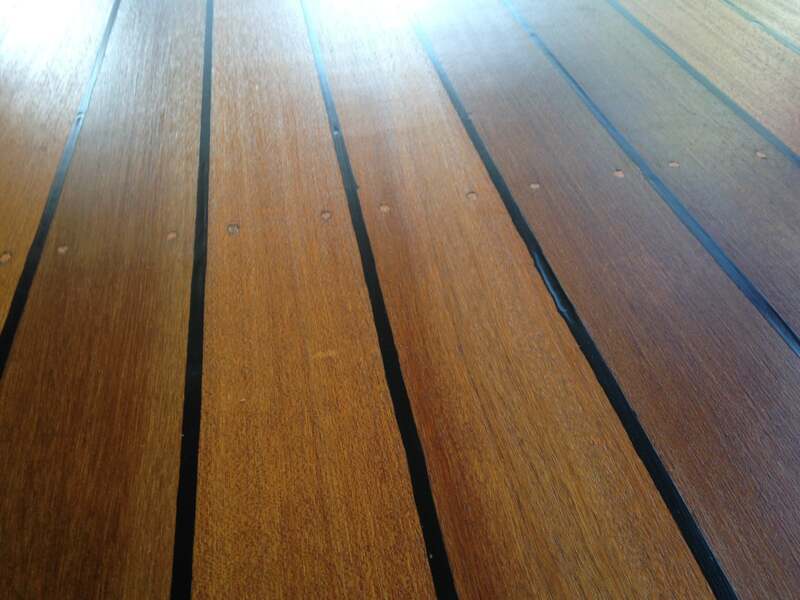 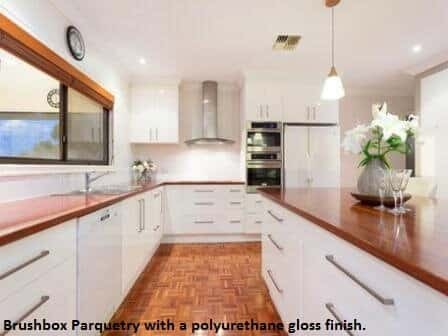 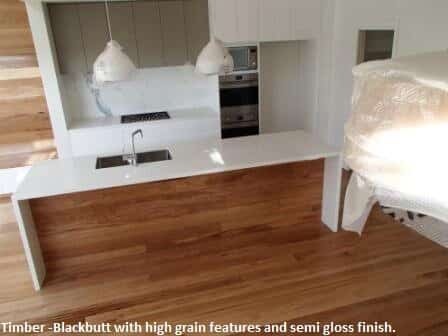 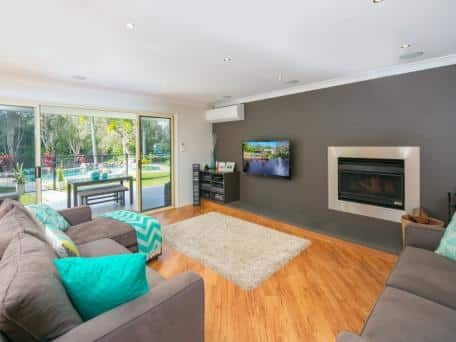 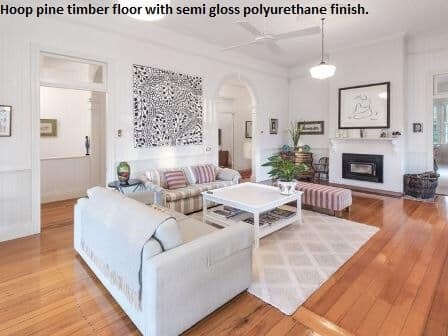 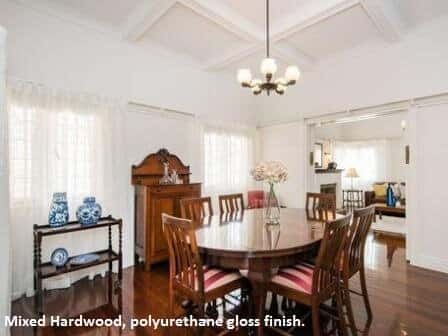 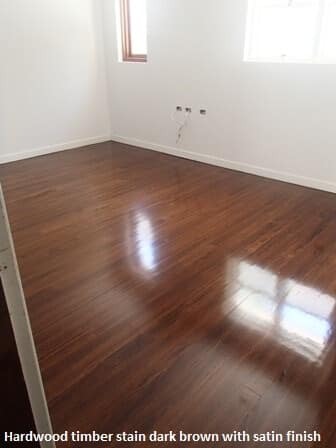 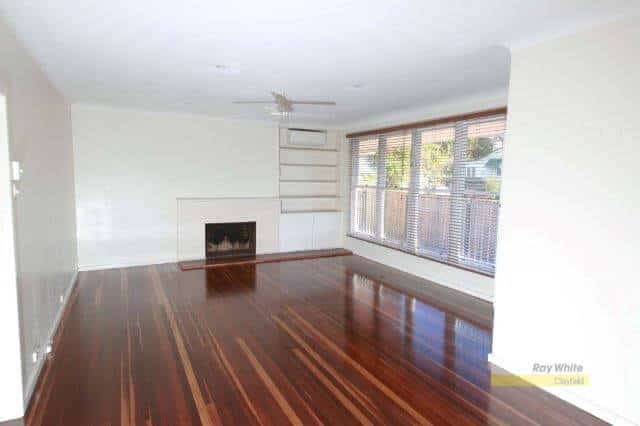 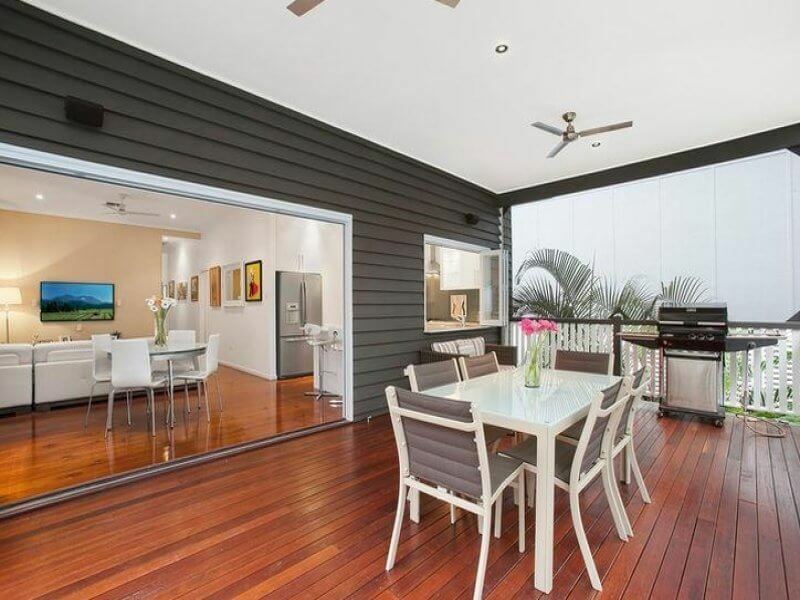 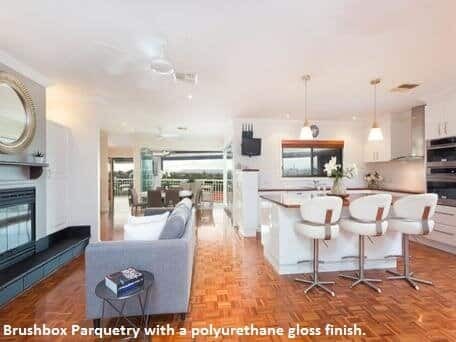 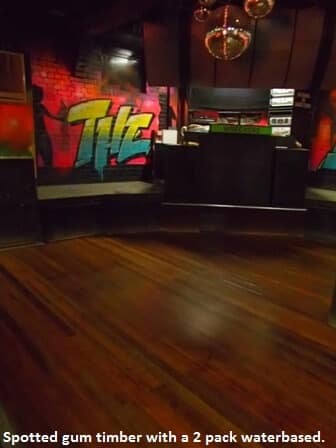 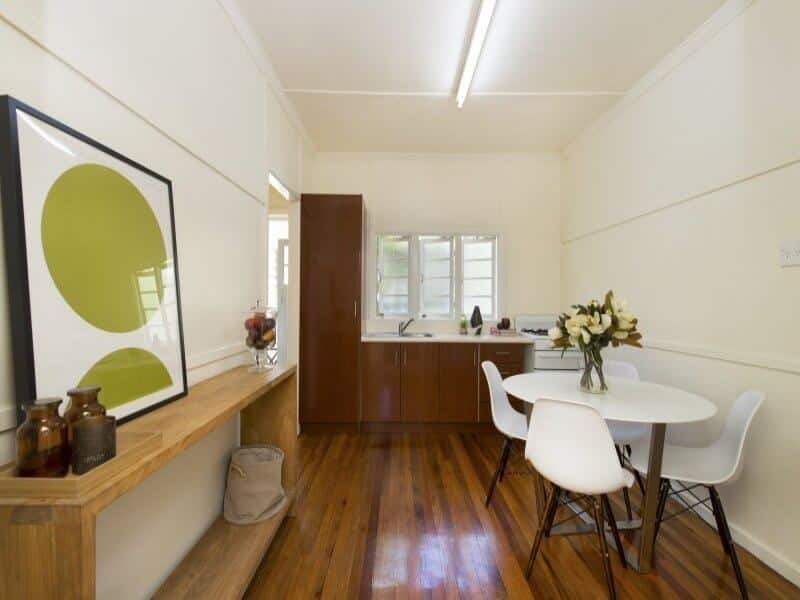 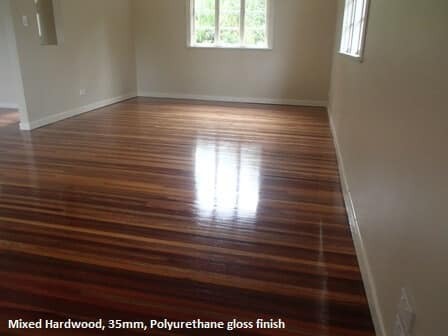 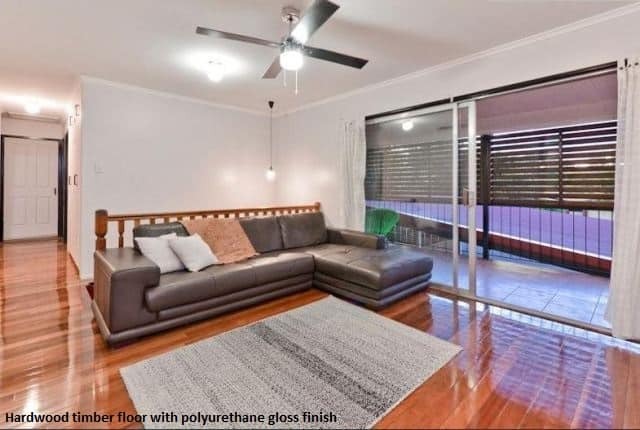 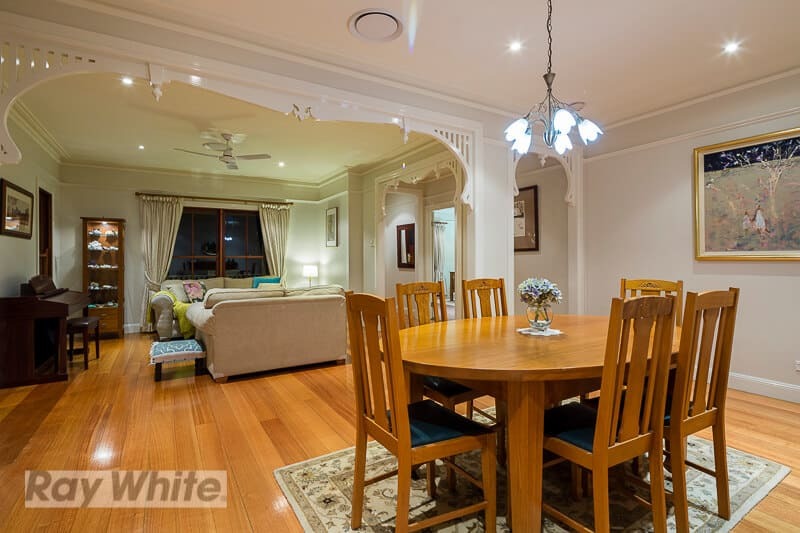 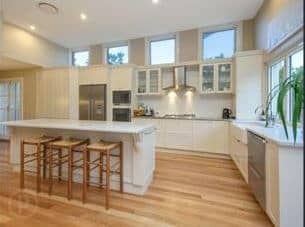 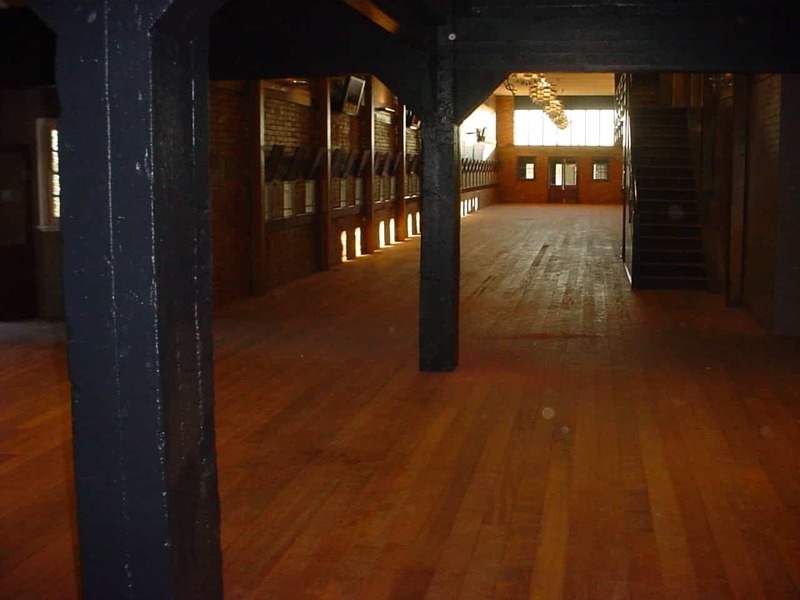 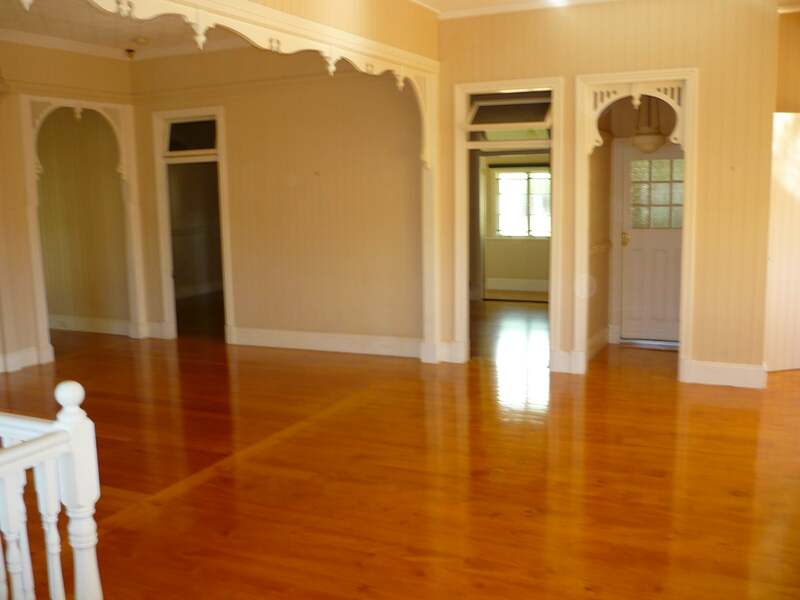 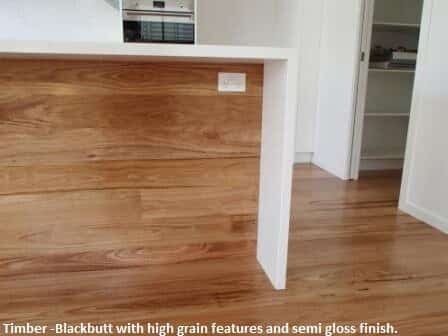 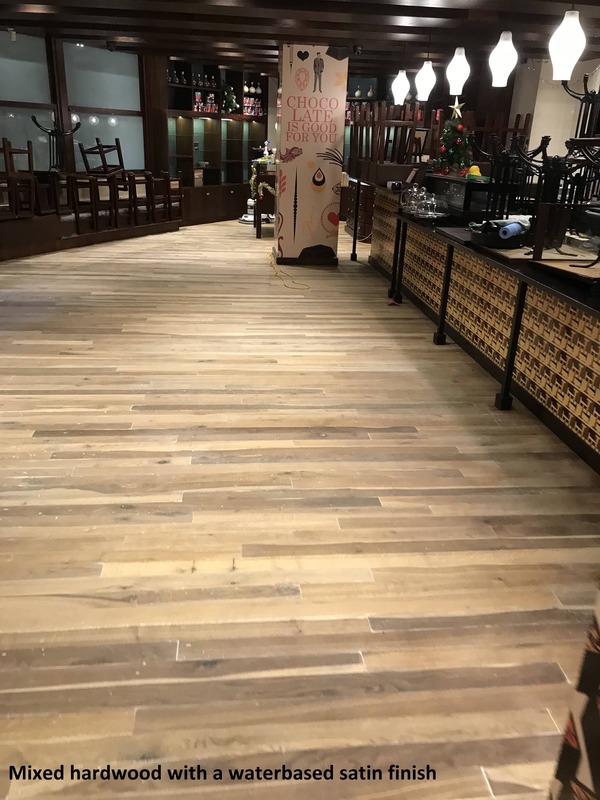 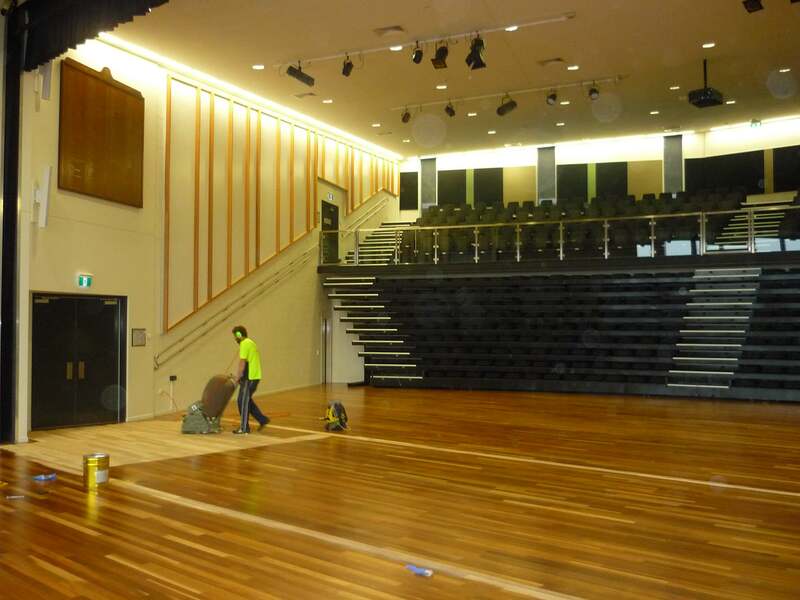 All of the flooring, sanding machinery and polishing products sourced are top quality and we believe that this is just the start of what makes us one of Brisbane’s most relied upon timber floor sanding and polishing businesses. 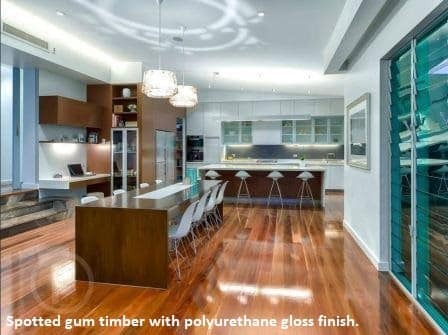 Feel free to browse our online gallery to get a taste of the range of work we are capable of producing. 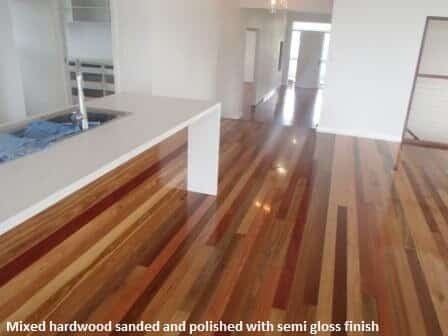 See for yourself just how much effort we put into achieving the perfect result every time for each individual business and residential job we complete. 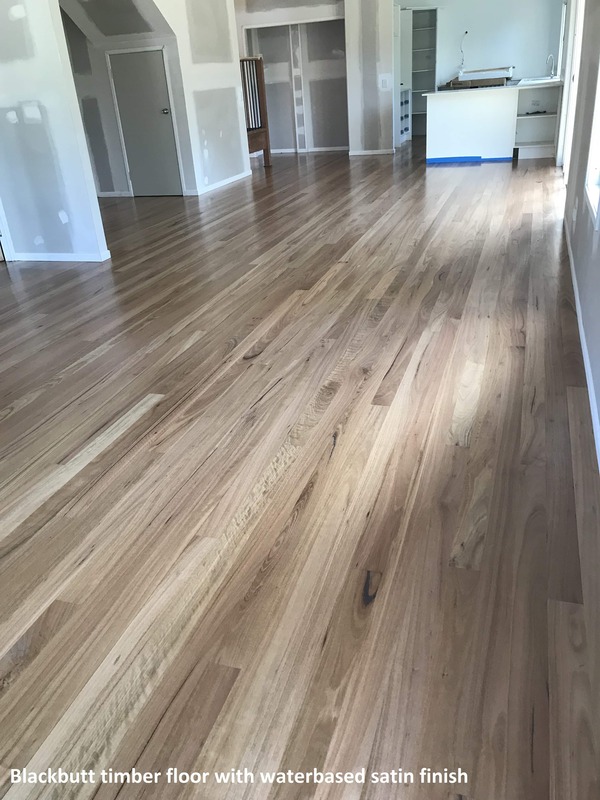 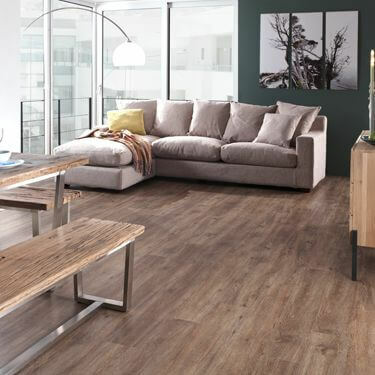 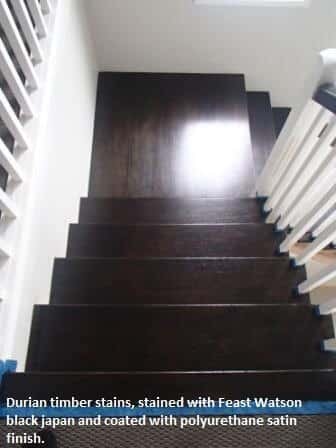 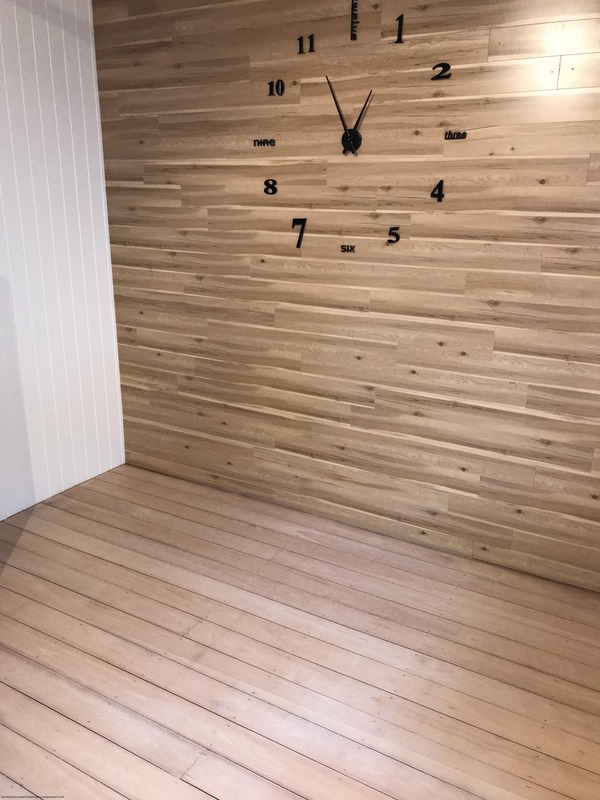 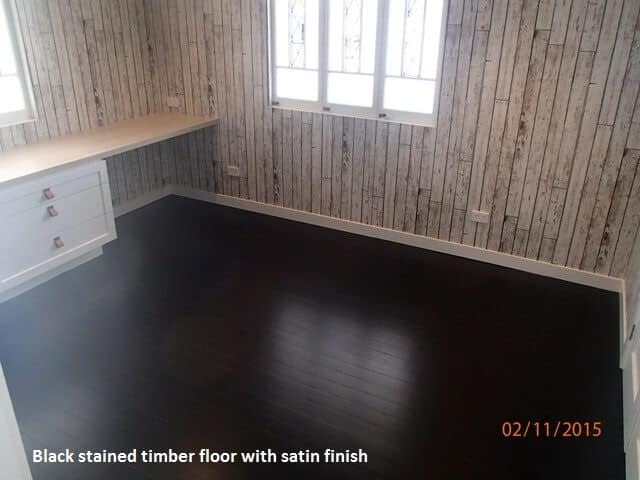 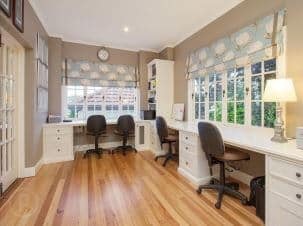 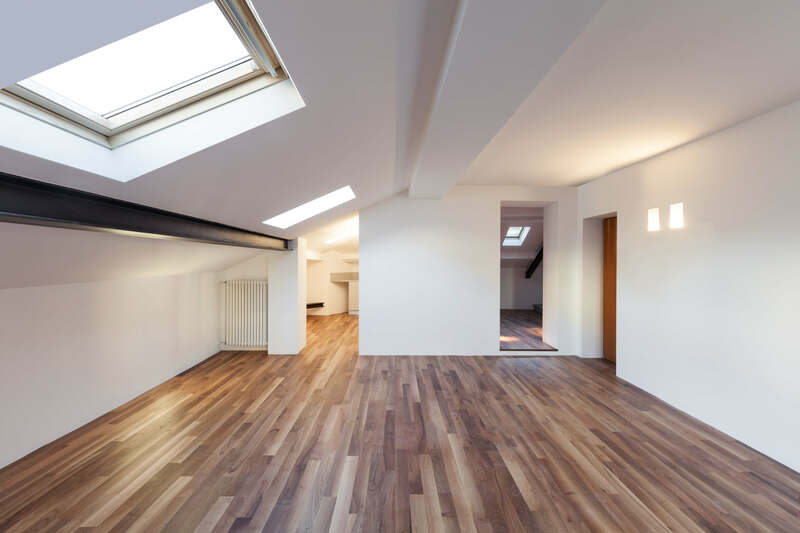 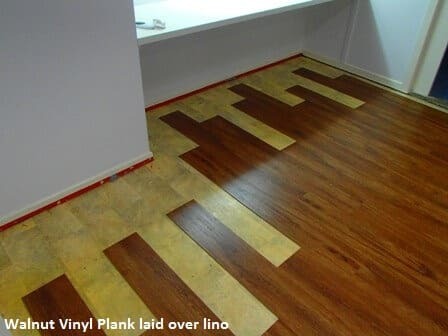 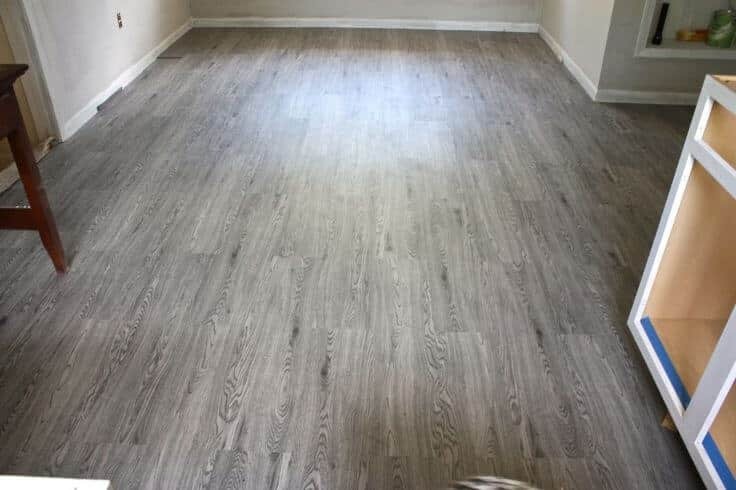 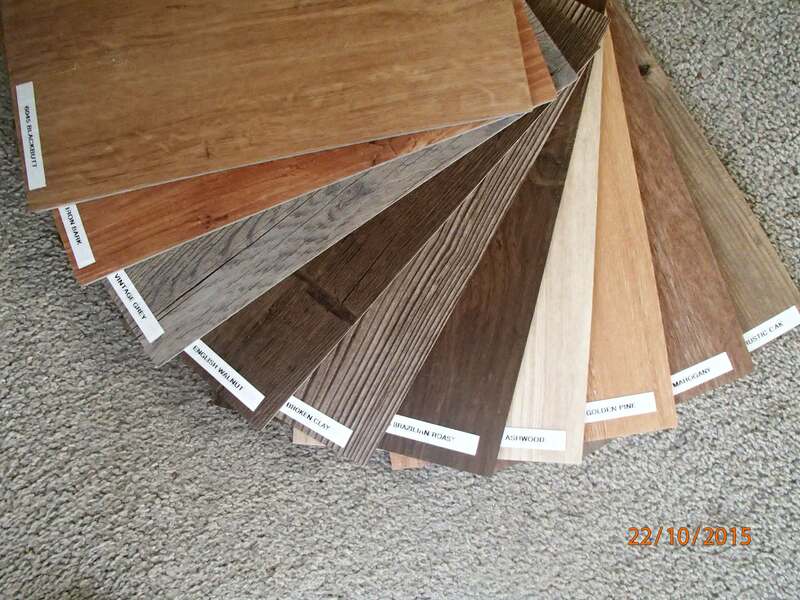 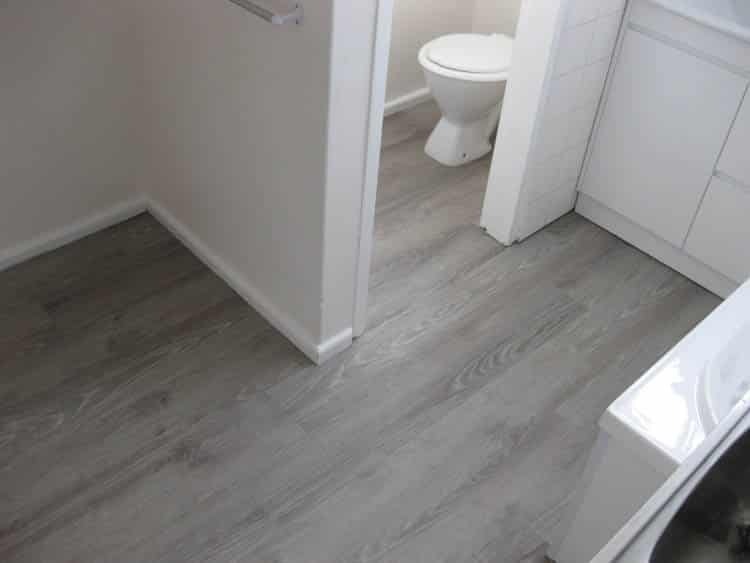 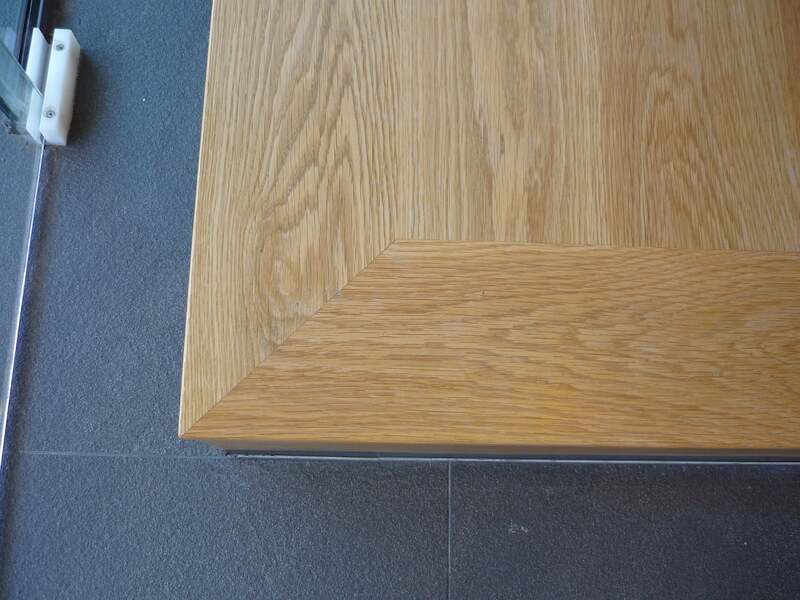 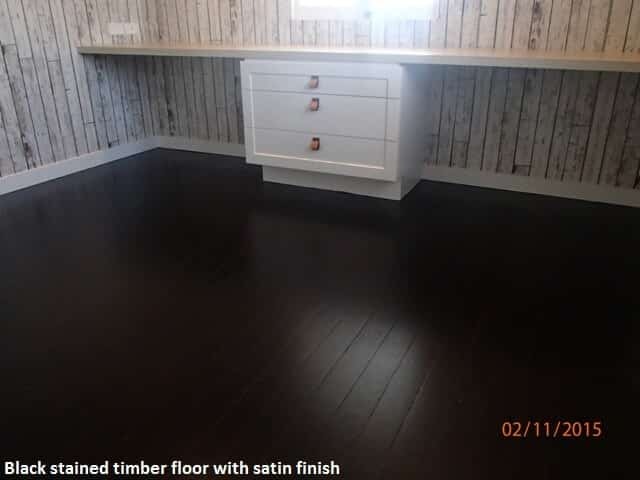 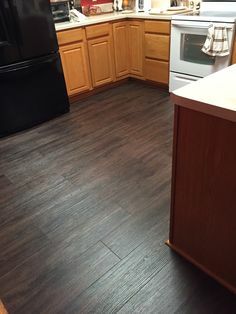 If you are looking to install new flooring into your home or office floor seeking a solution to bring new life back into your existing timber floorboards, bamboo floors, parquetry, or timber deck, there’s only one thing you need to do. 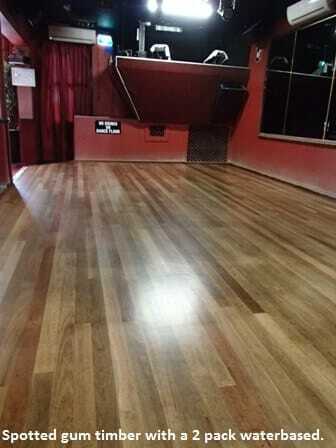 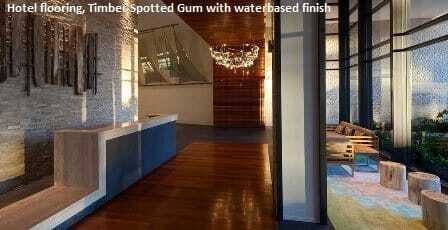 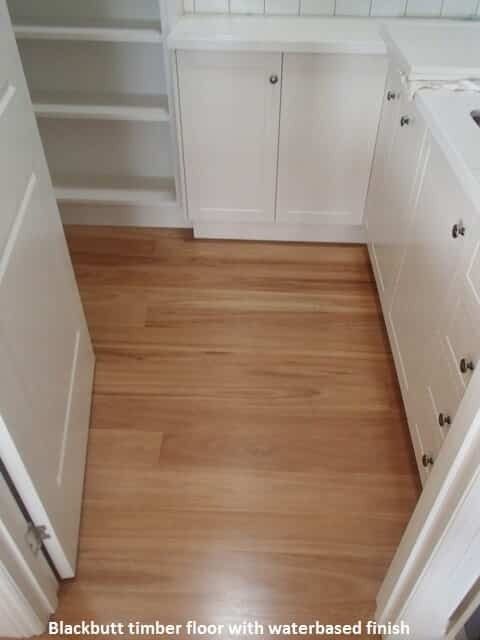 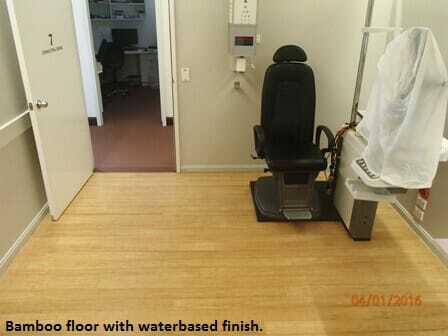 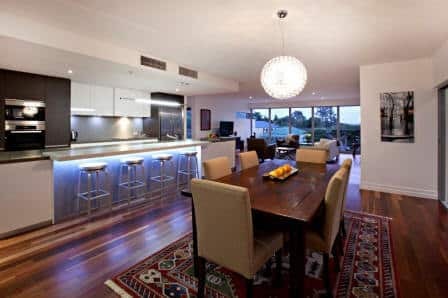 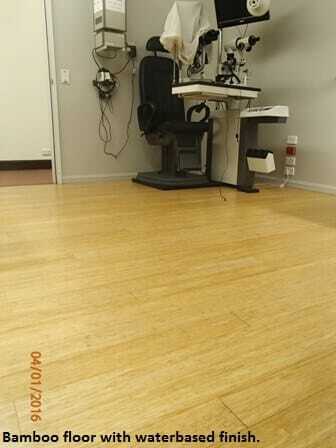 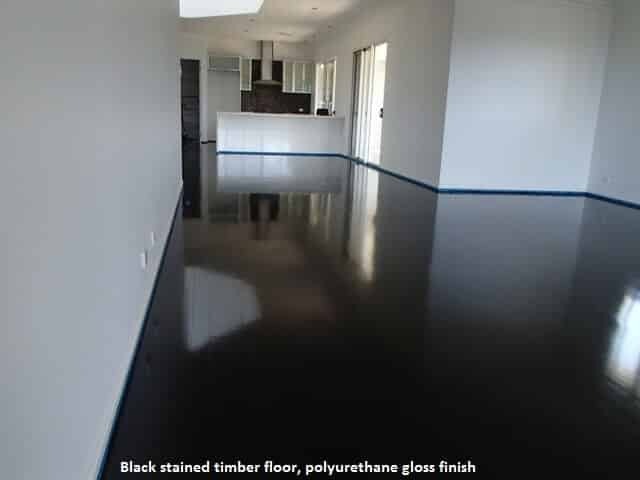 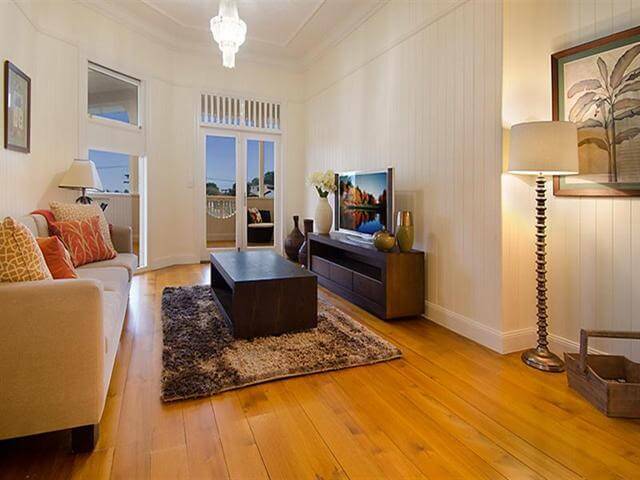 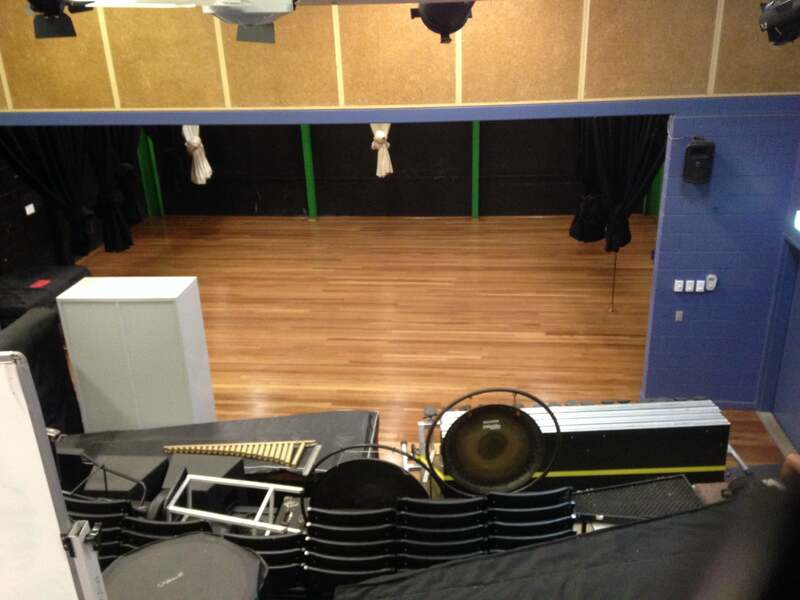 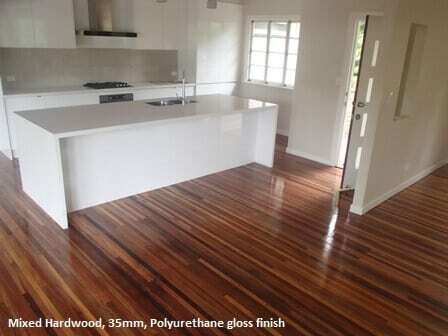 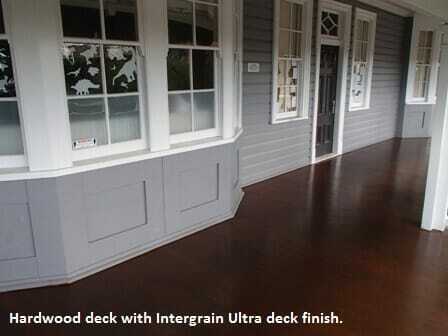 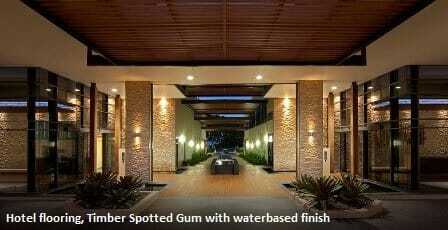 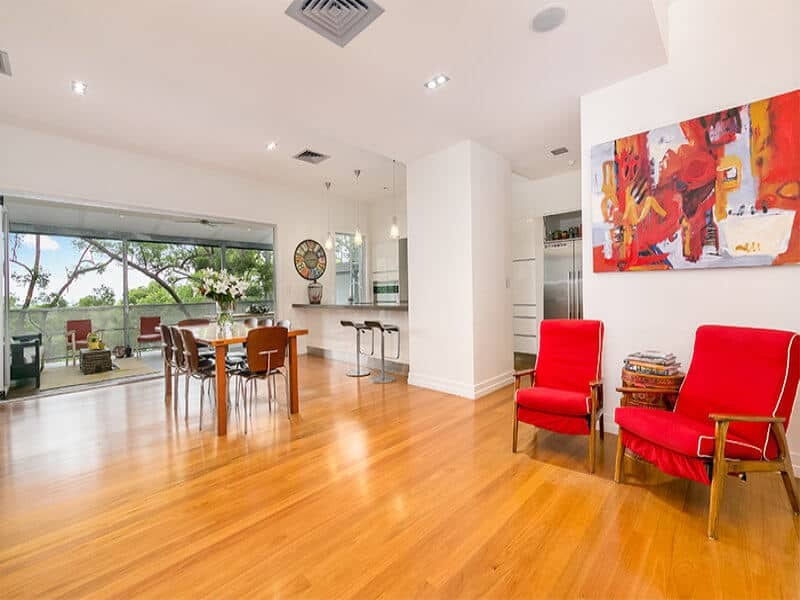 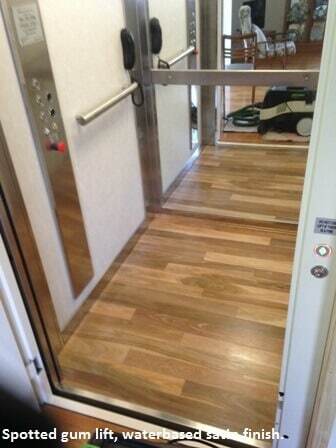 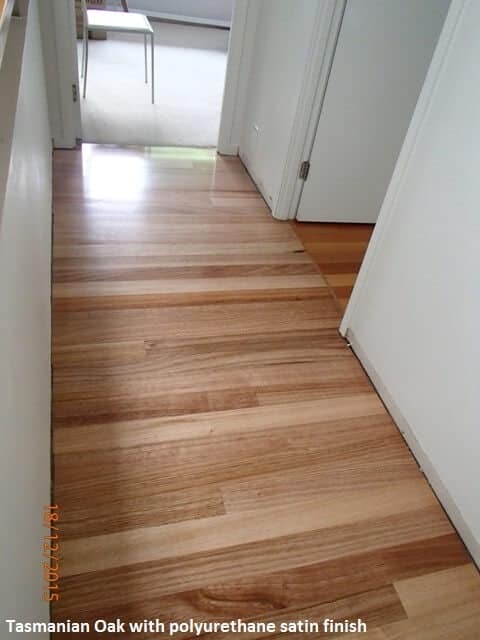 Contact Brisbanes Finest Floors today. 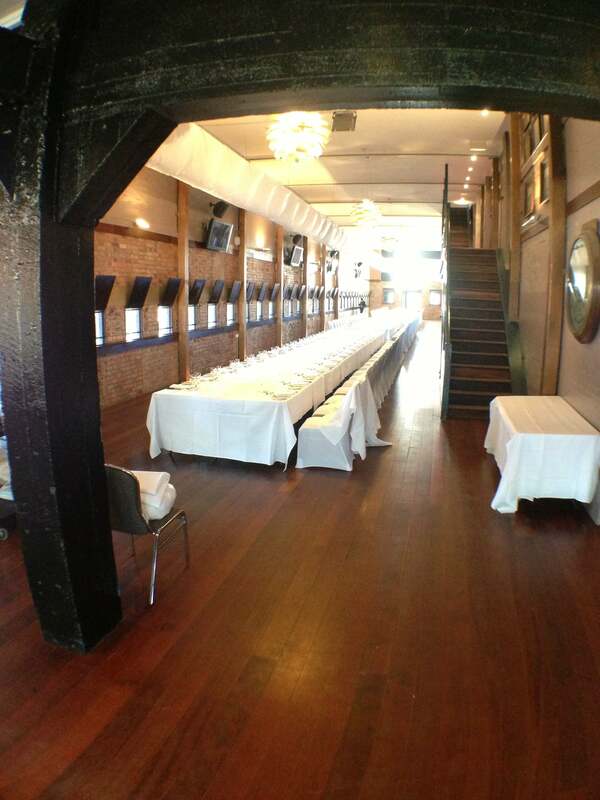 All of your questions will be answered professionally and promptly. 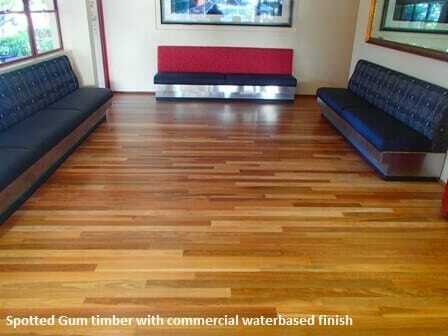 Want a free, no obligation quote? 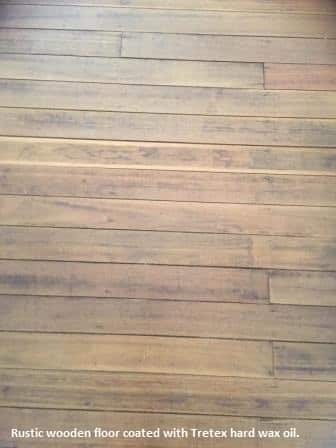 All you need to do is ask. 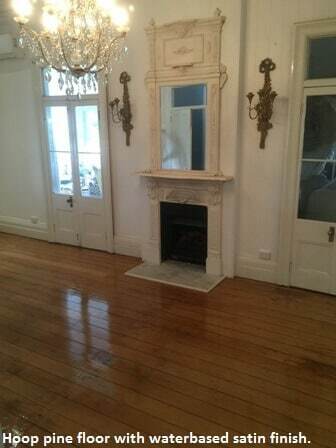 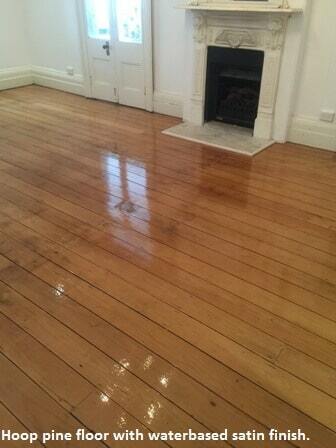 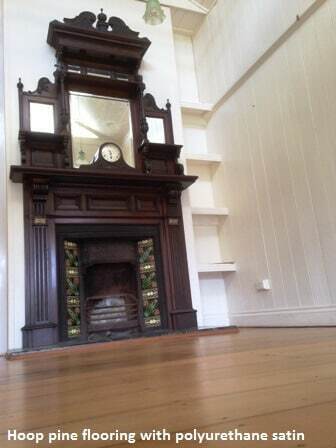 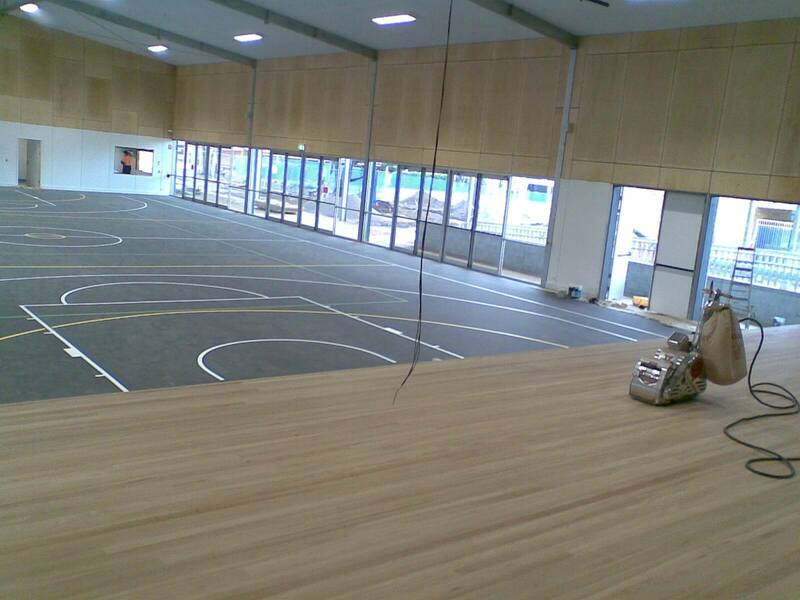 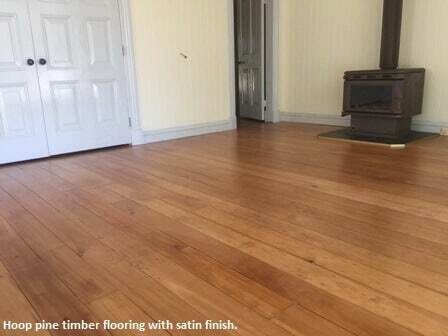 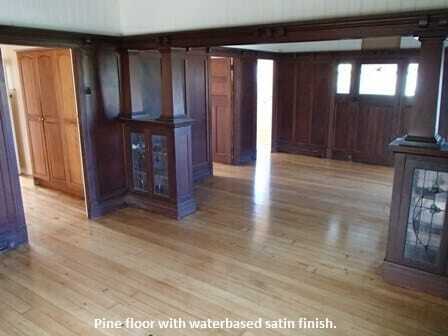 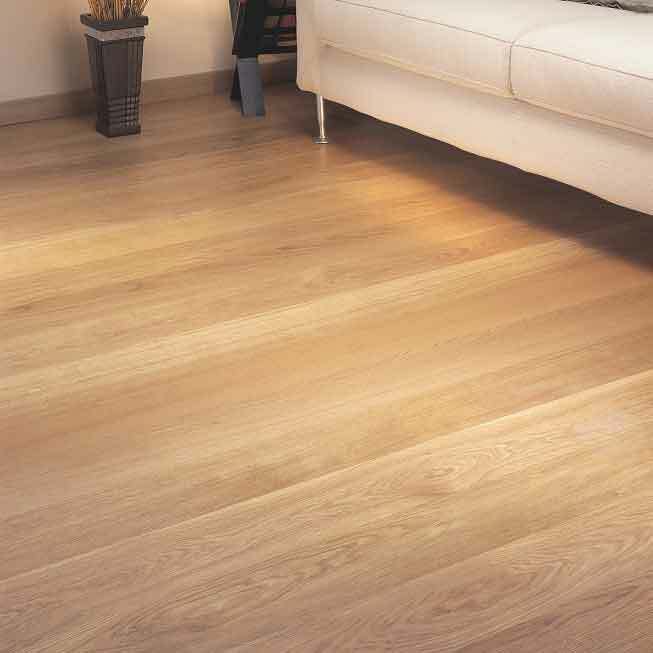 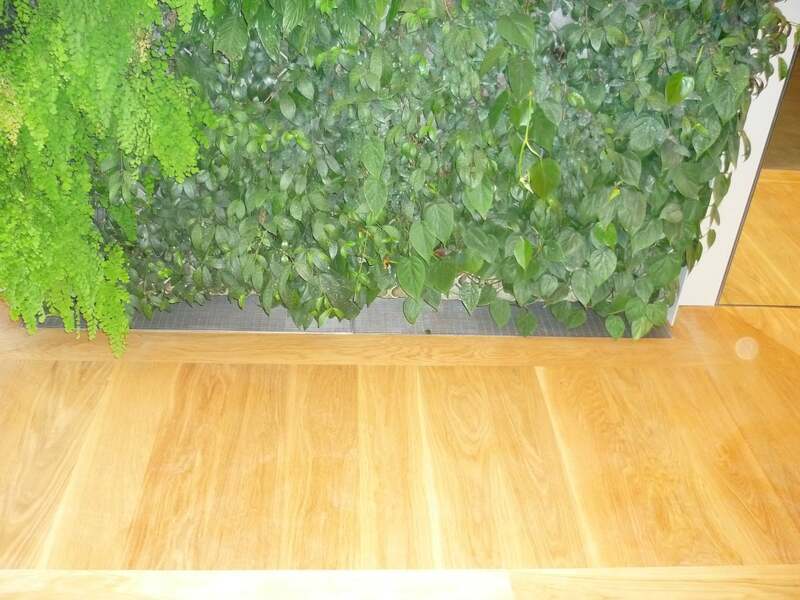 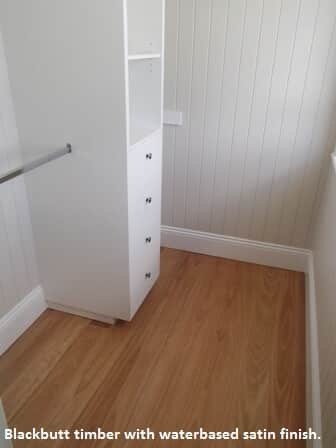 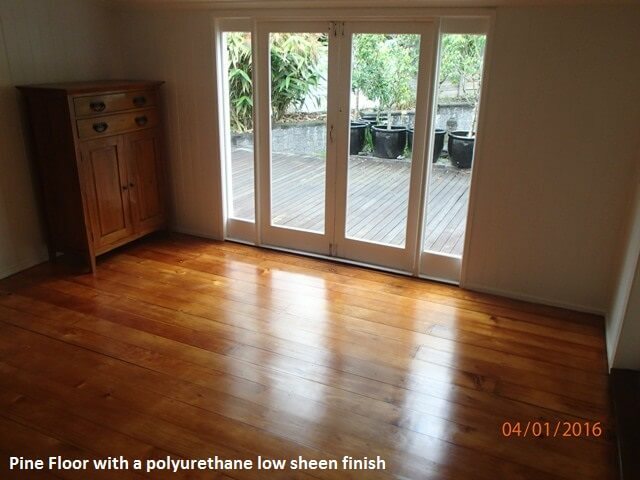 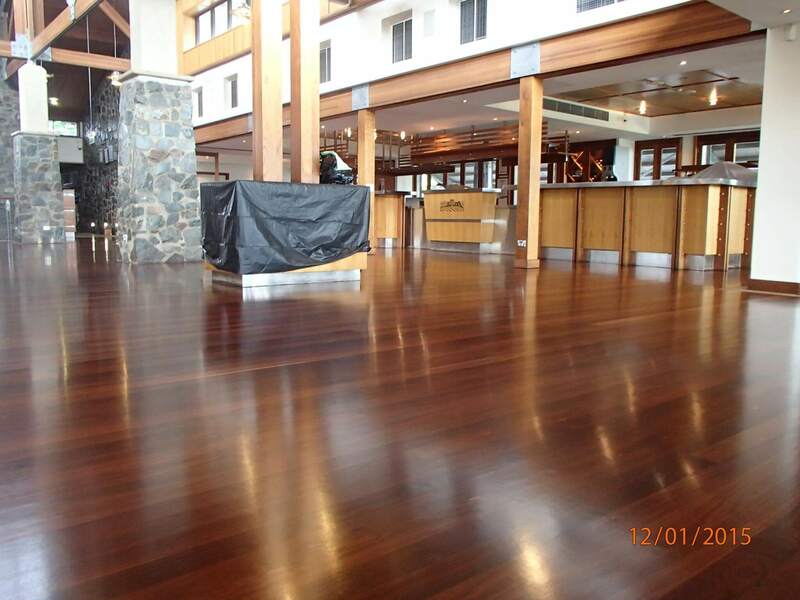 All floor sanding and polishing work is priced by the square metre so accurate prices are always quoted. 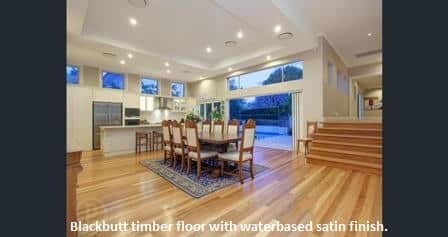 Provide us with your dream look, photos of designs you love and your floor plan and we can prepare an accurate quote with transparent pricing for you to peruse at your leisure. 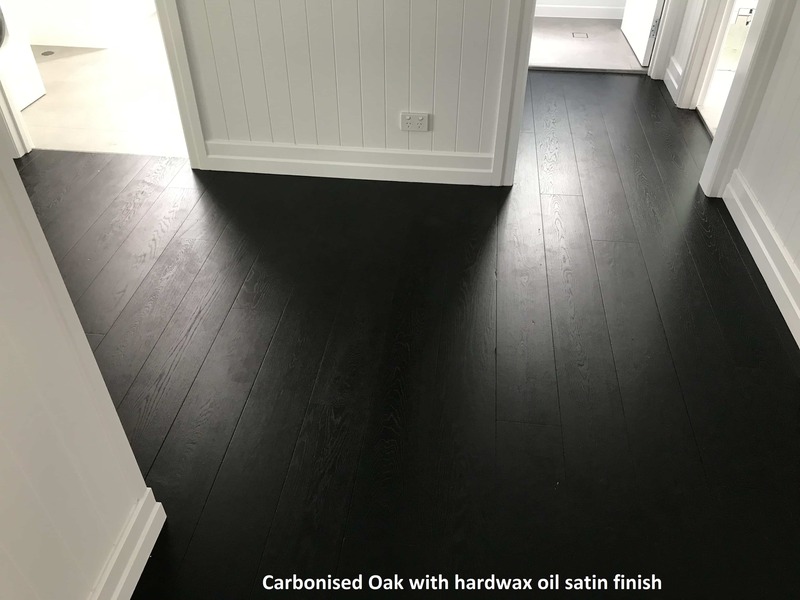 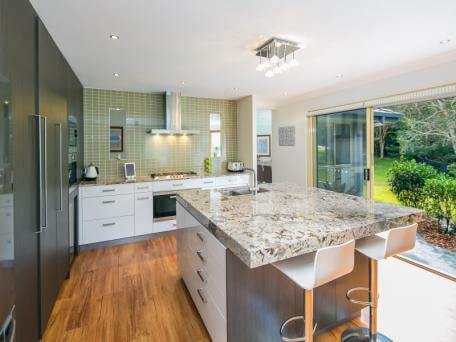 We understand that making the right decision can take time so we will happily offer you plenty of options so that when you are ready to transform your home or business, the result will be even better than you imagined. 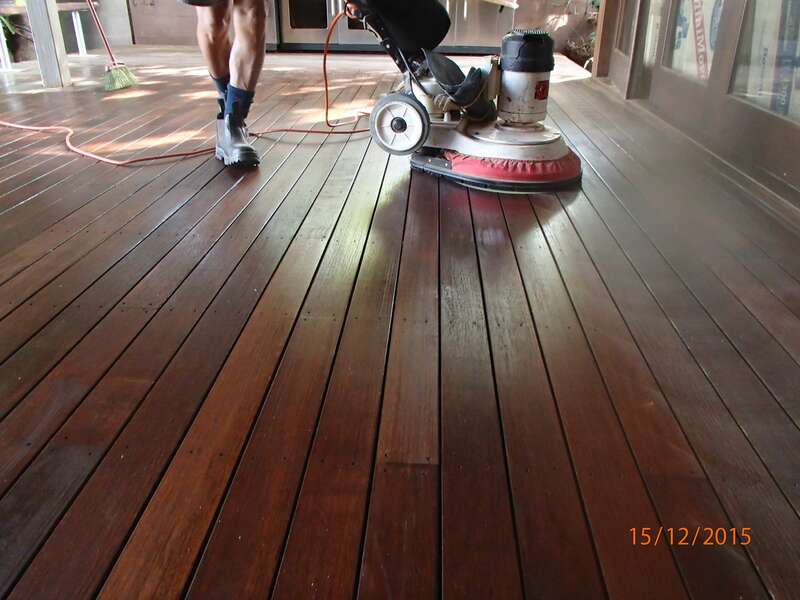 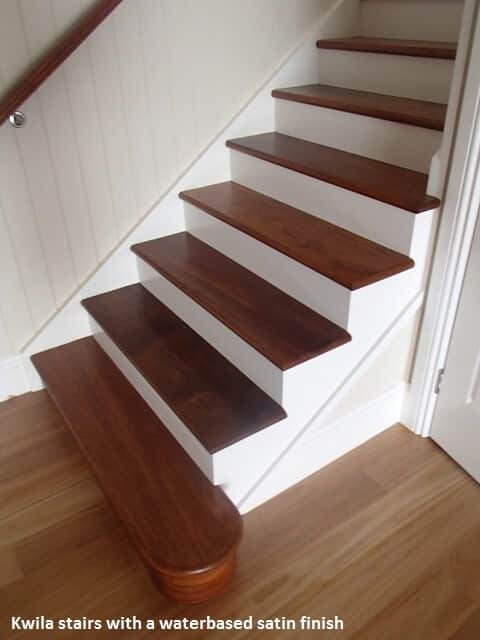 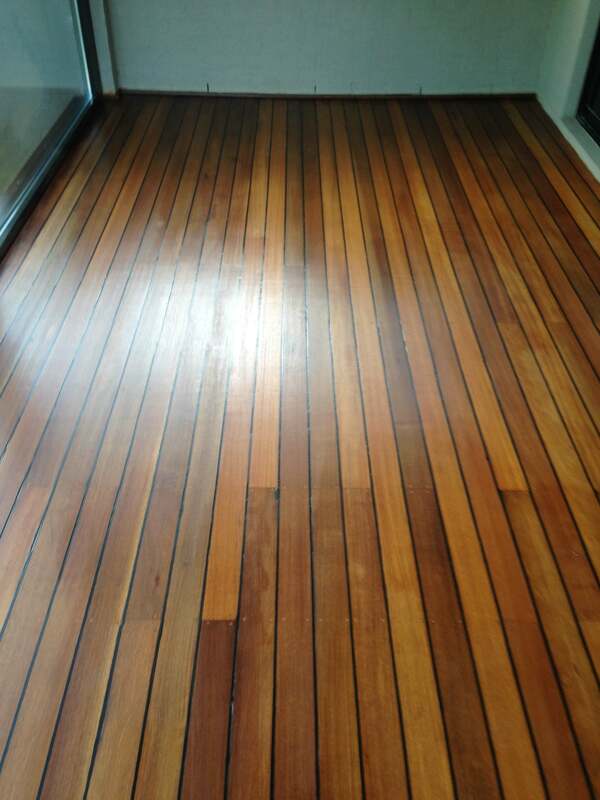 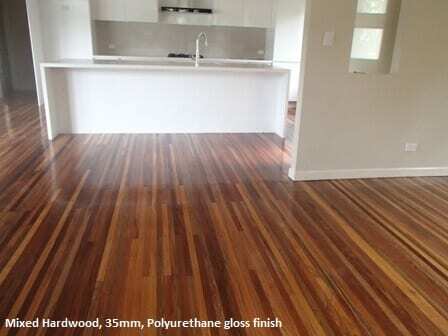 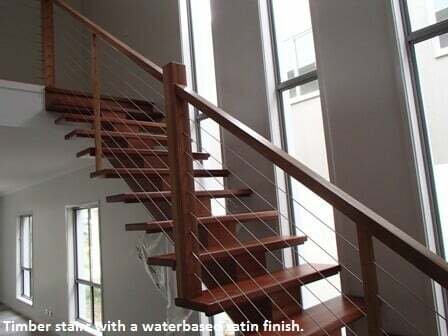 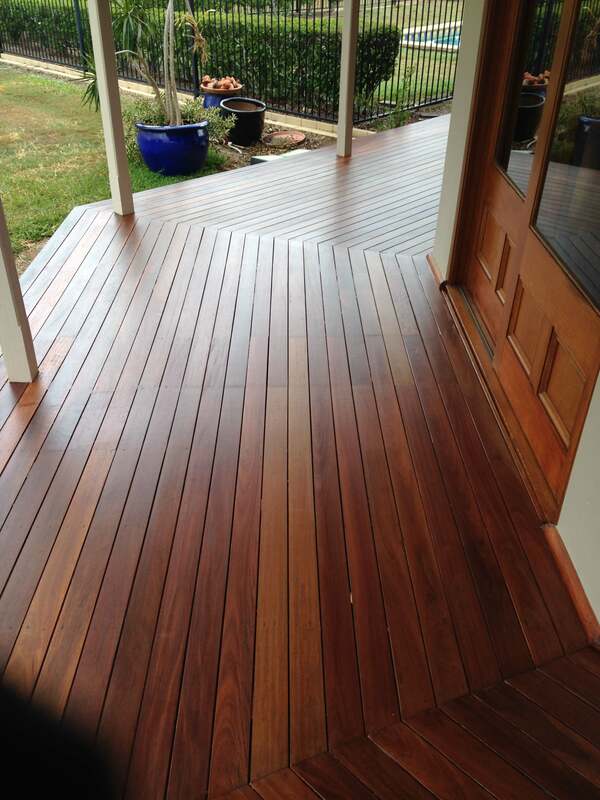 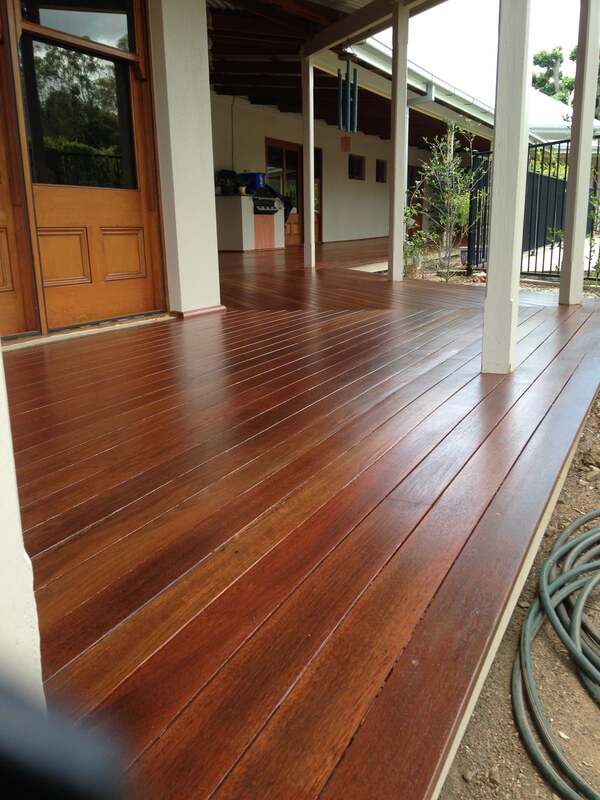 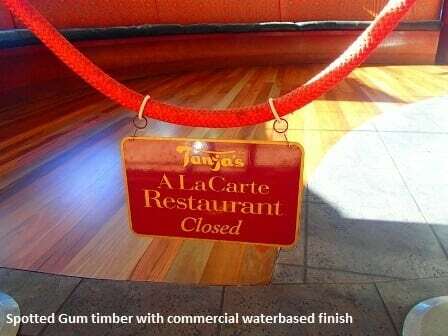 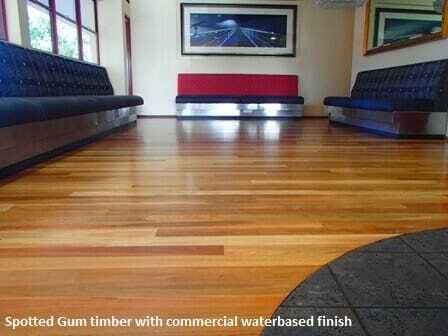 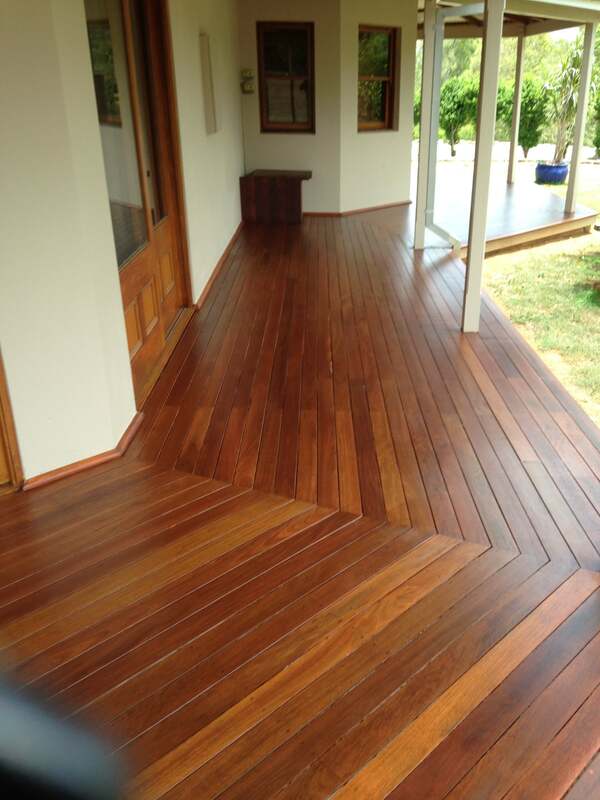 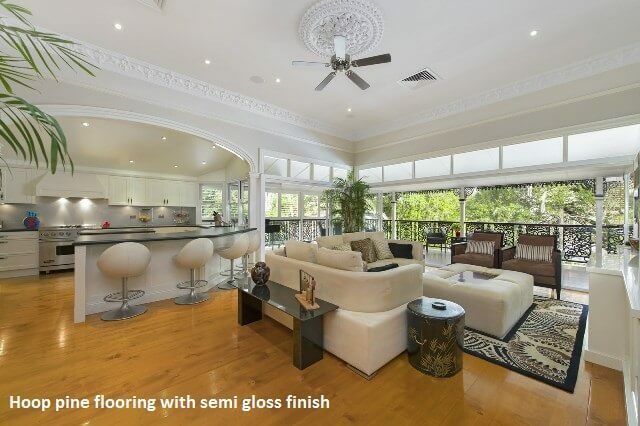 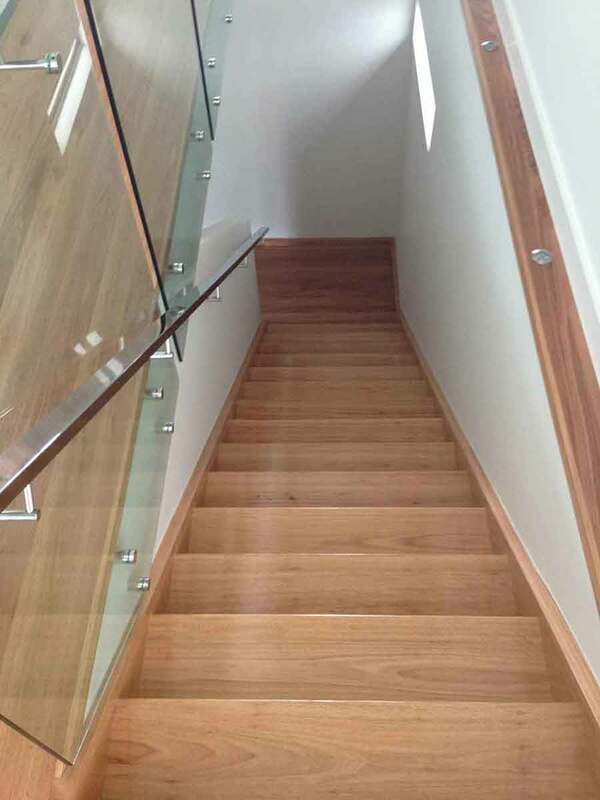 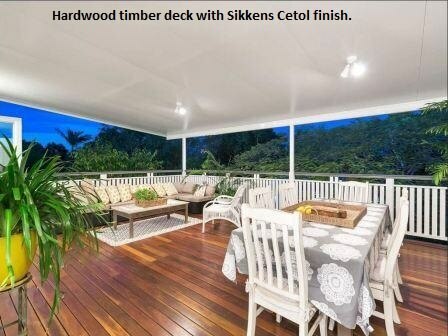 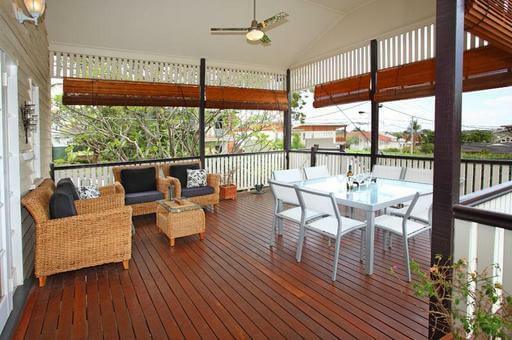 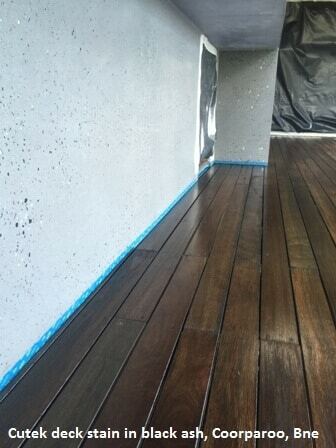 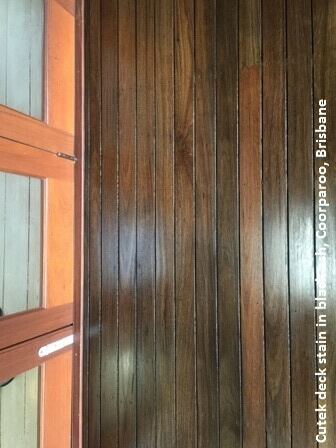 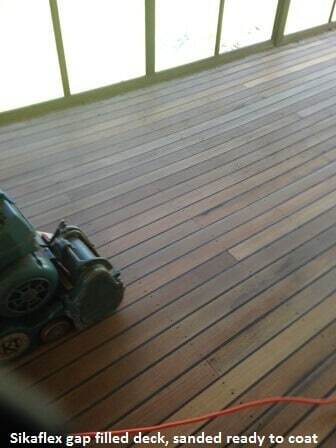 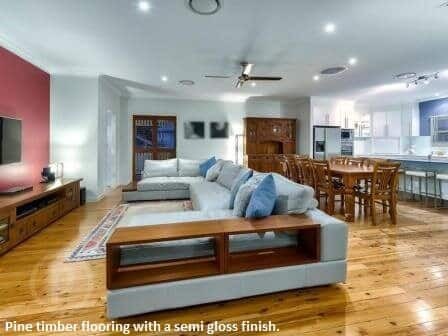 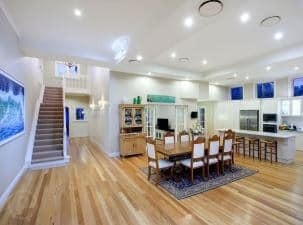 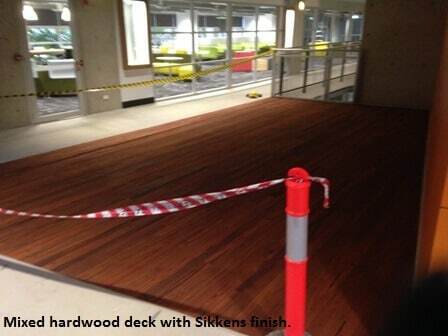 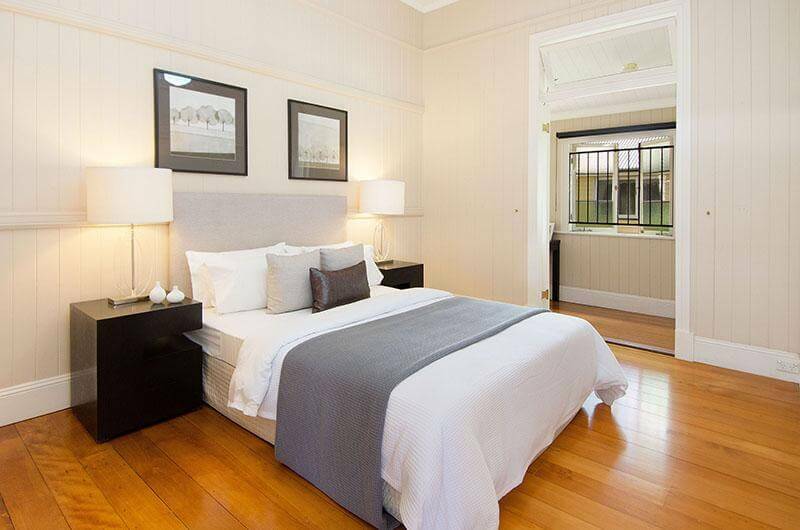 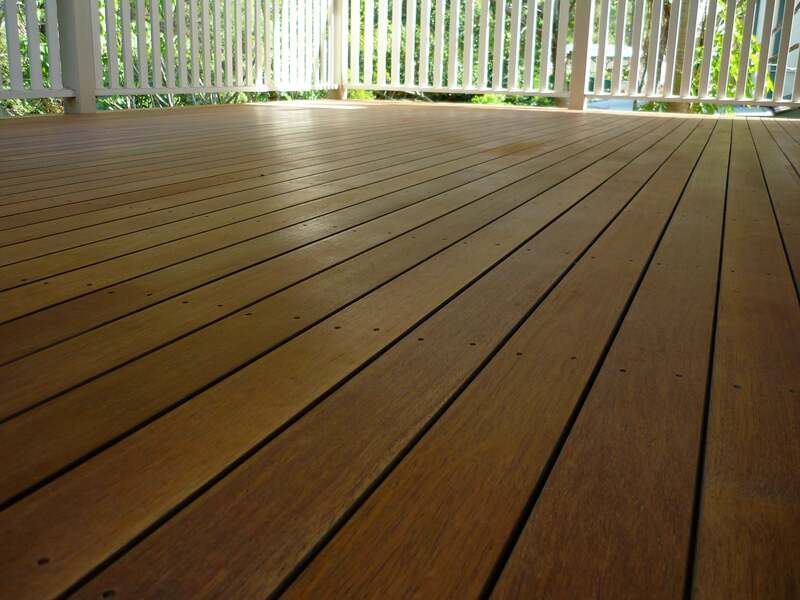 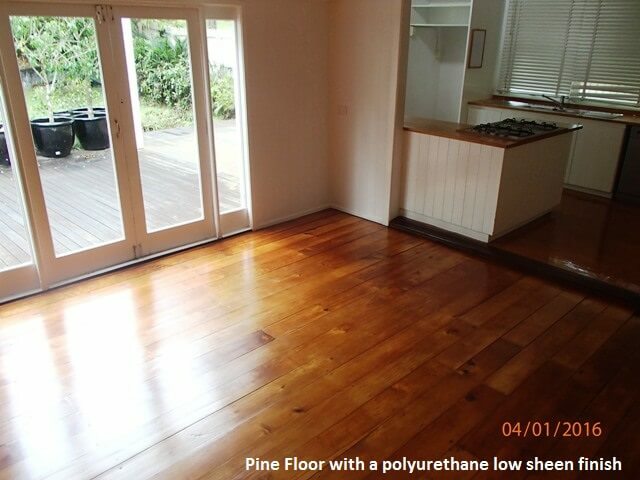 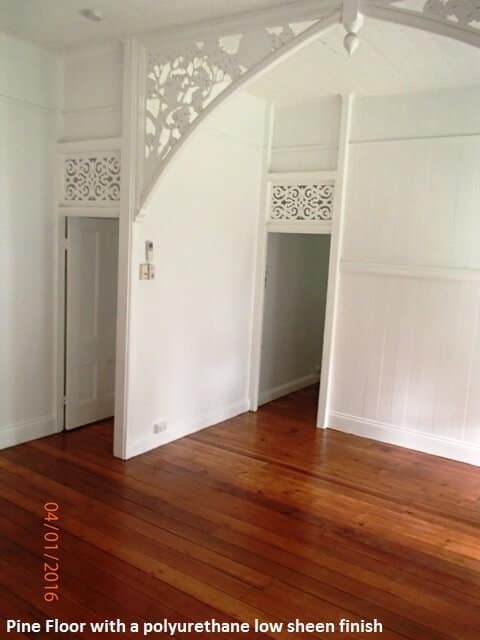 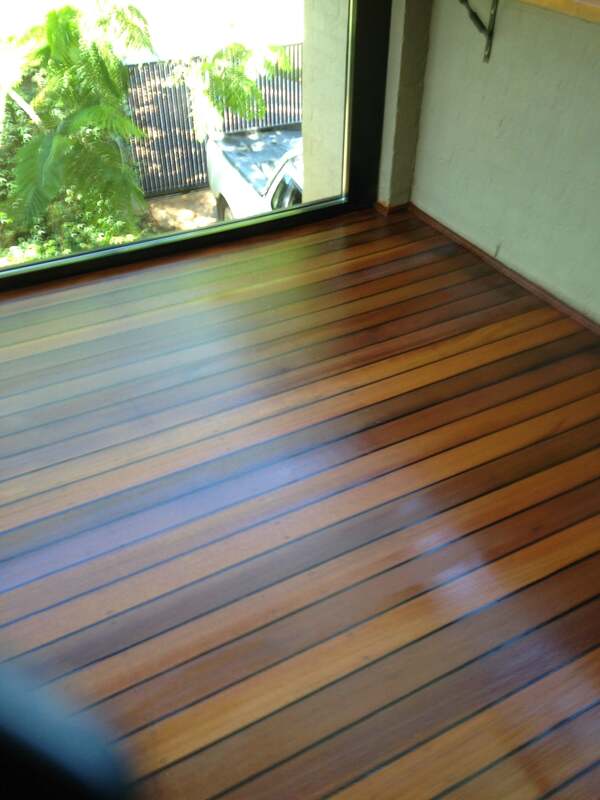 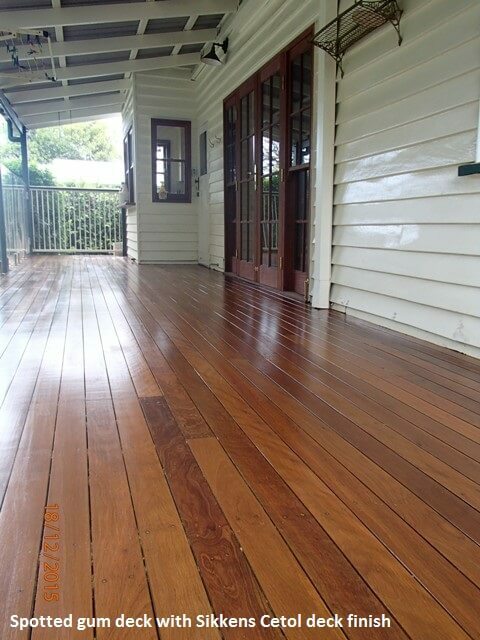 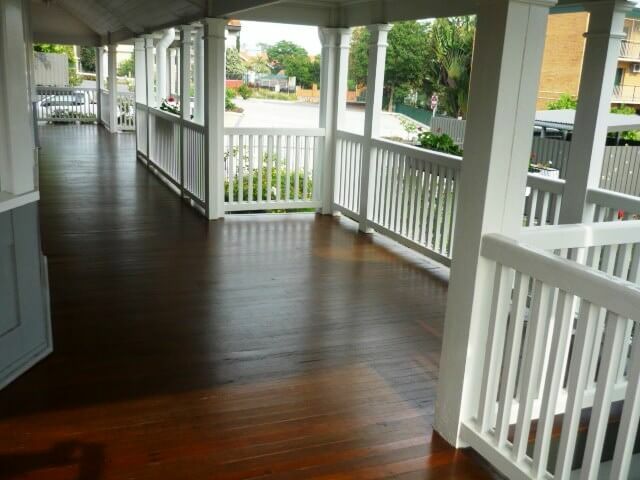 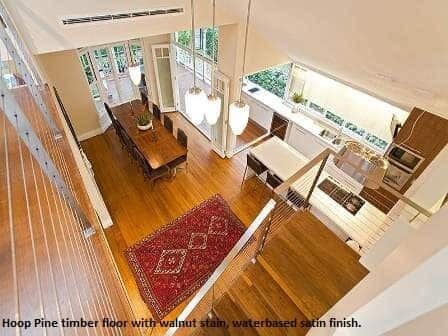 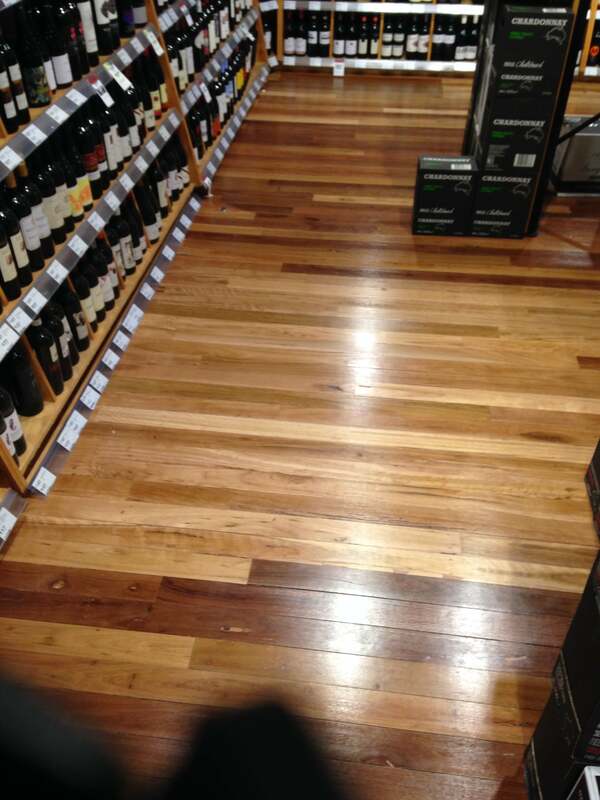 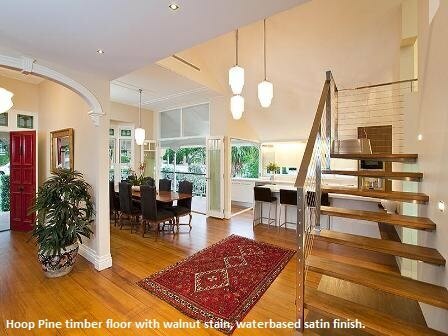 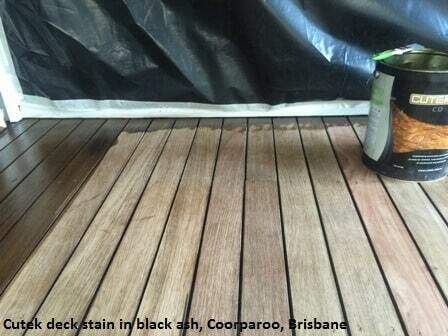 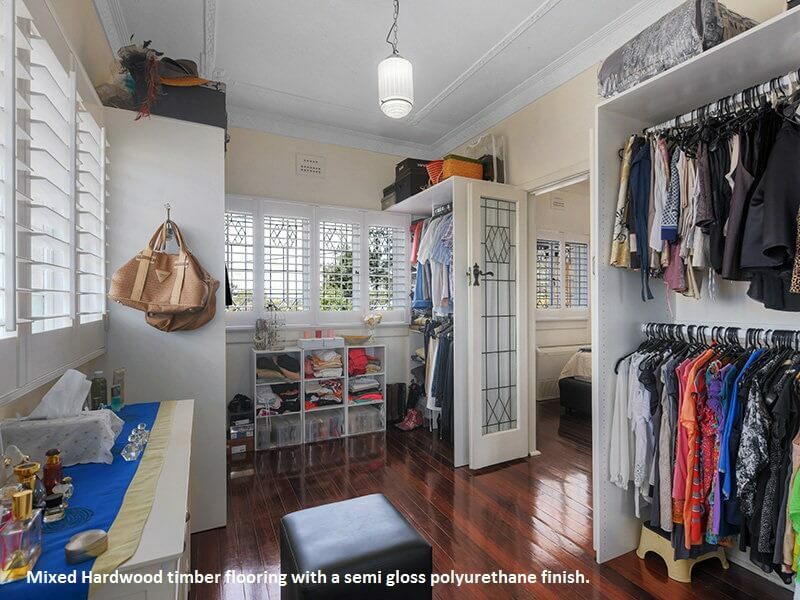 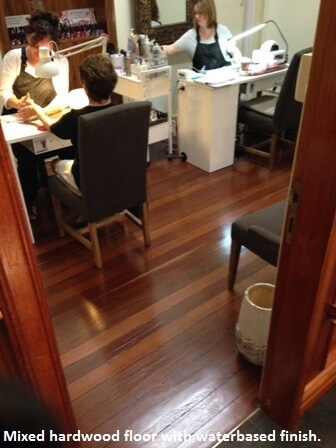 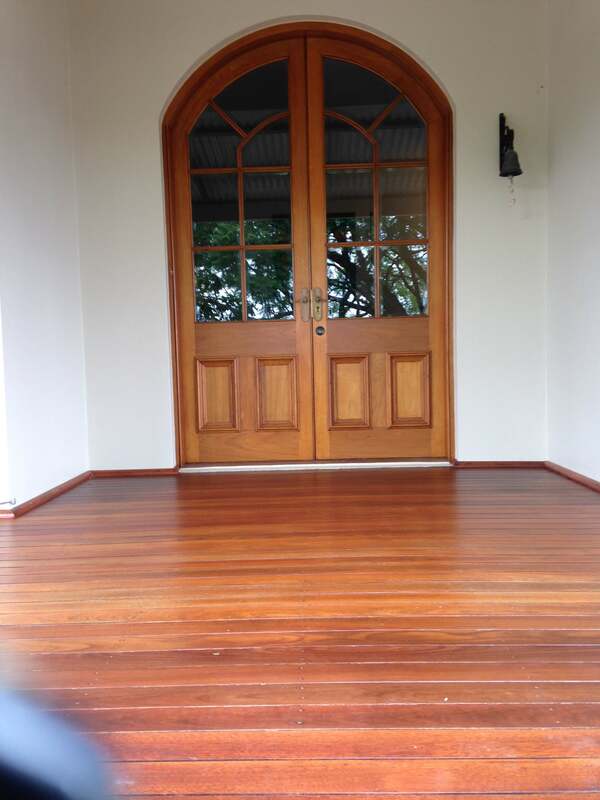 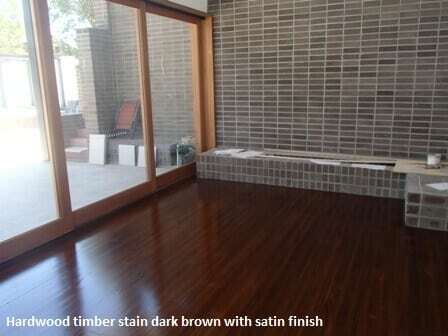 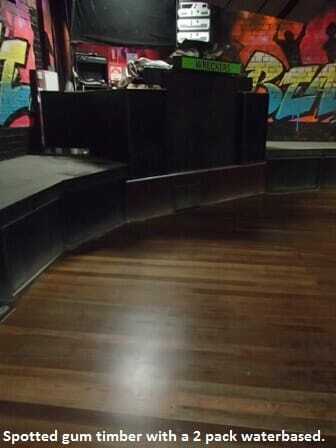 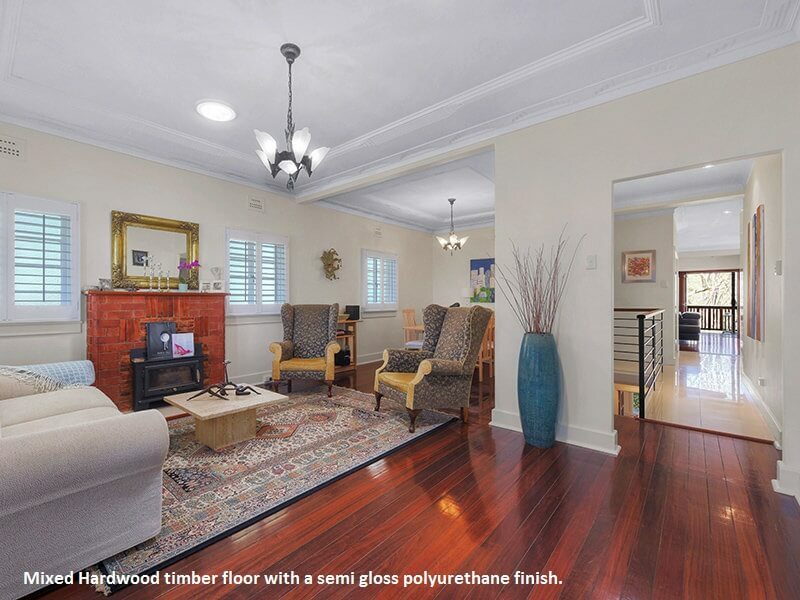 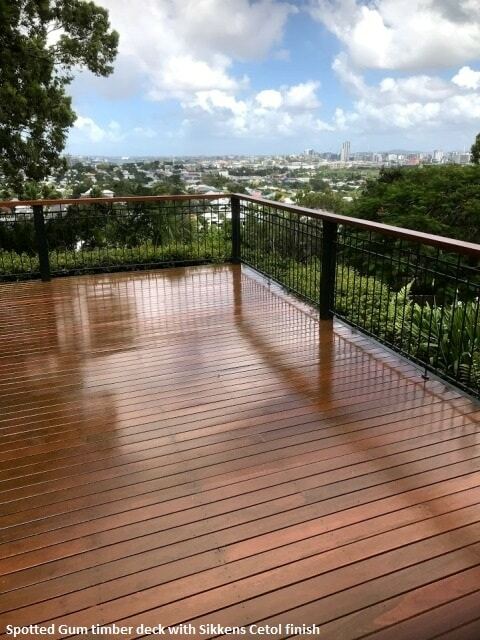 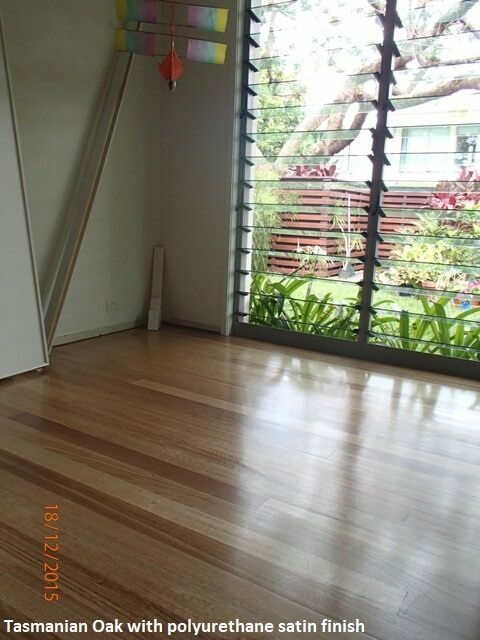 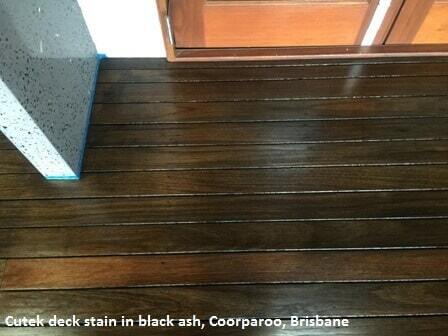 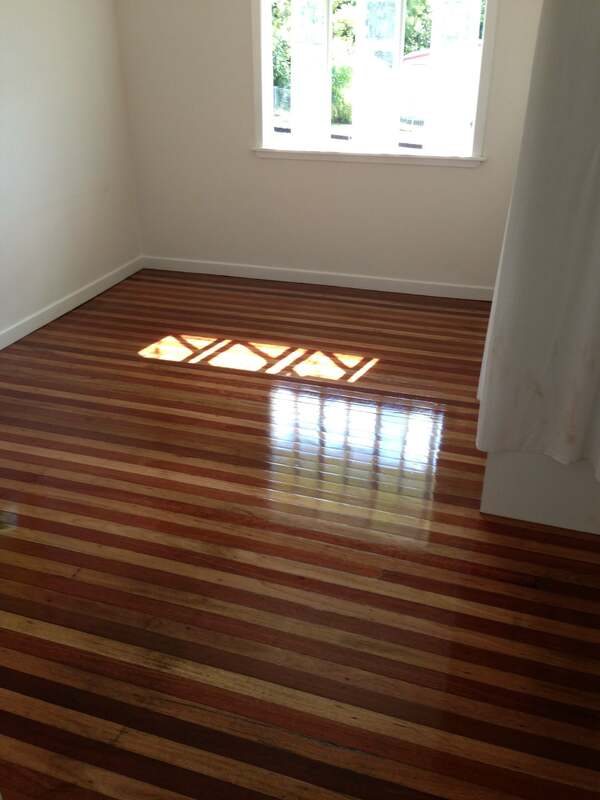 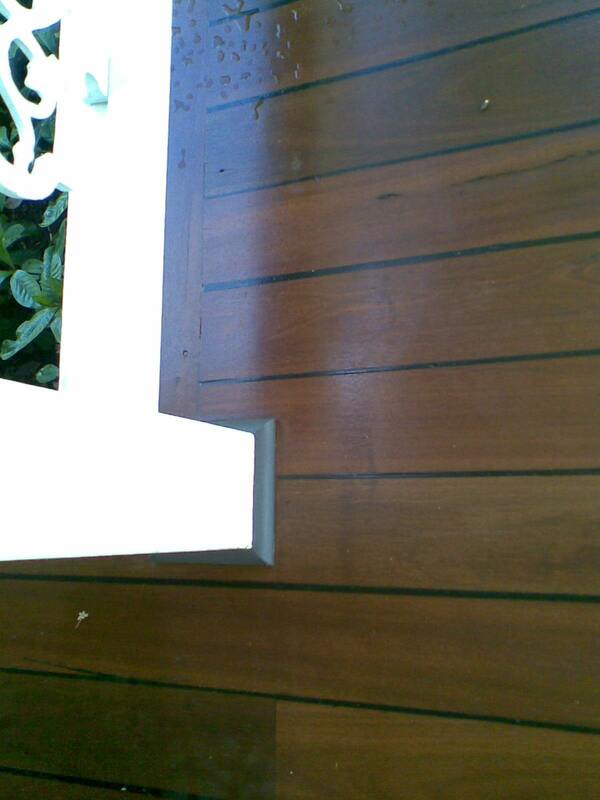 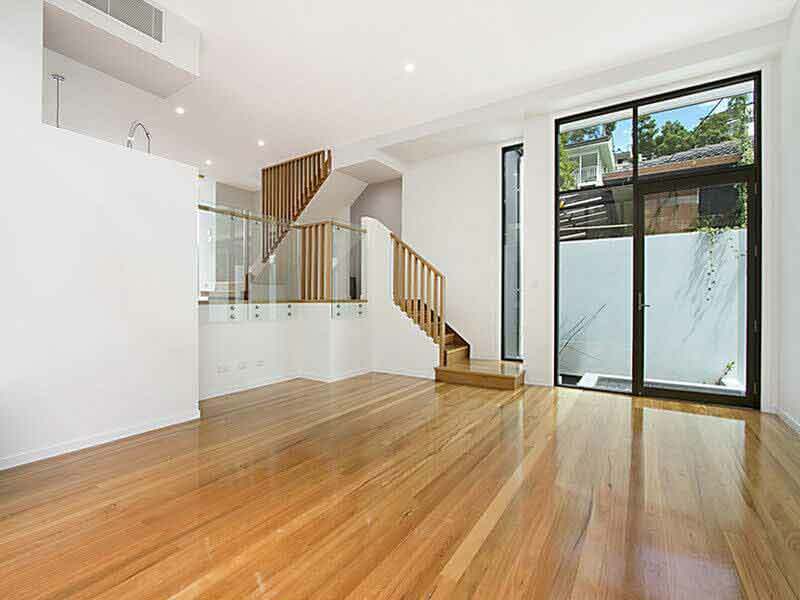 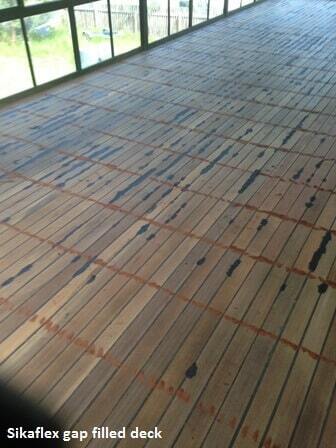 Let Brisbanes Finest Floors take all the stress out of your timber restoration and flooring concerns. 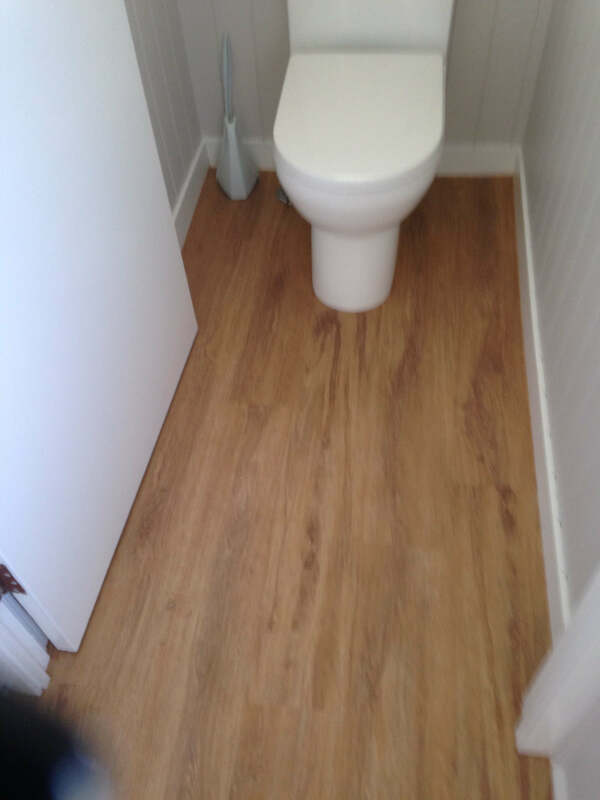 Every job we undertake is unique and always completed to a professional standard. 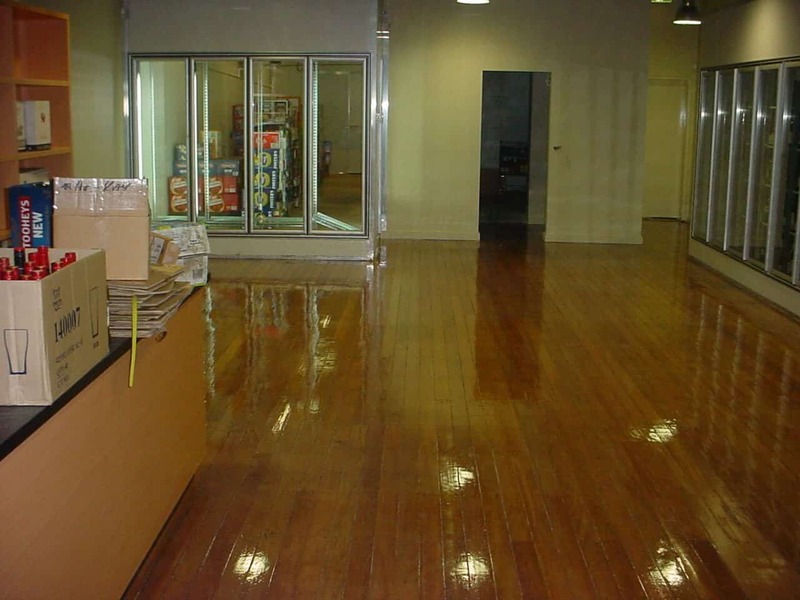 Most importantly too, we guarantee to work with you to meet your budget and timeframes. 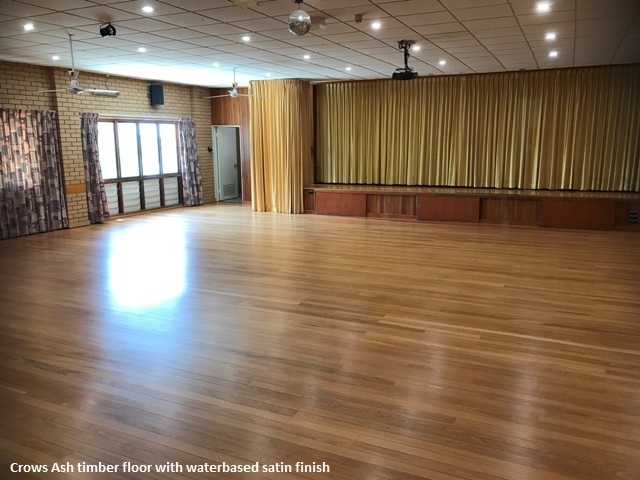 All you need to do is simply send us an email via our contact form or call Matthew on 0411 220 488 to get the ball rolling. 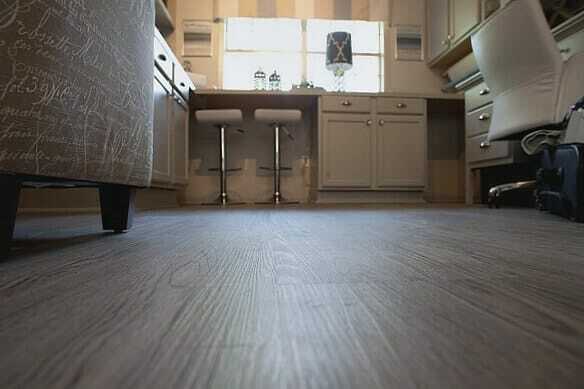 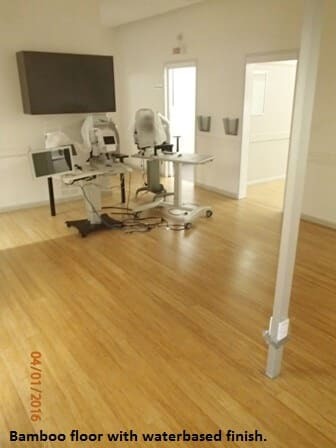 We will come out to visit you, discuss the options available and provide you with a free measure and quote service you’ll be proud to tell your friends and family about. 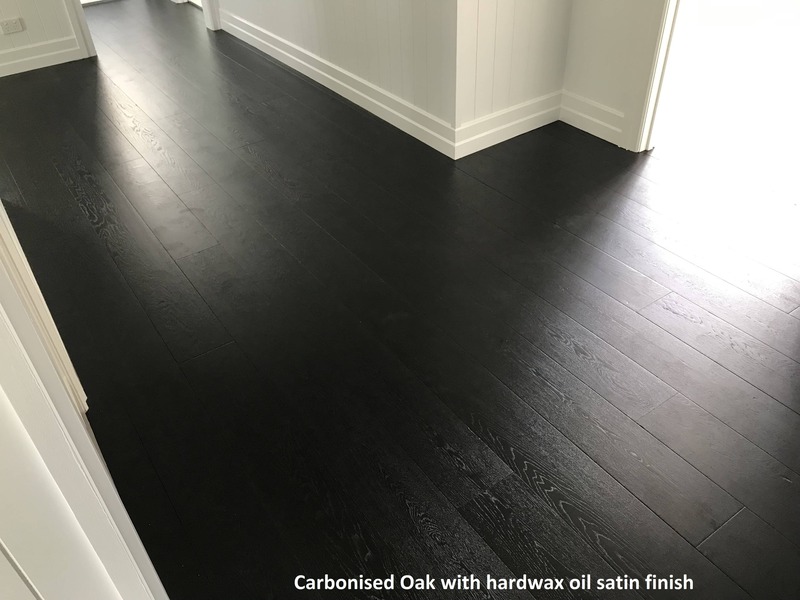 And once the job is completed you can sit back in your home and revel in the workmanship that we pride ourselves on offering. 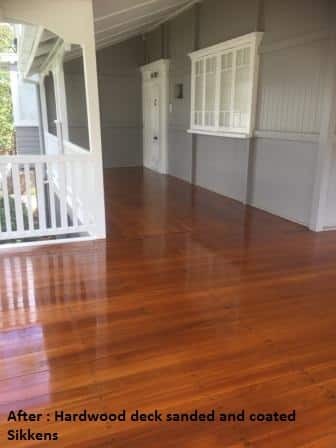 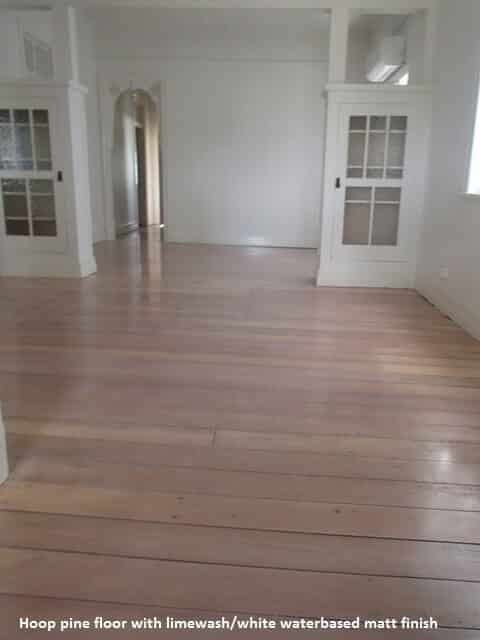 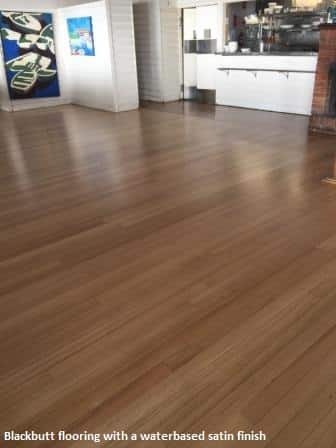 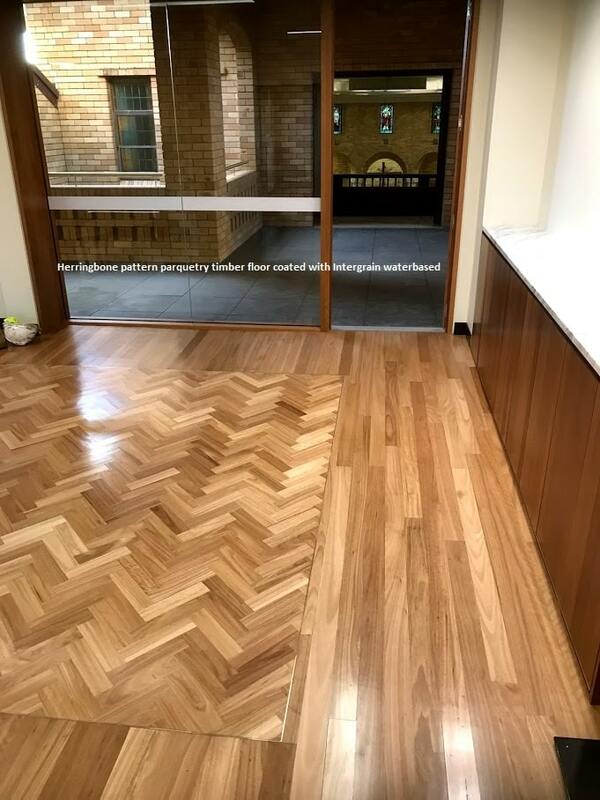 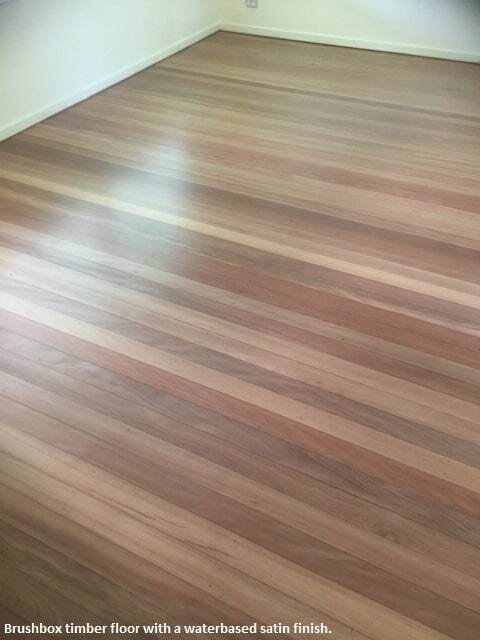 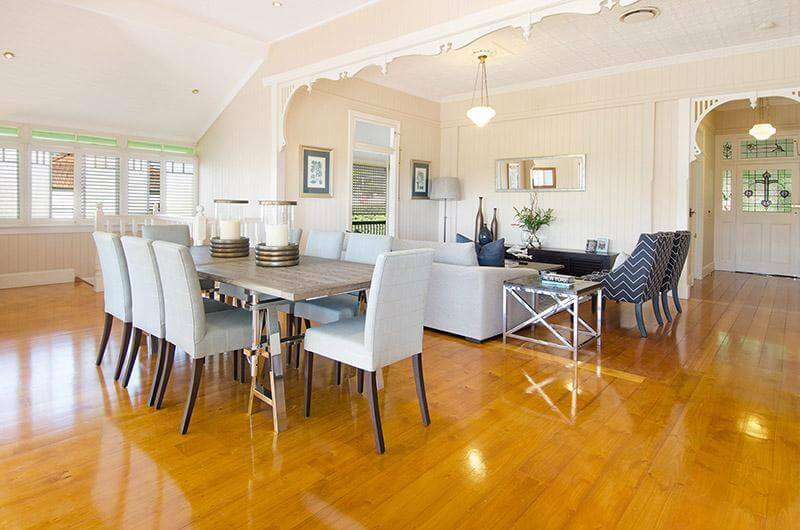 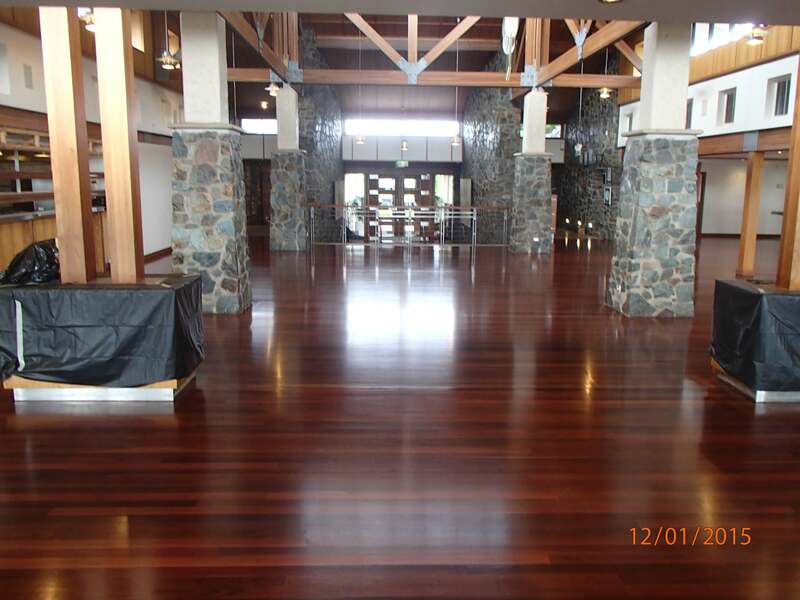 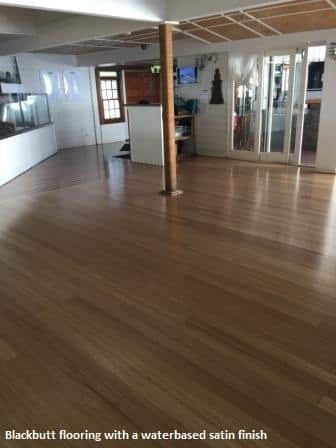 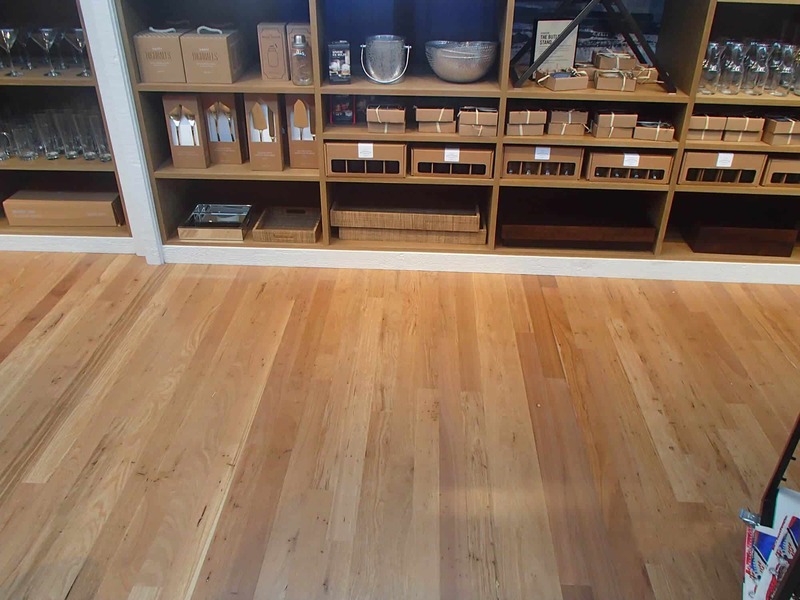 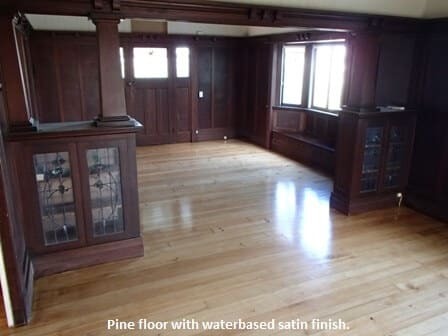 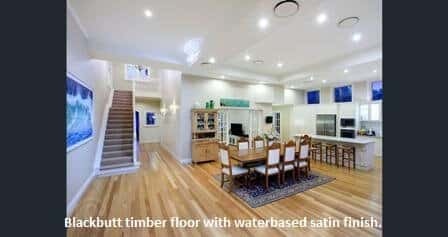 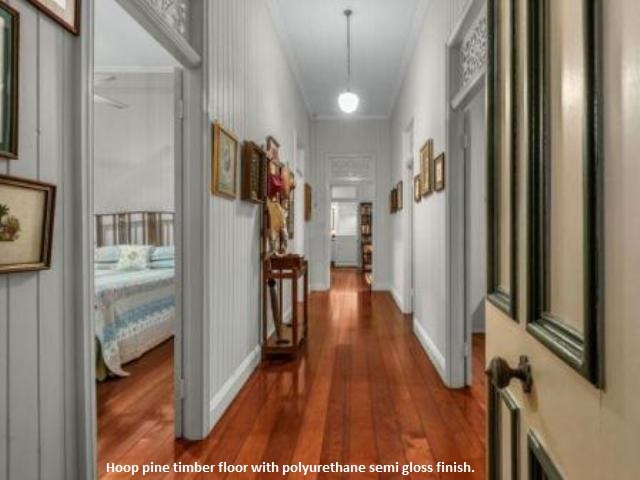 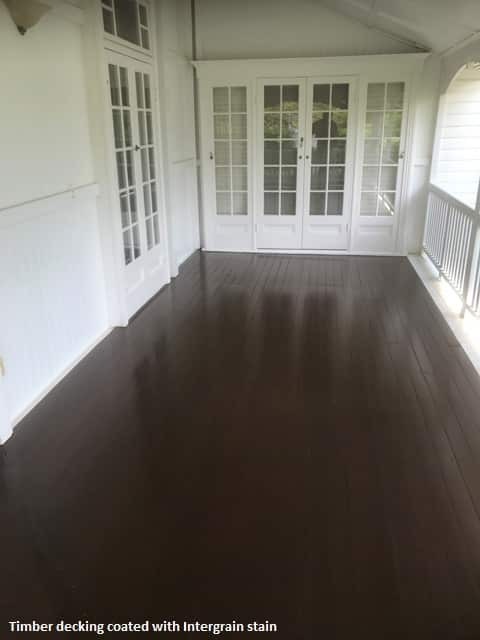 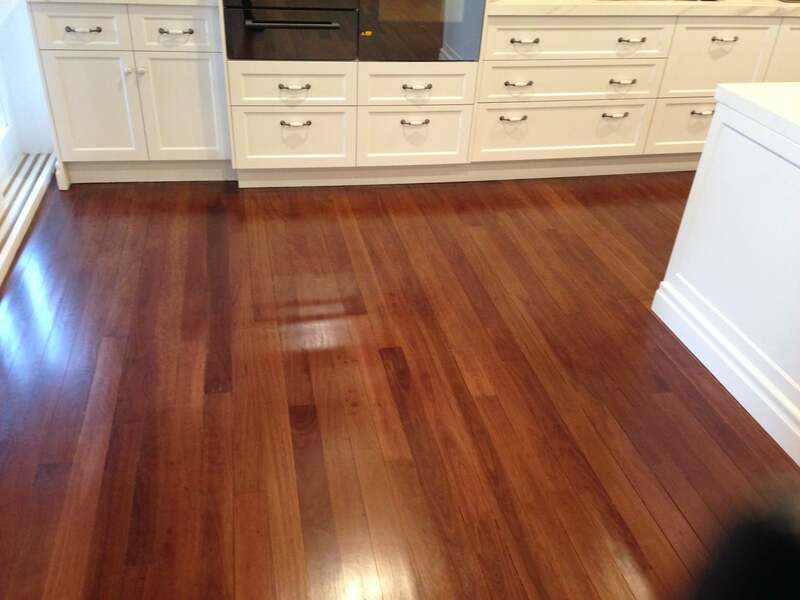 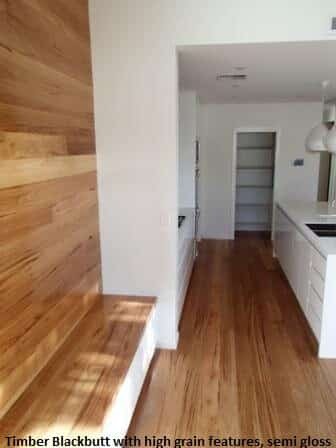 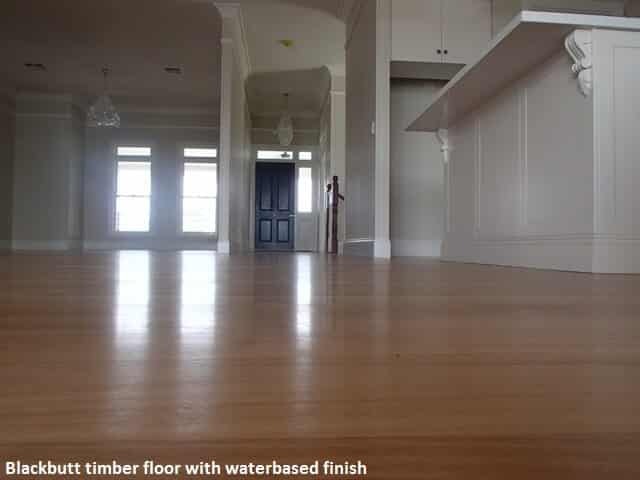 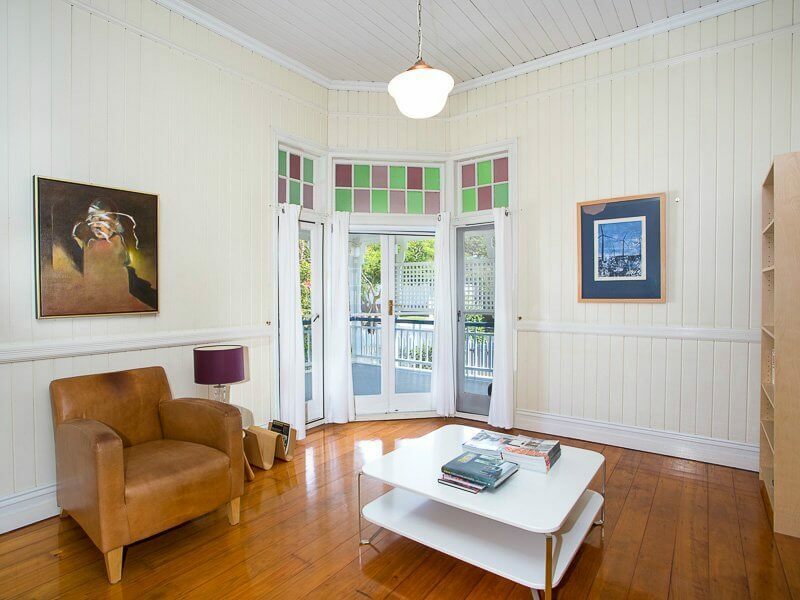 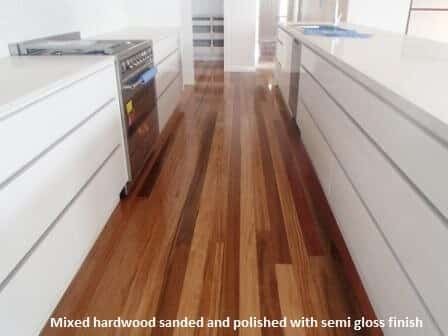 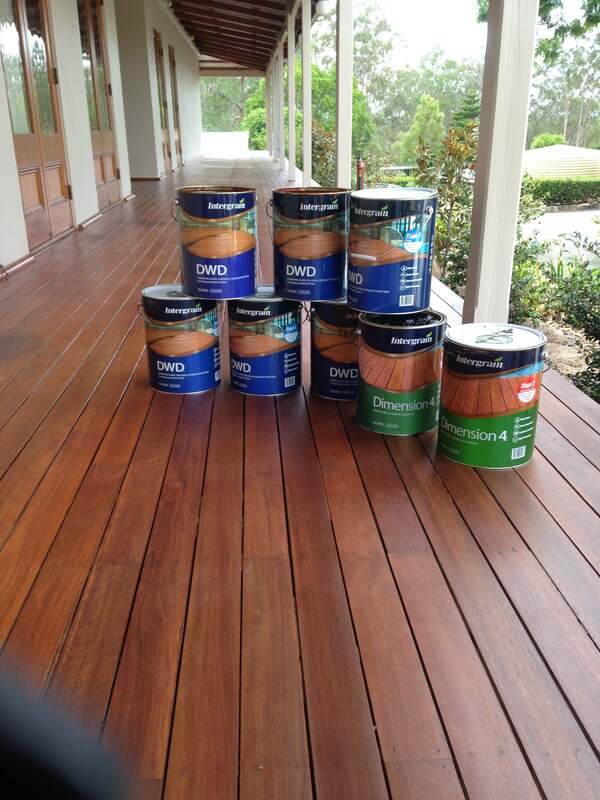 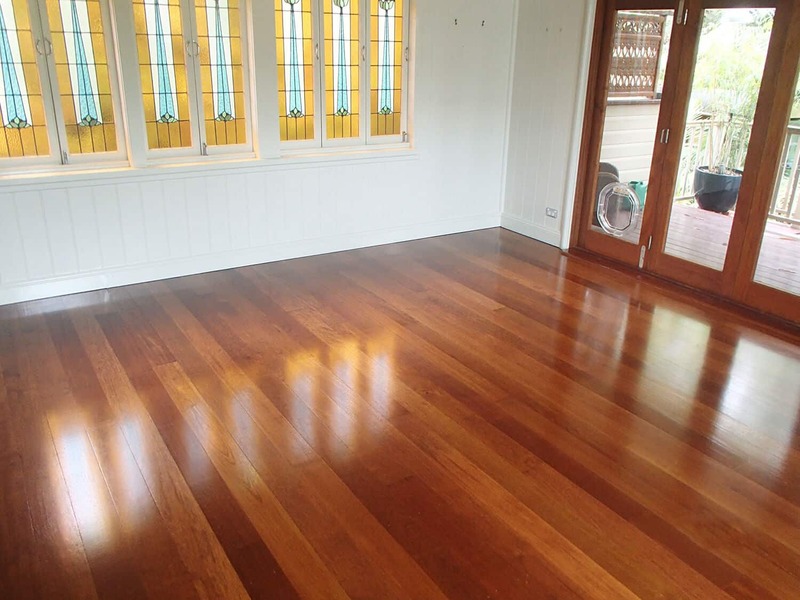 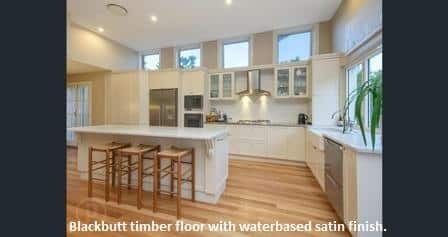 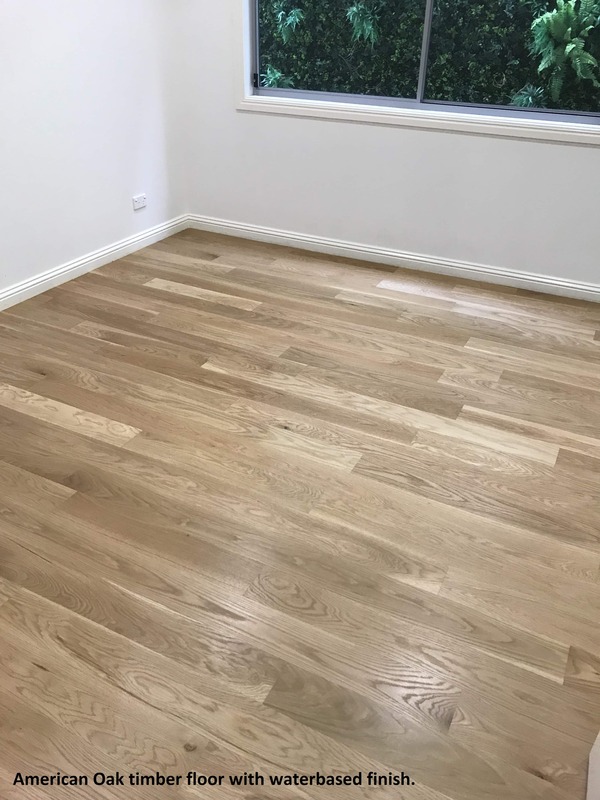 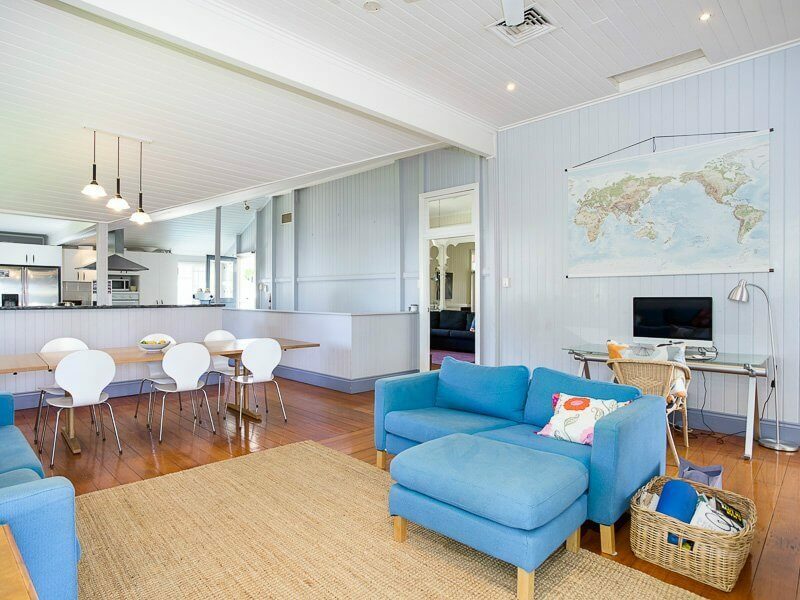 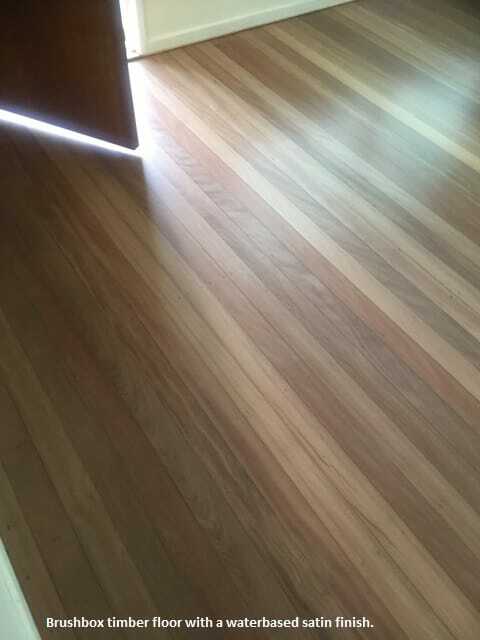 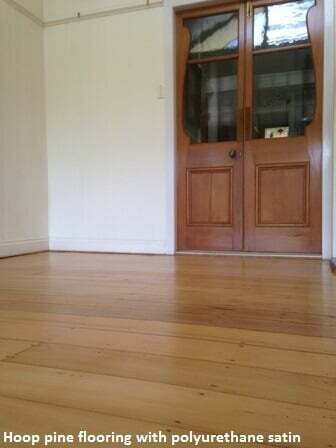 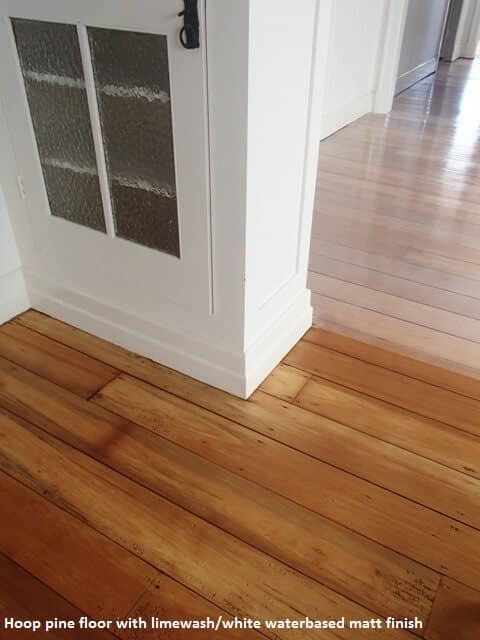 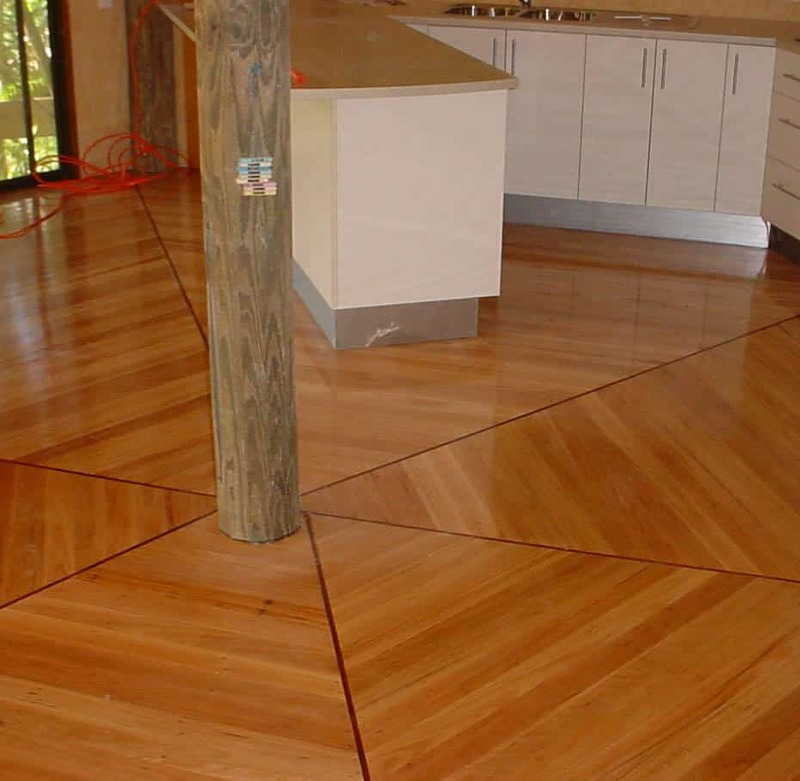 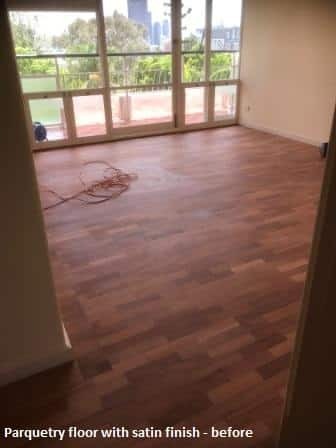 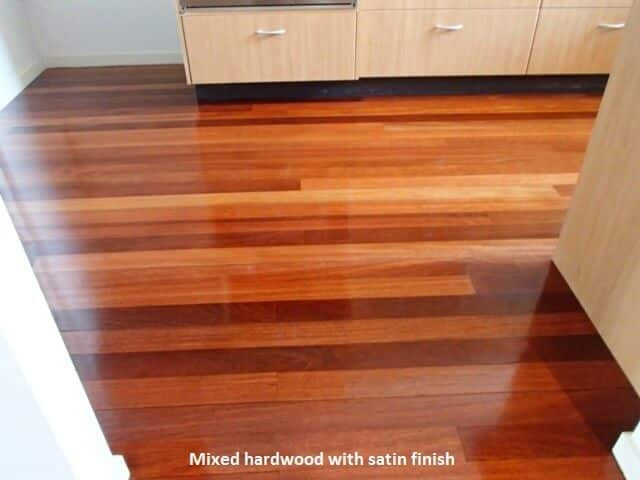 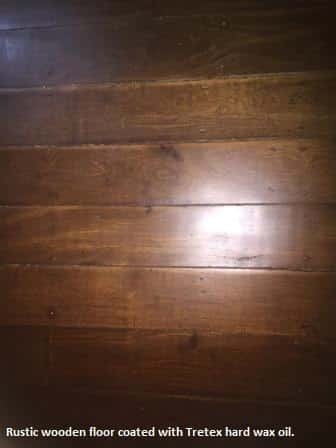 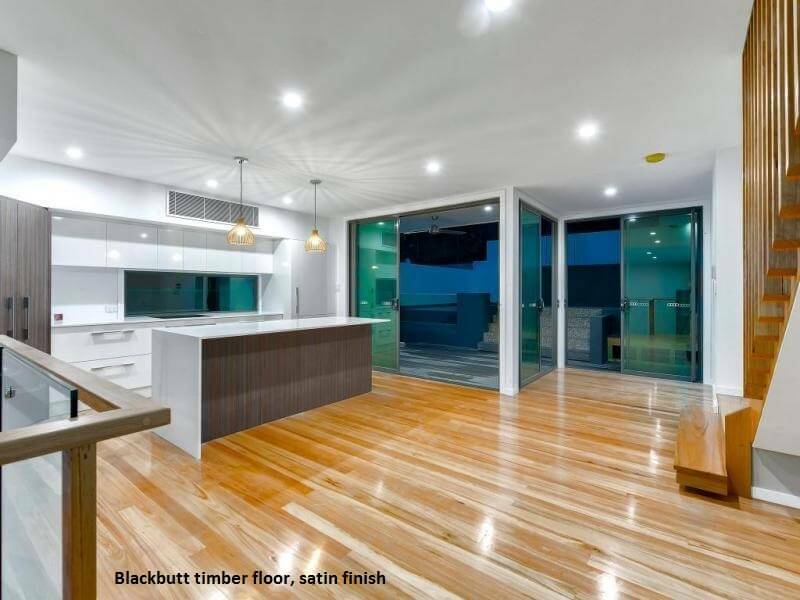 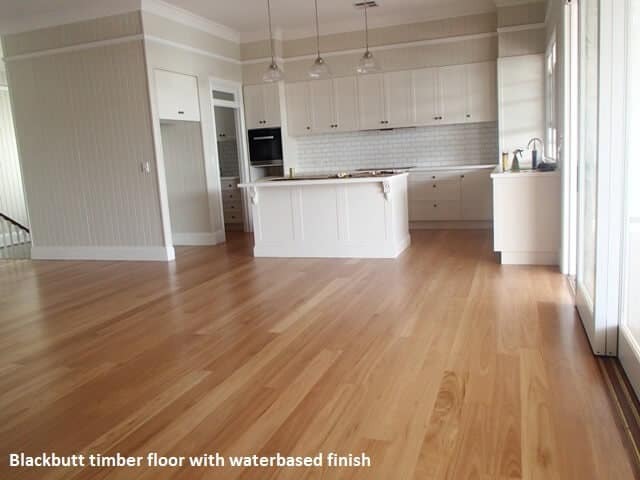 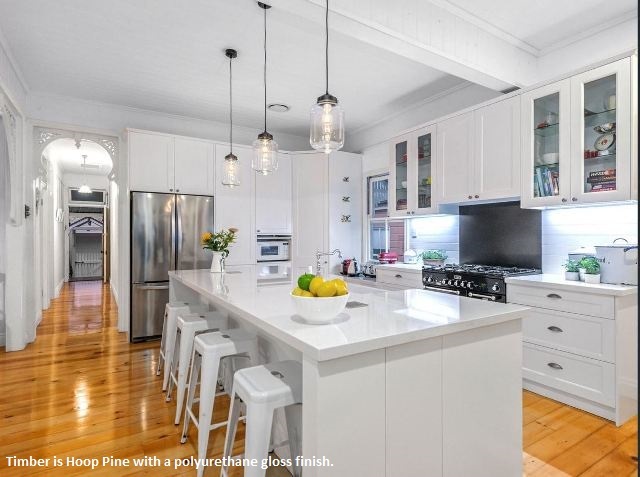 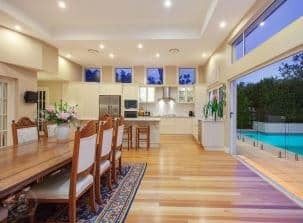 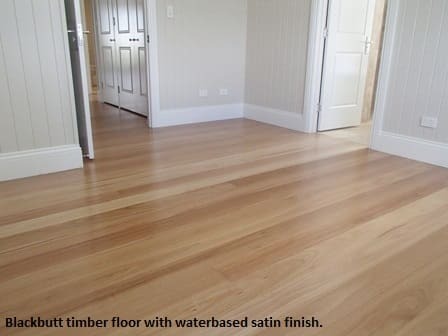 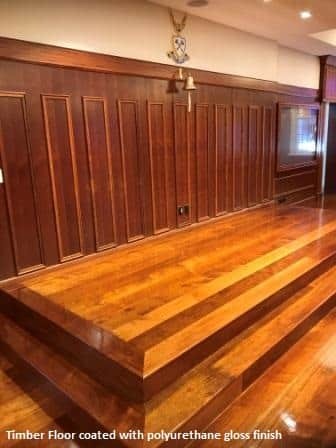 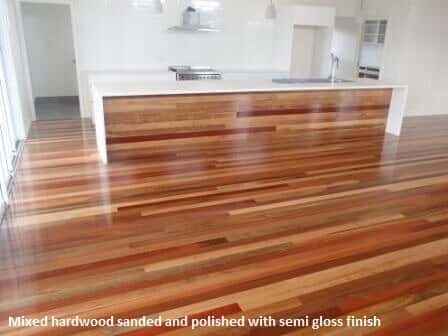 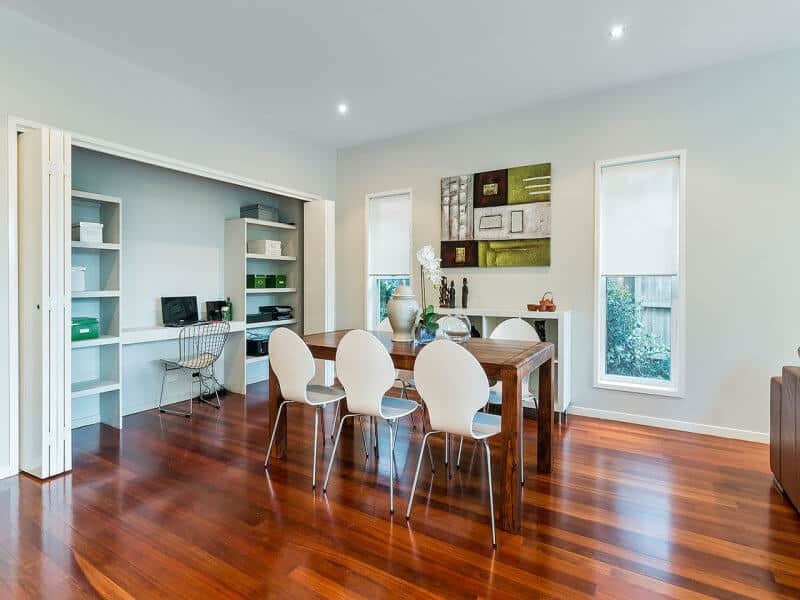 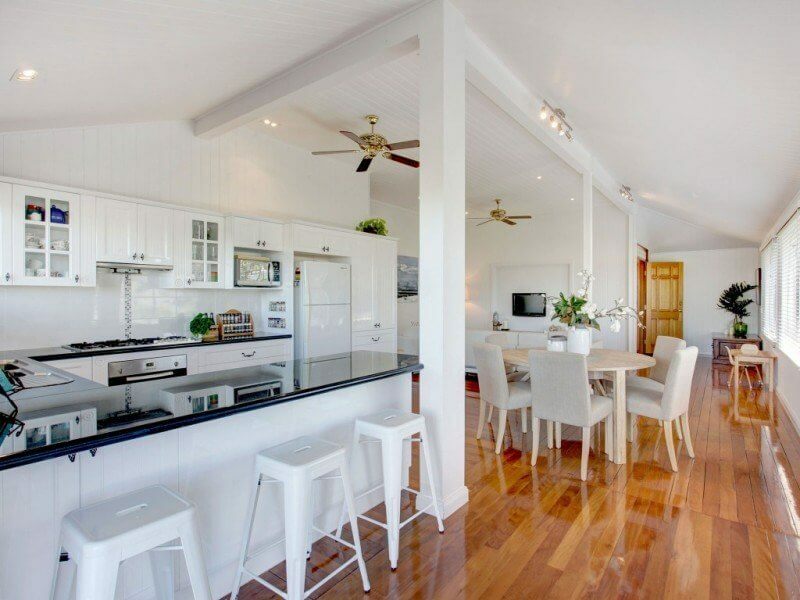 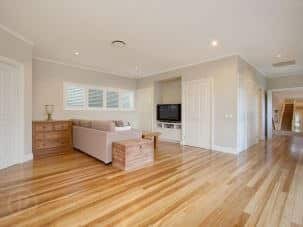 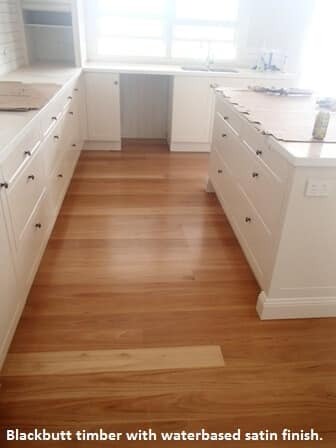 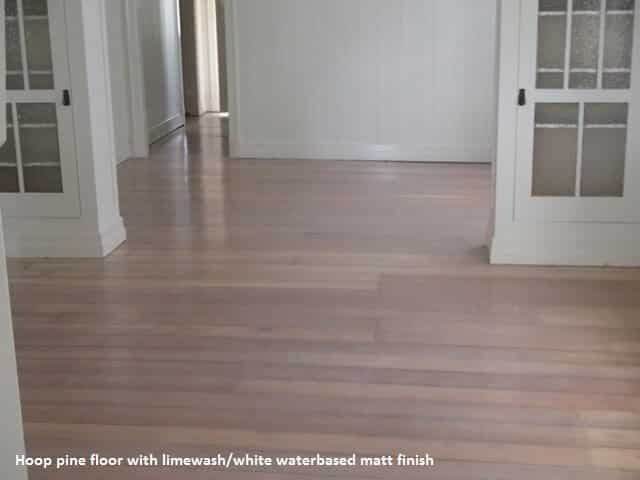 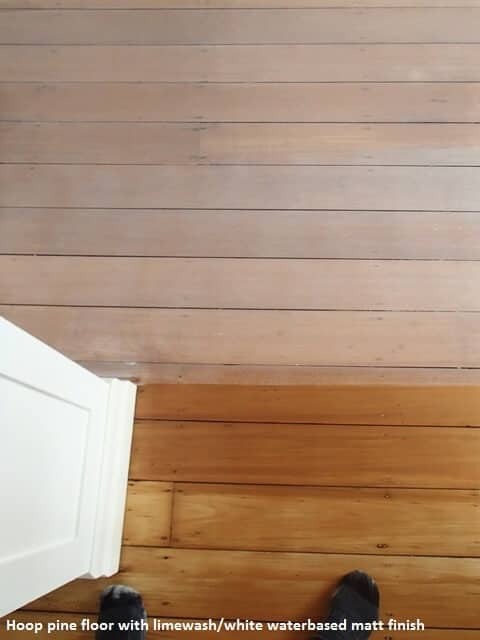 For all of your timber floor sanding and polishing services, including preparation sanding, staining and polishing, call our company Brisbanes Finest Floors for a free quote today. 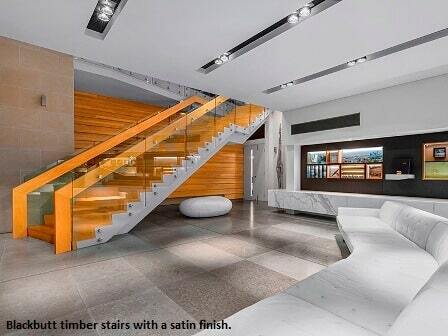 You have nothing to lose and everything to gain. 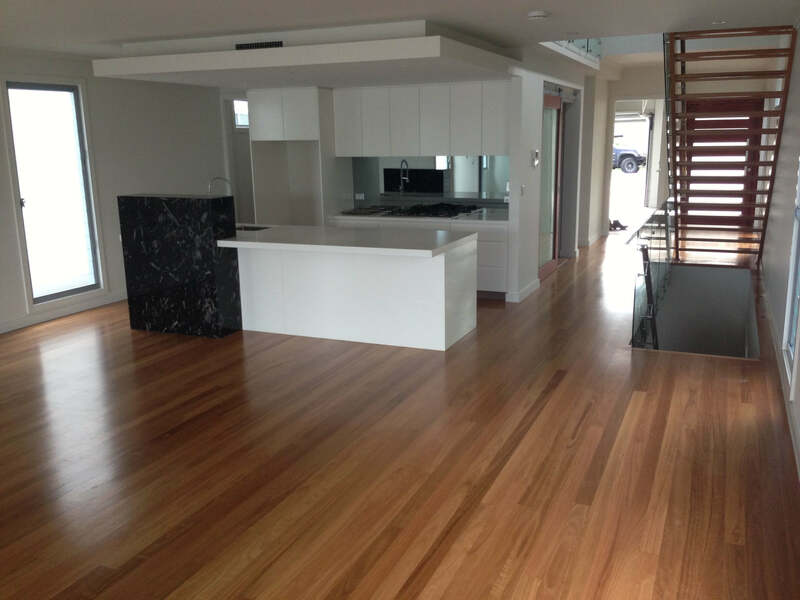 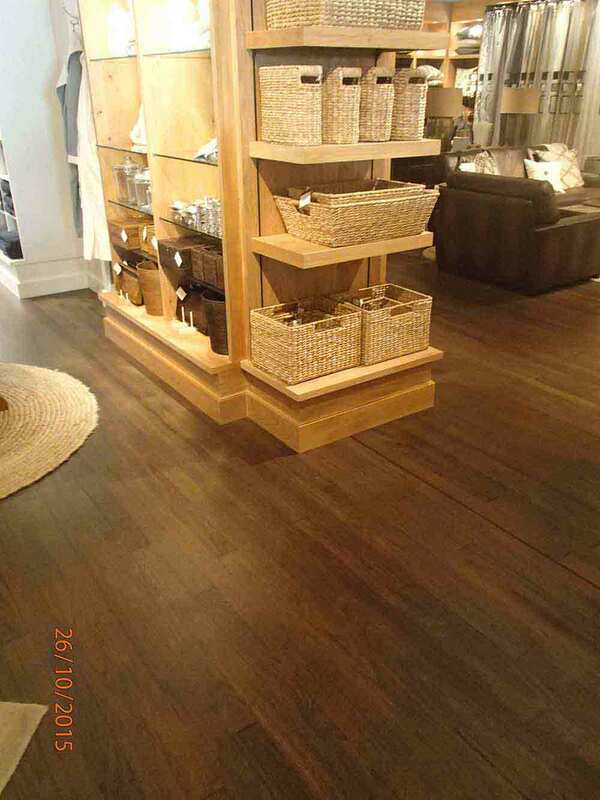 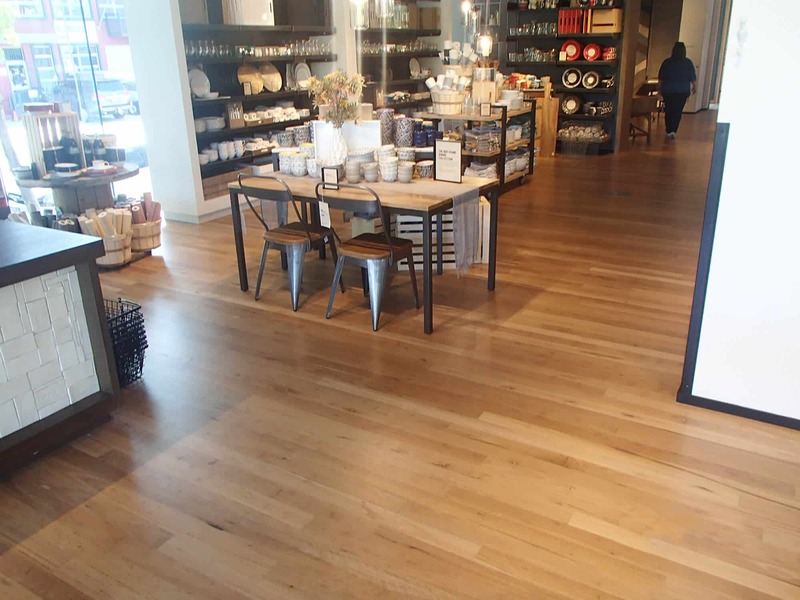 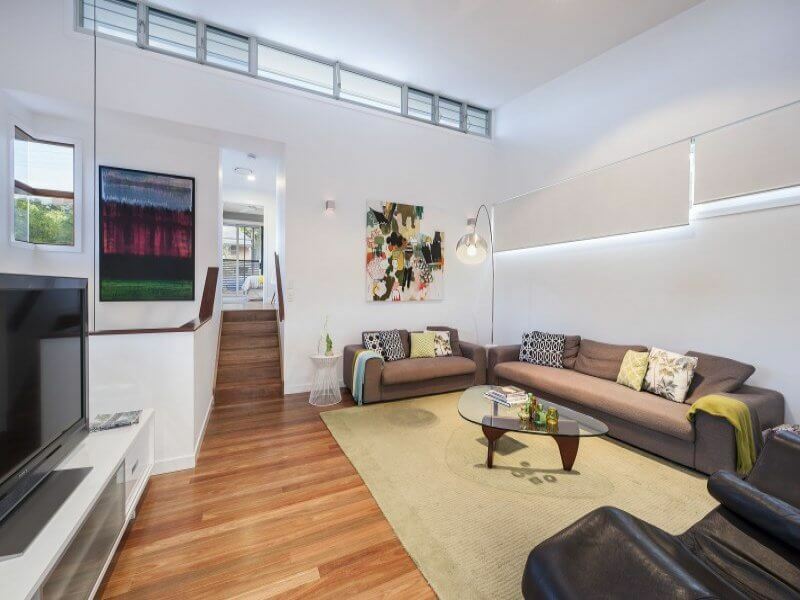 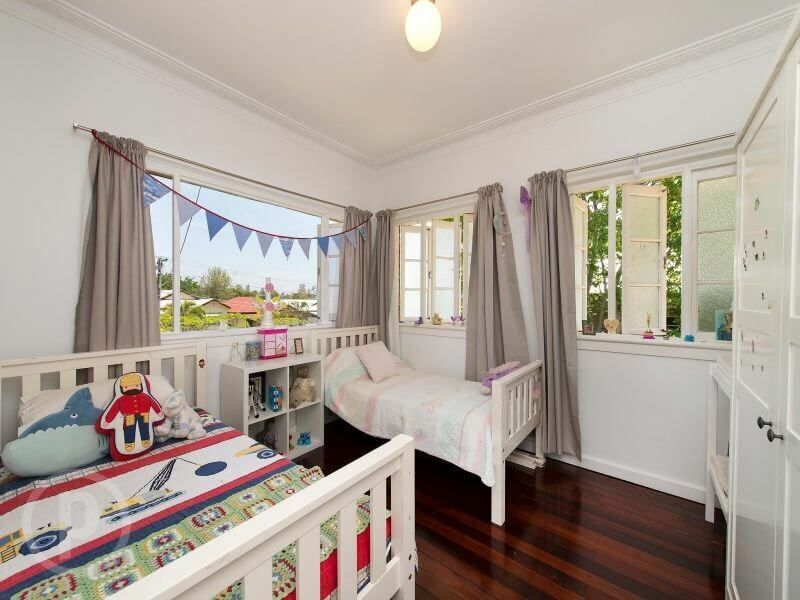 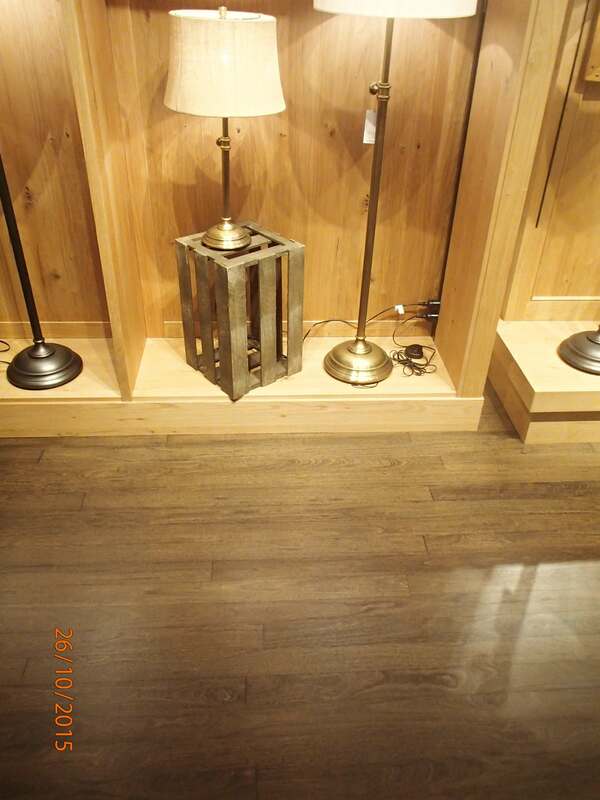 Contact Brisbanes Finest Floors today for all your expert floor needs. 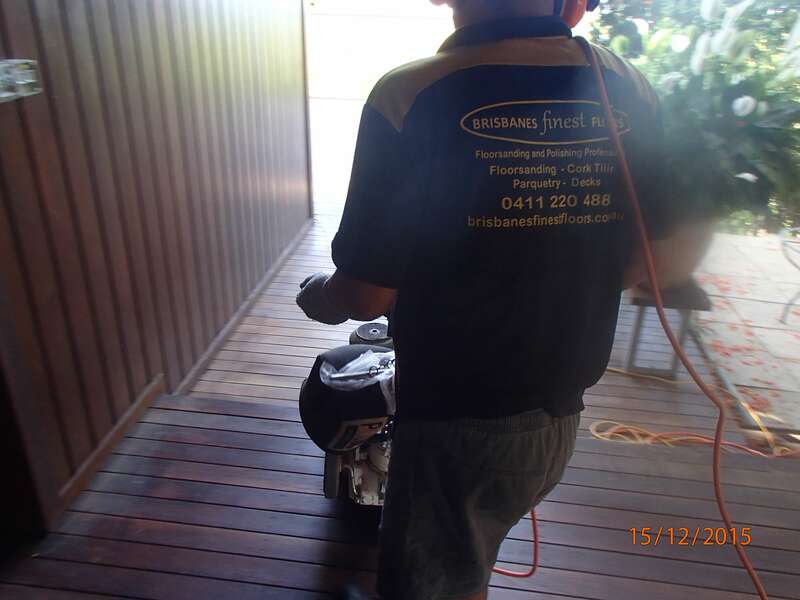 I would like to say thank you to all concerned as we could not of asked for better service. 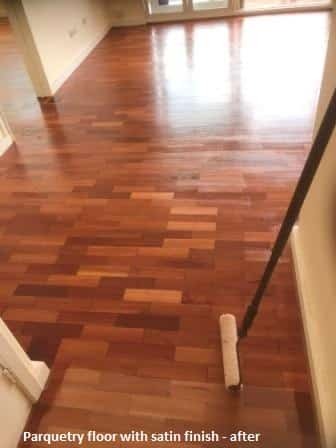 You guys have a great team and did a terrific job. 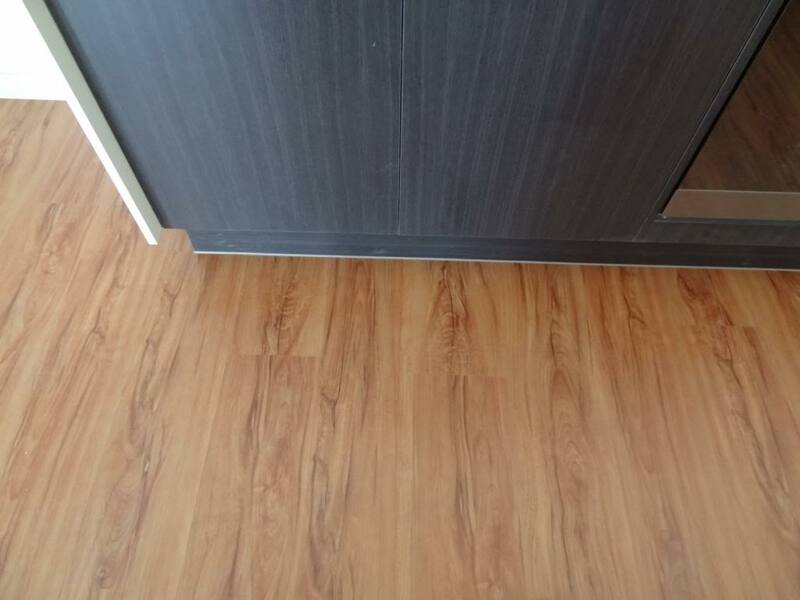 I just wanted to write to inform you of how impressed I was with your men, they turned up on time and completed our job with minimum of hassle for me and my family. 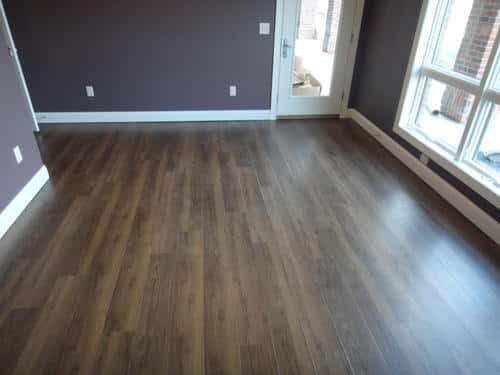 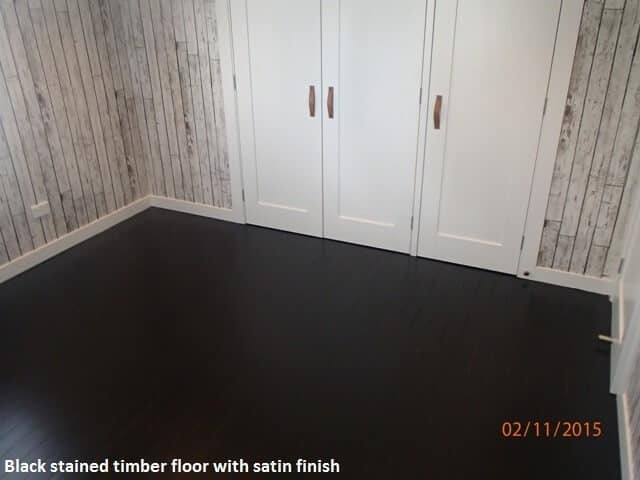 Thank you for working in with our real estate agent and all other trades involved to complete our floors on time, great job!